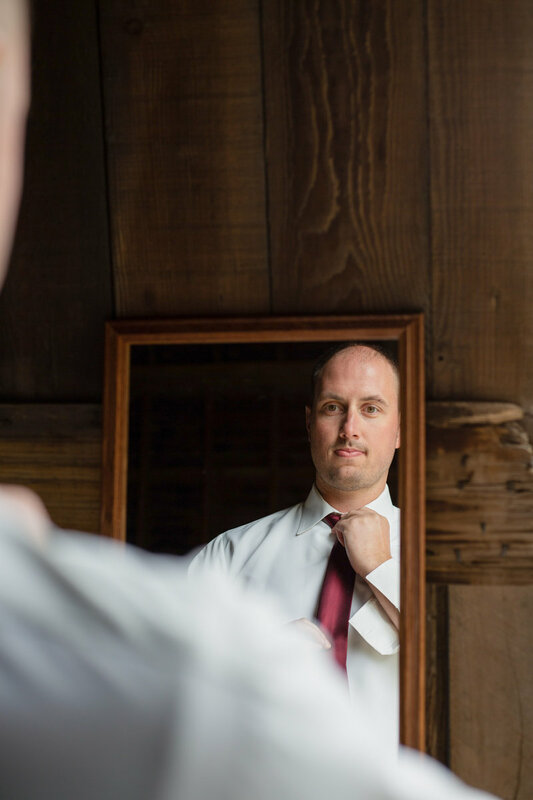 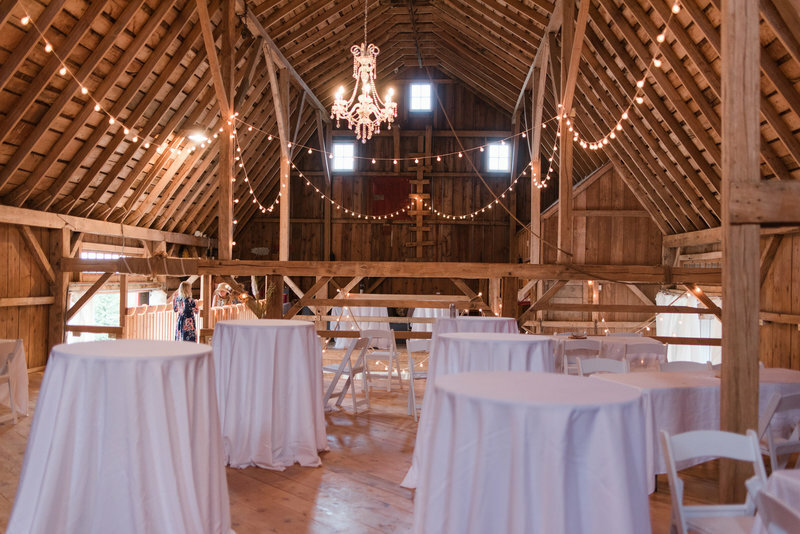 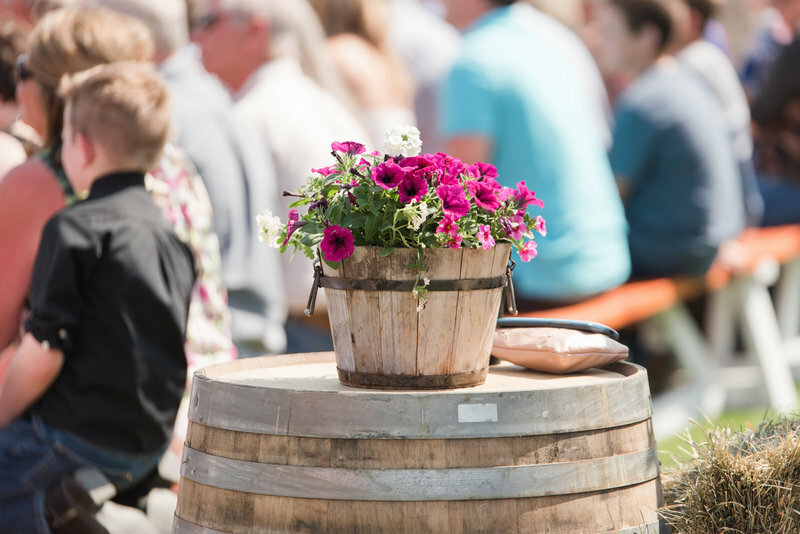 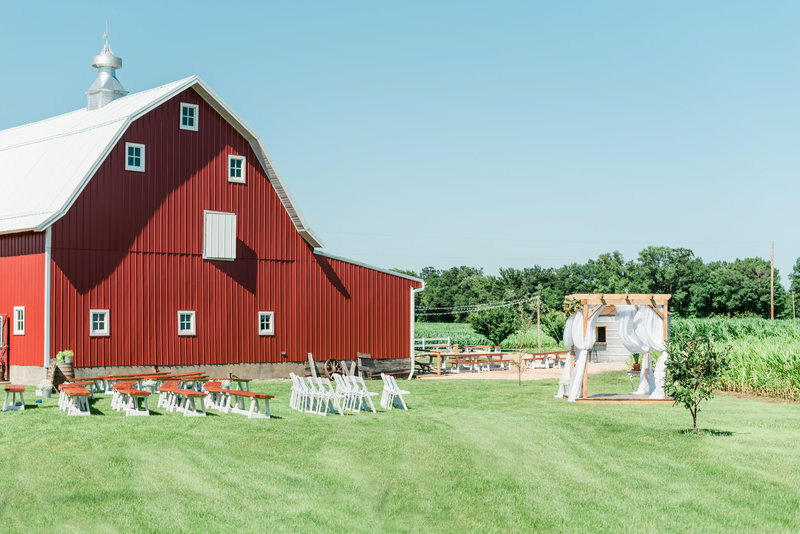 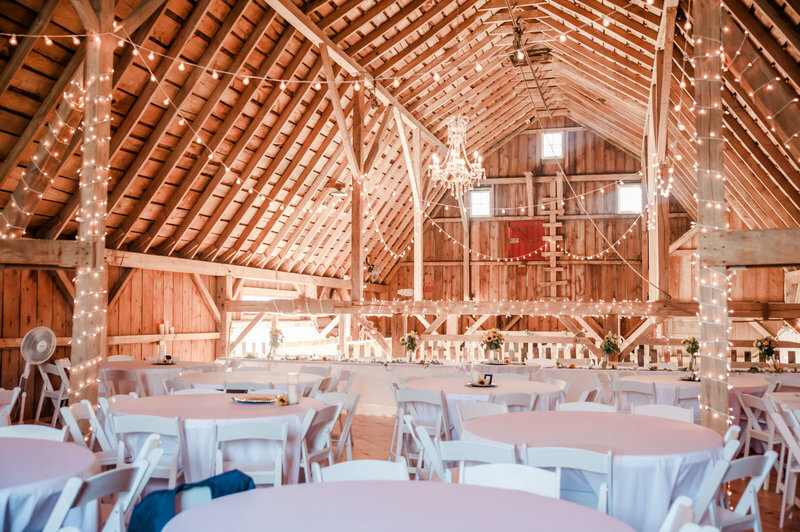 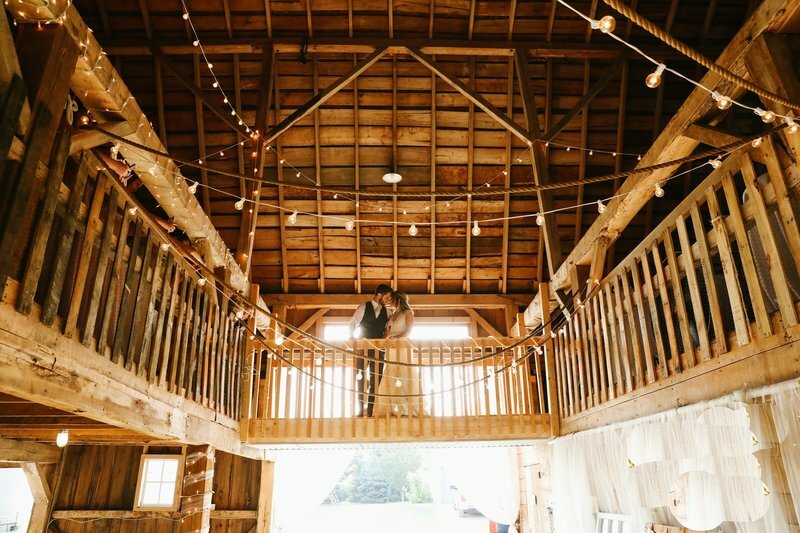 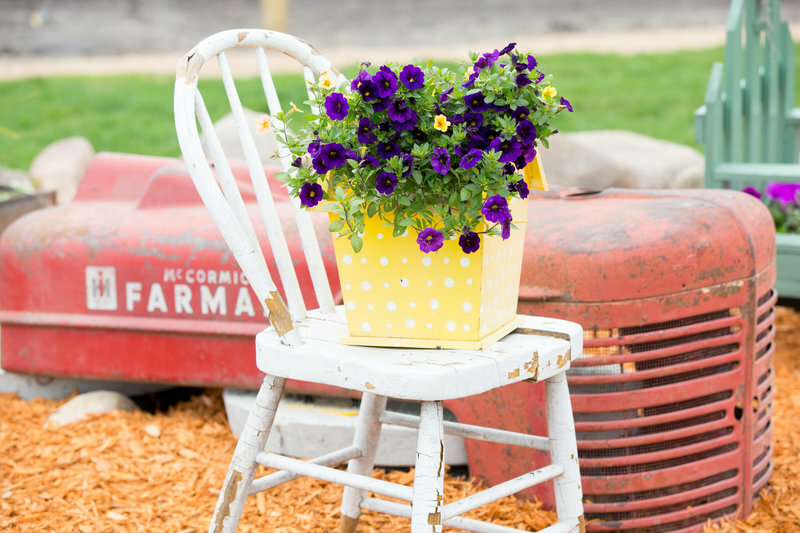 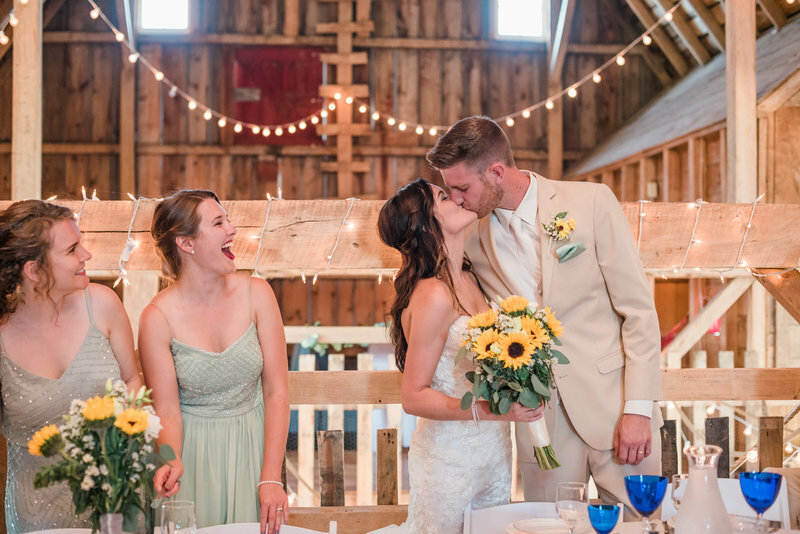 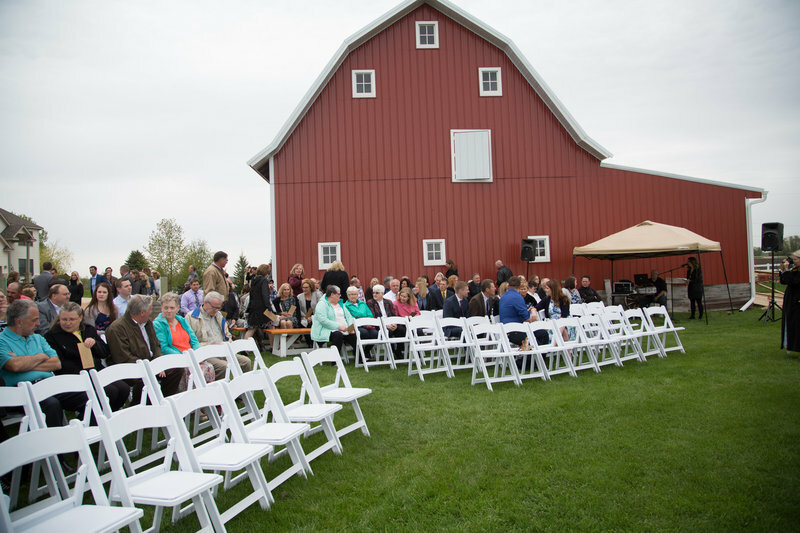 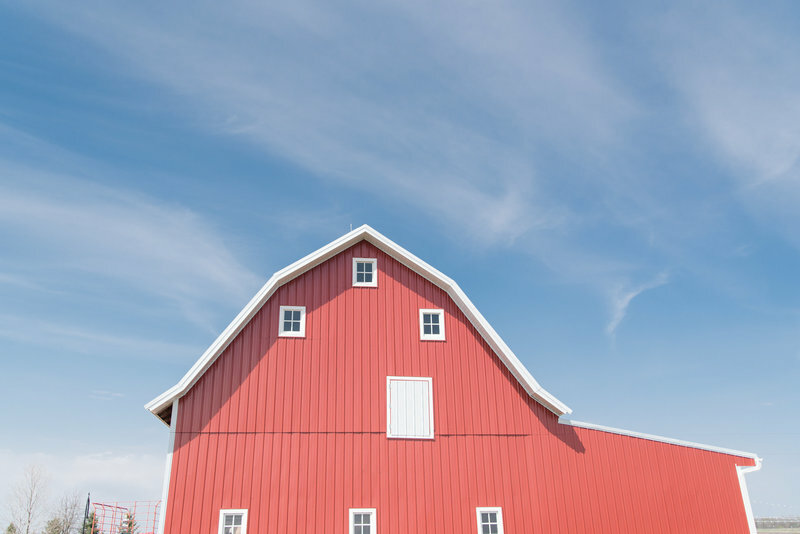 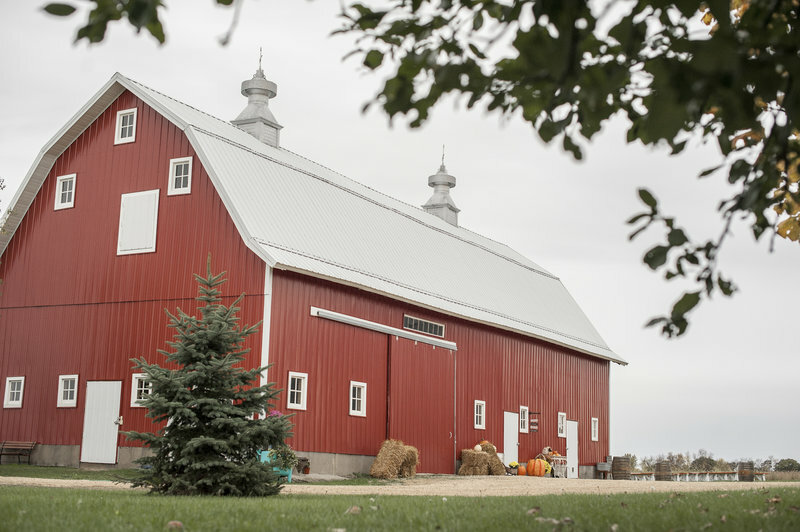 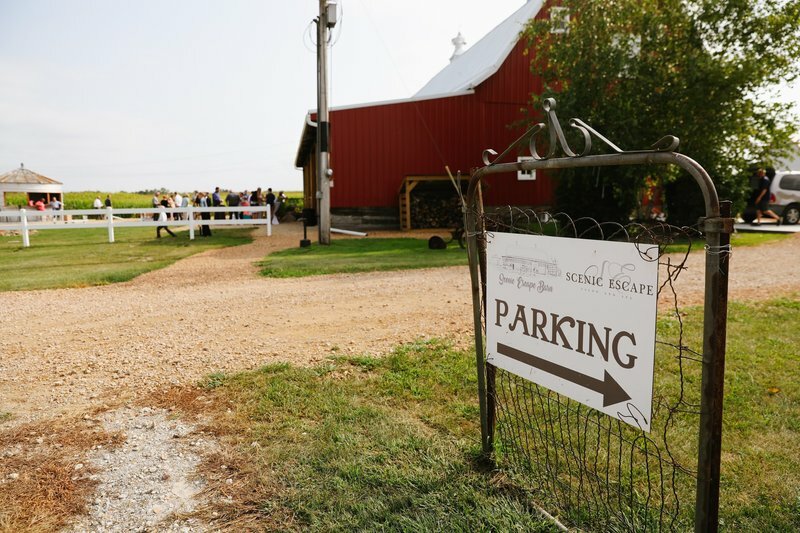 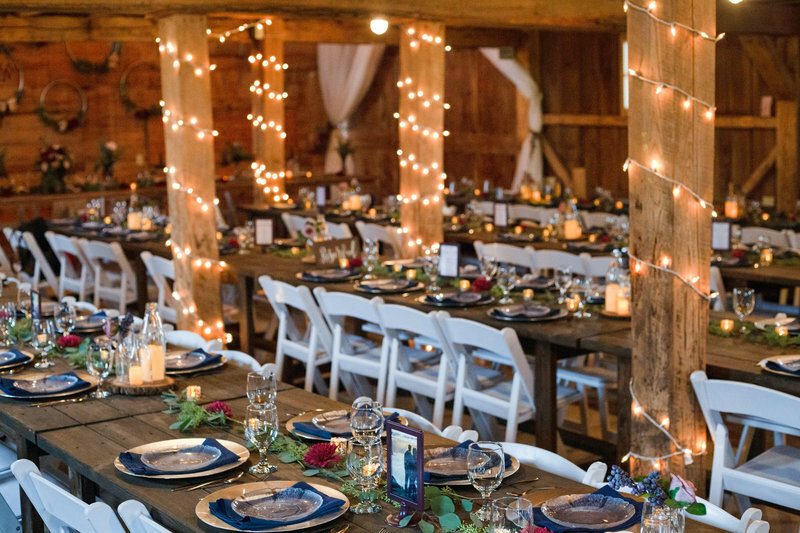 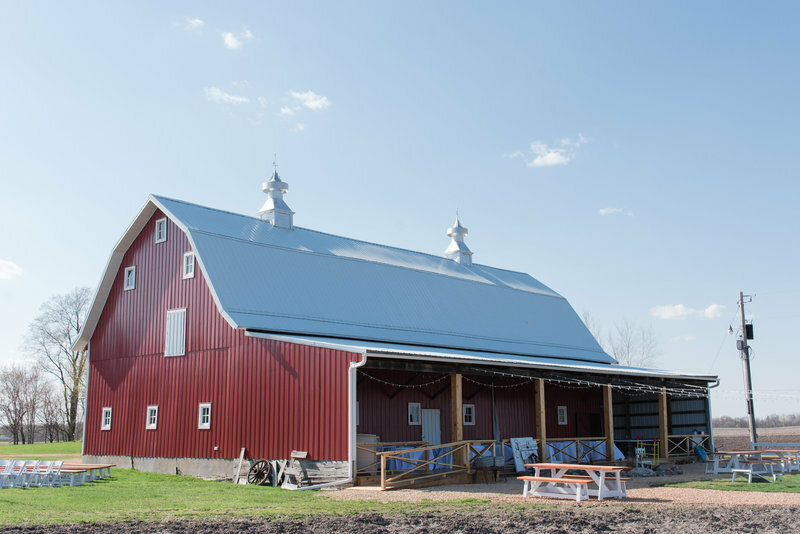 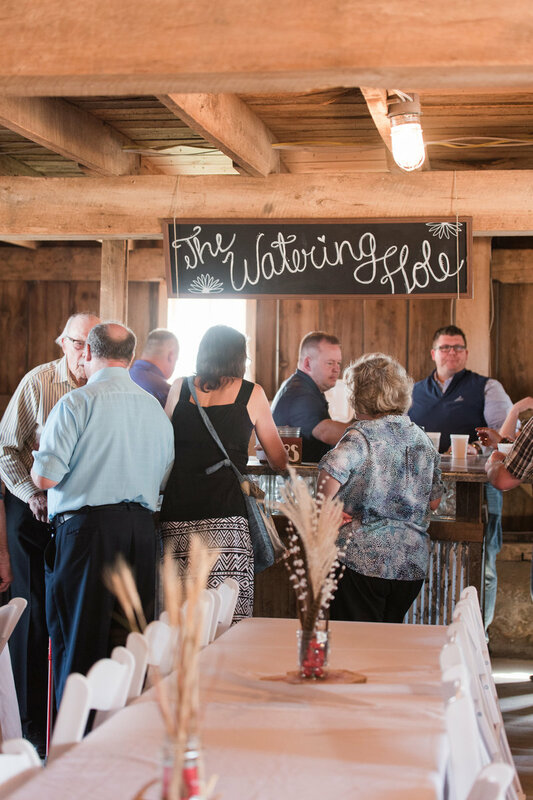 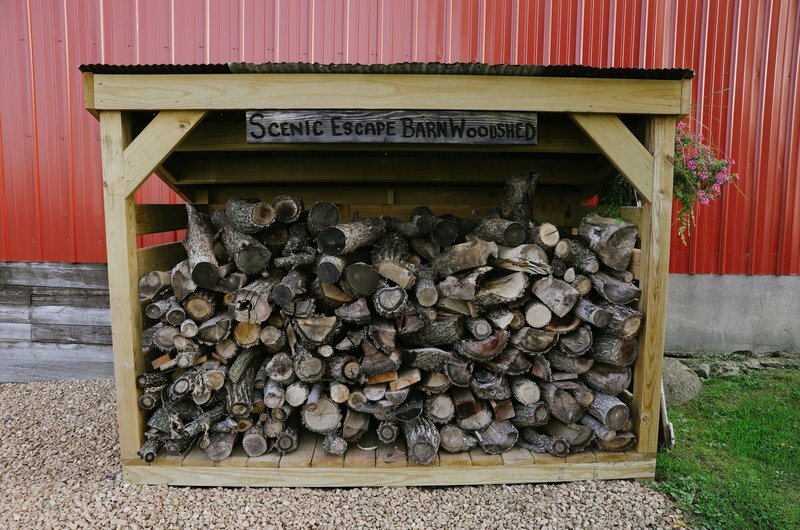 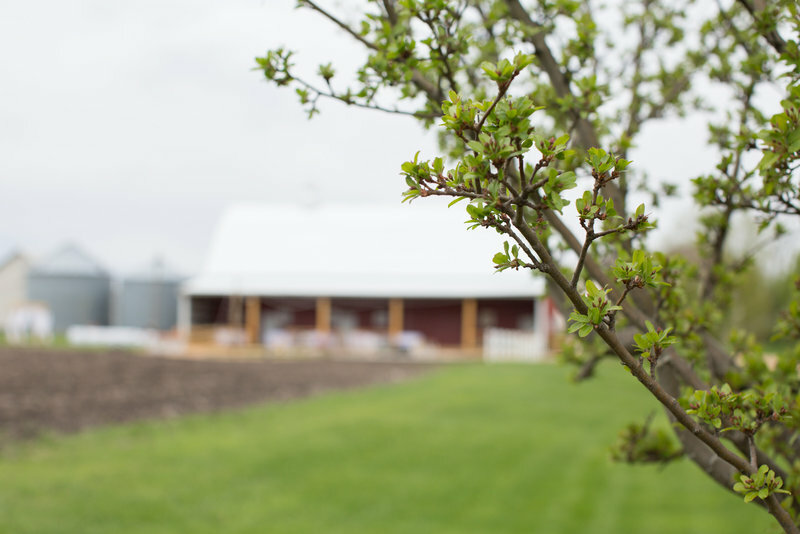 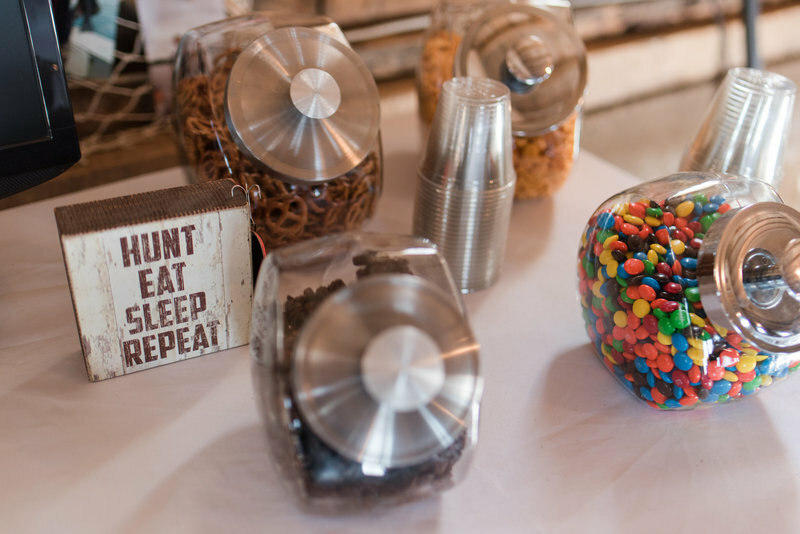 THE GEM OF OUR PROPERTY, OUR RECENTLY RESTORED BARN features two levels of space for you and your 275 guests to enjoy. 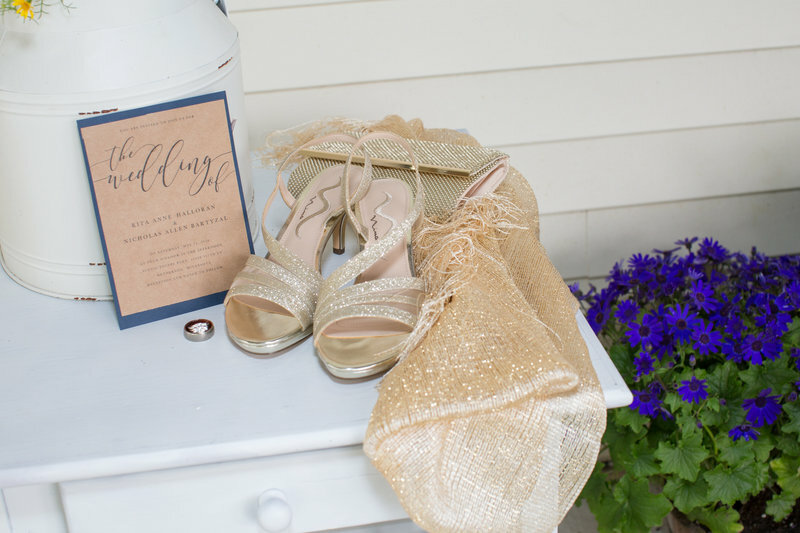 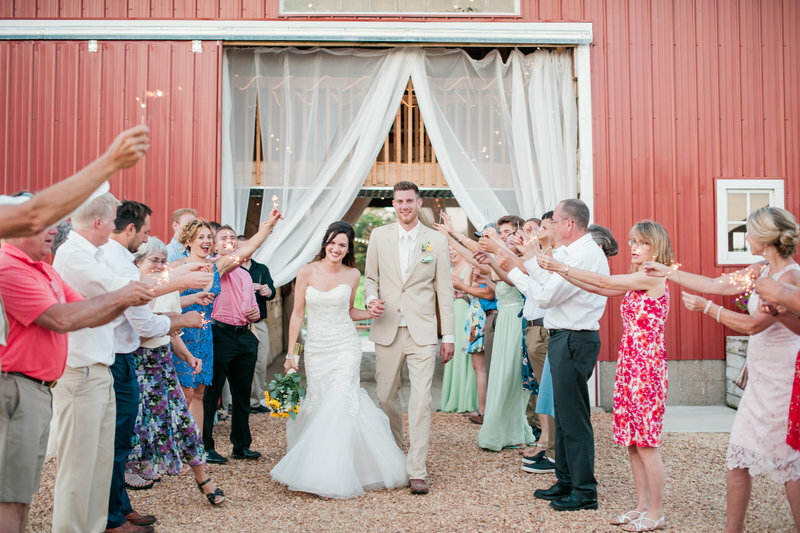 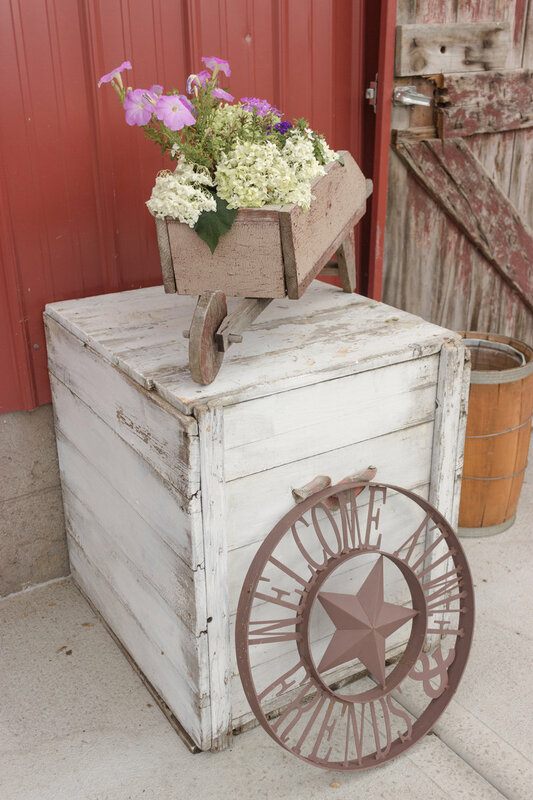 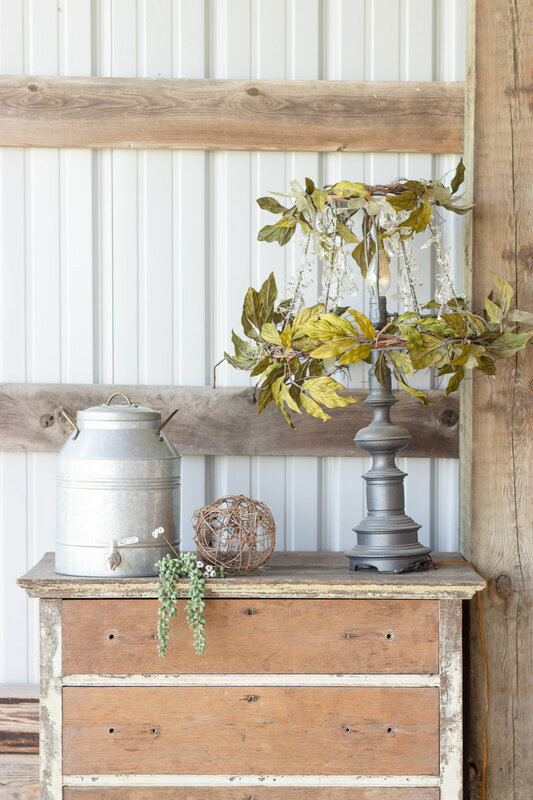 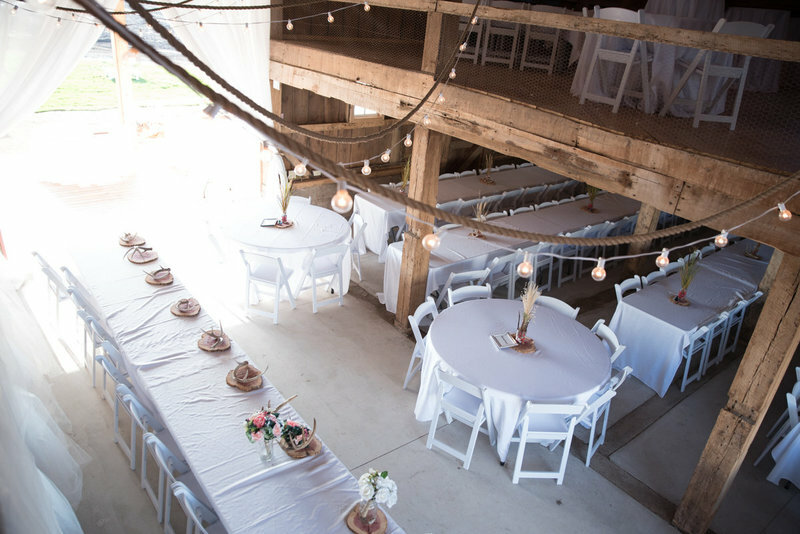 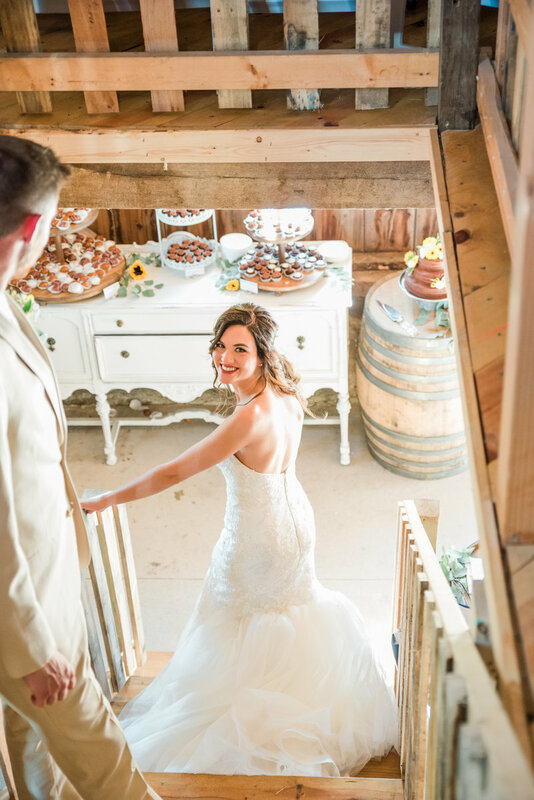 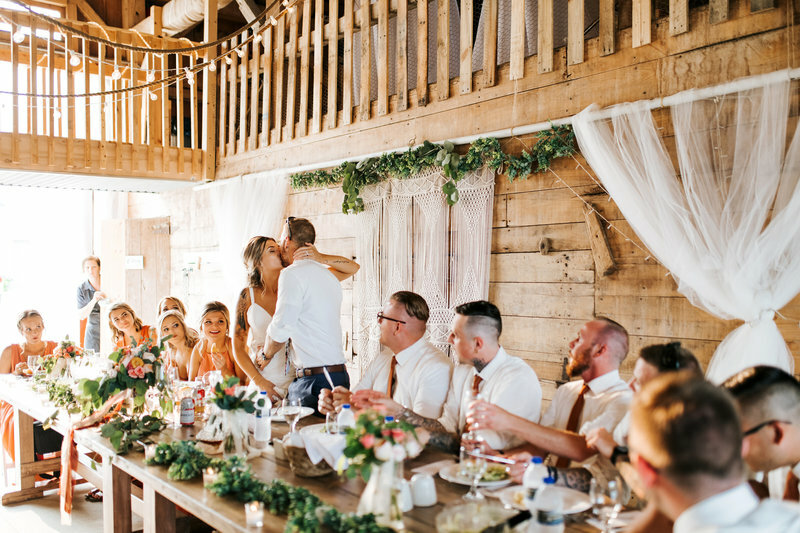 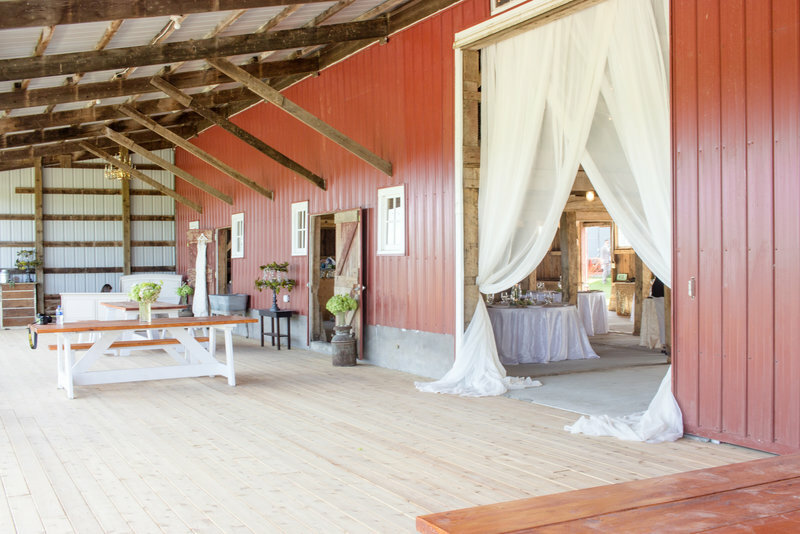 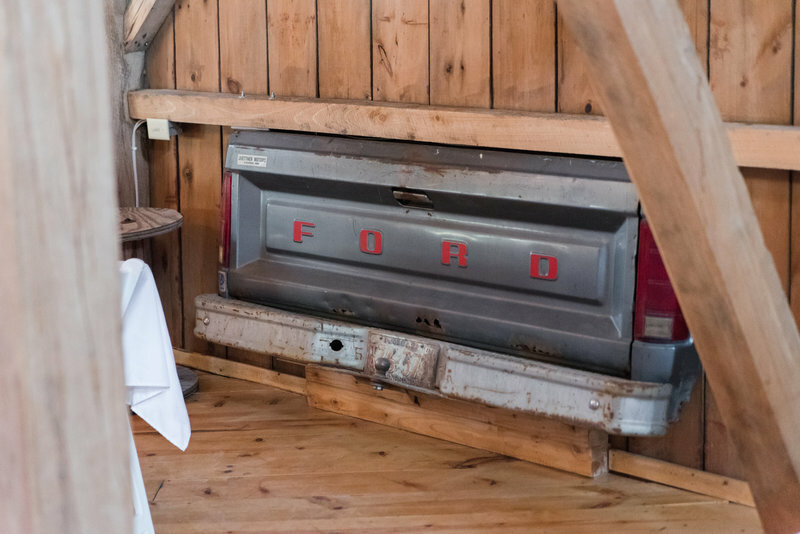 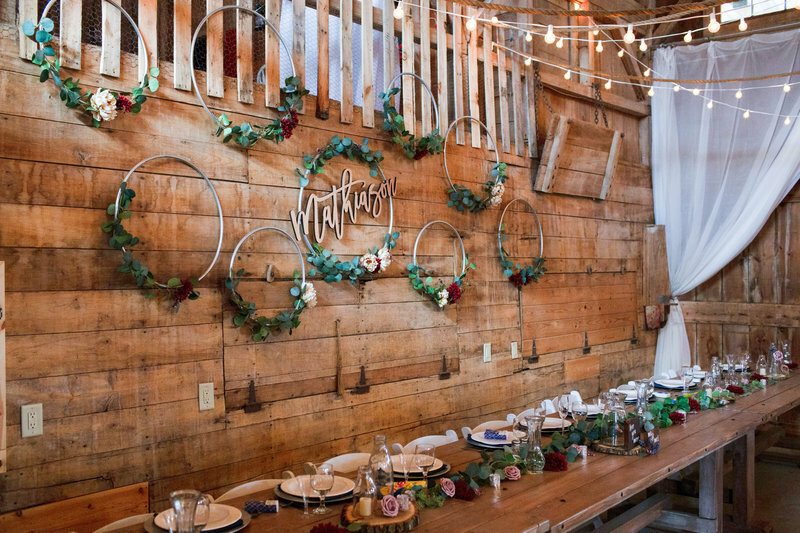 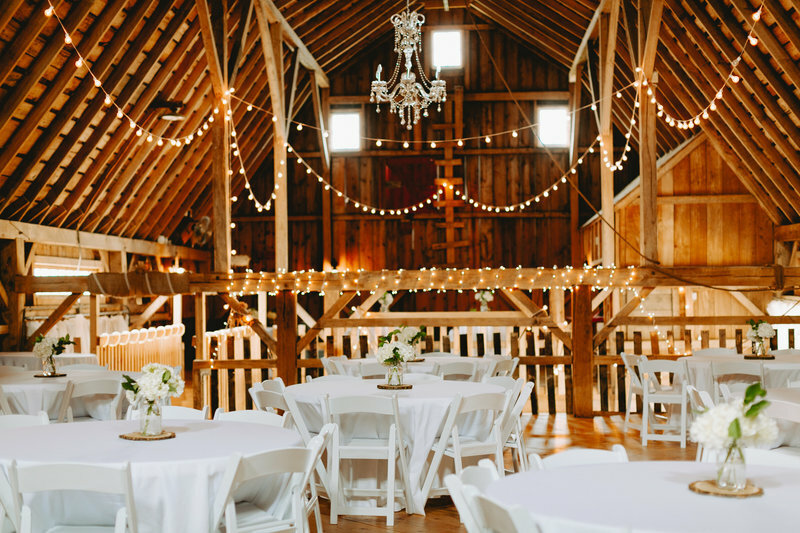 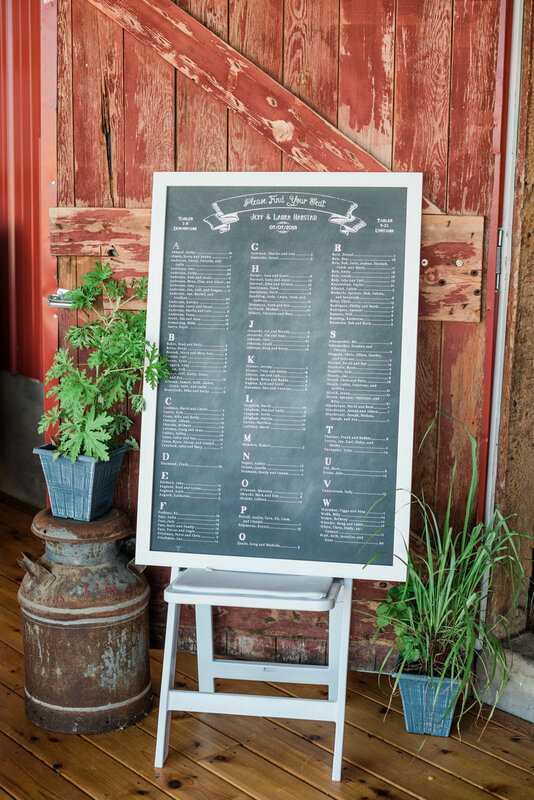 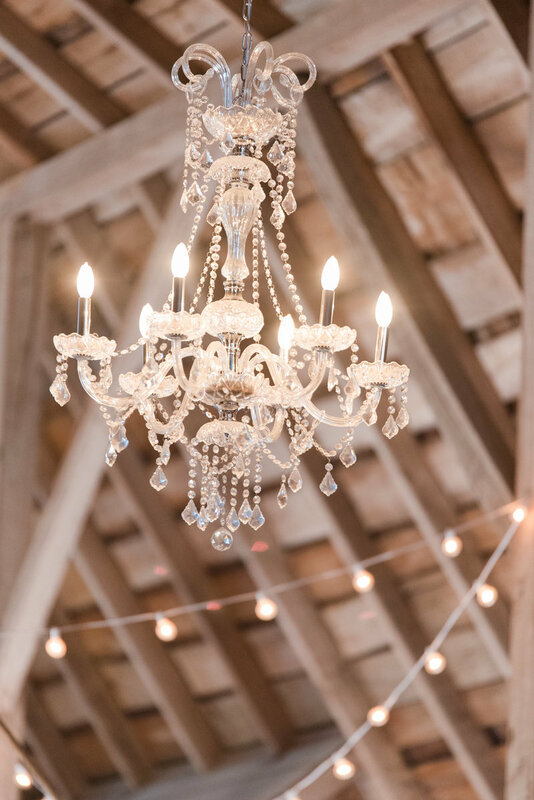 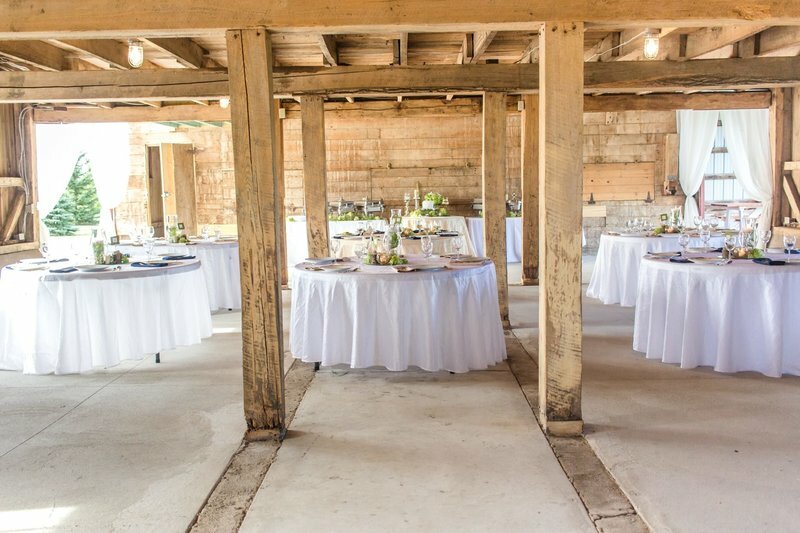 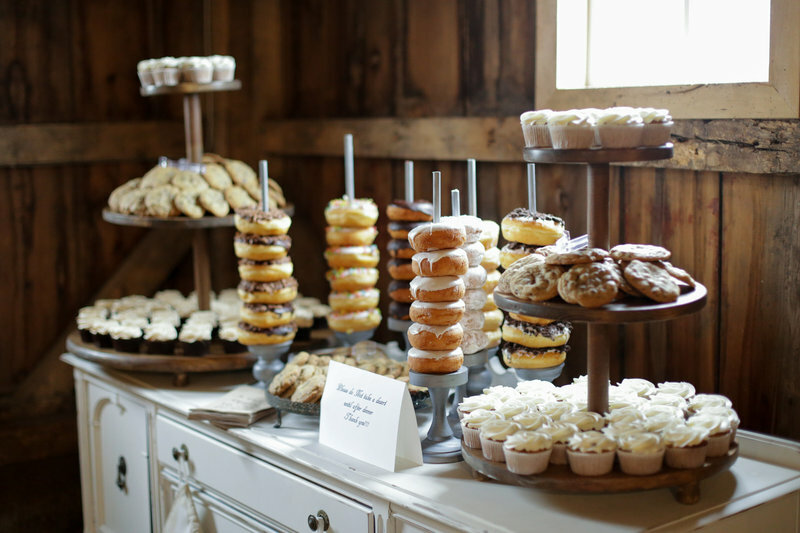 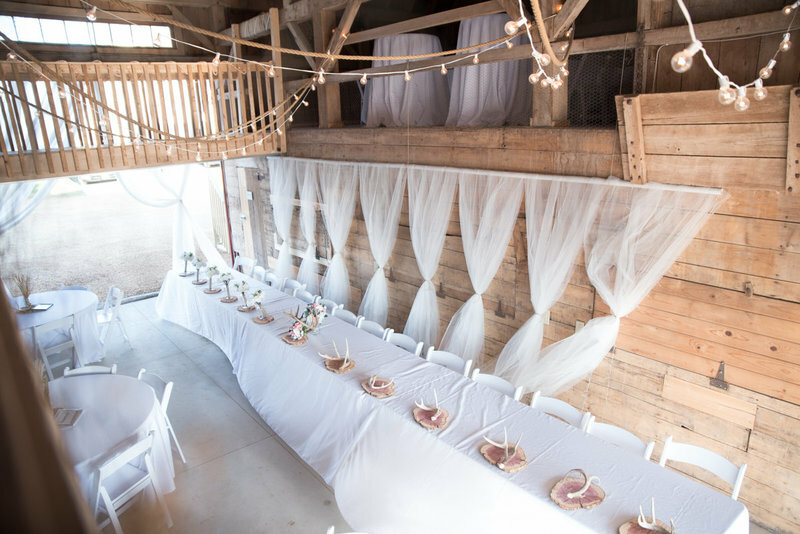 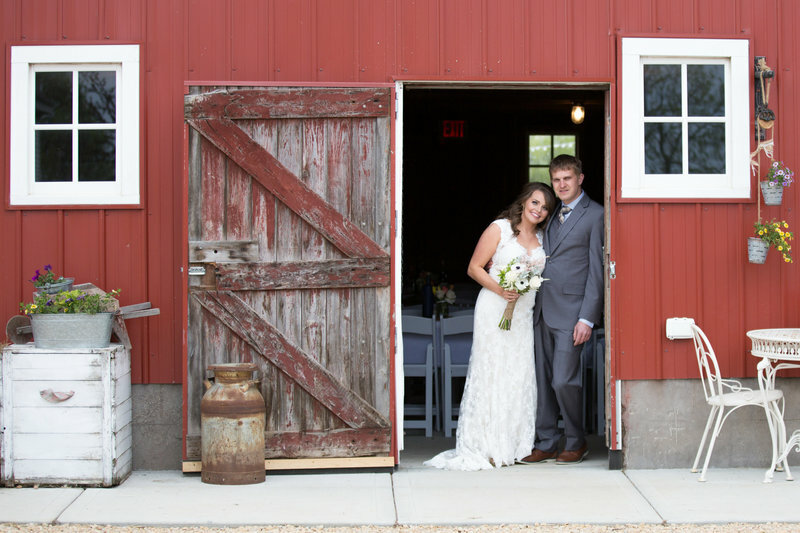 White draped TROLLEY doors on both sides of the barn let in lots of natural sunlight and a soft summer breeze. 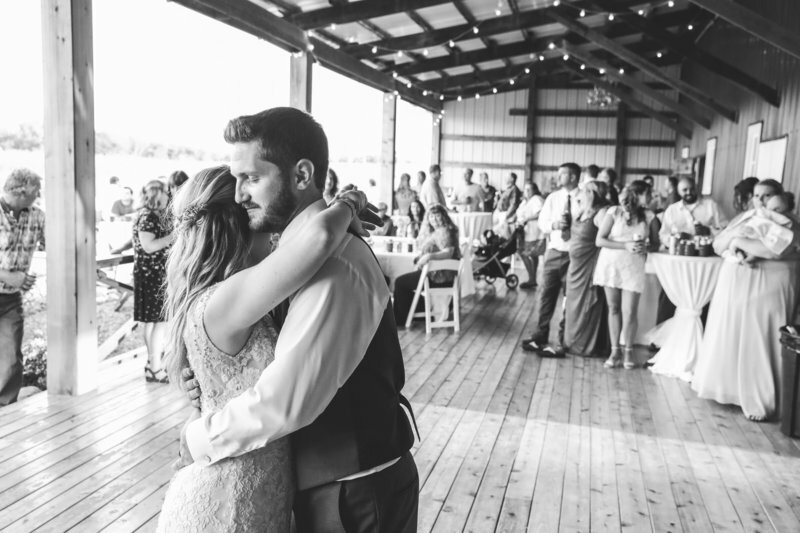 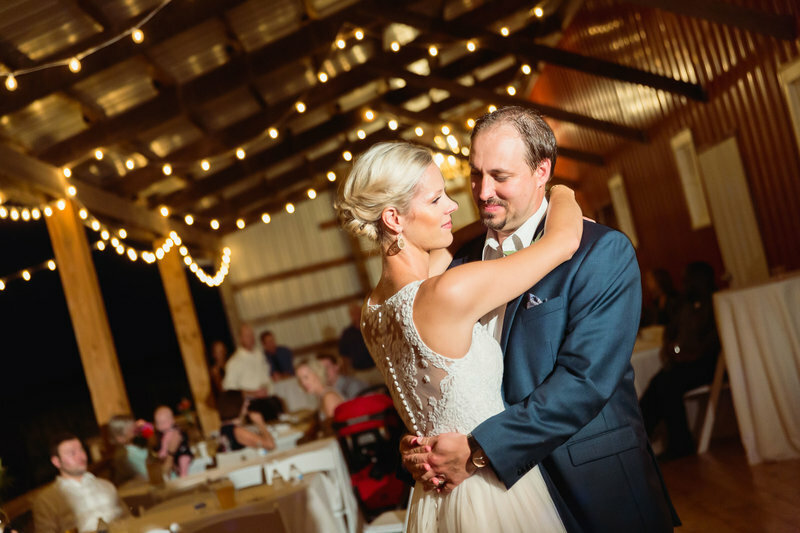 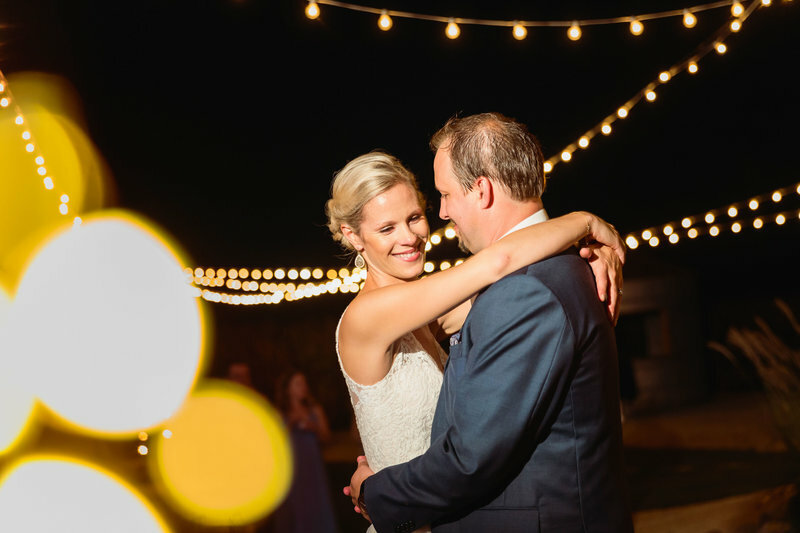 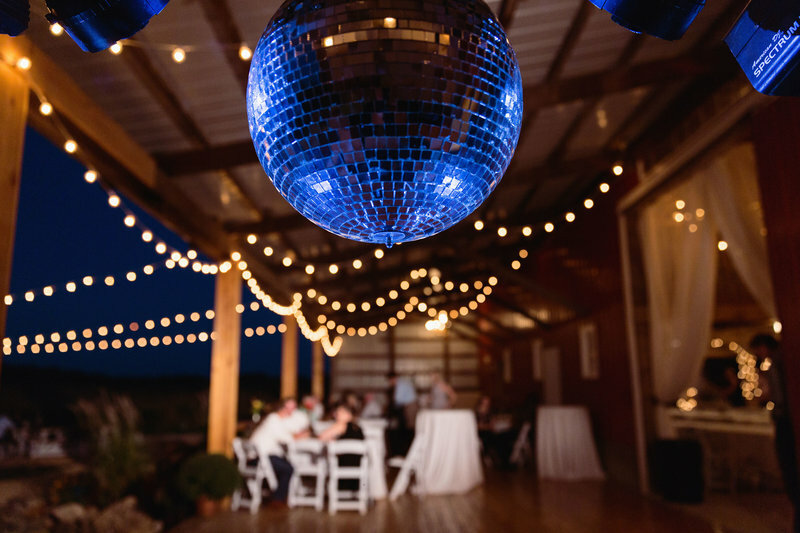 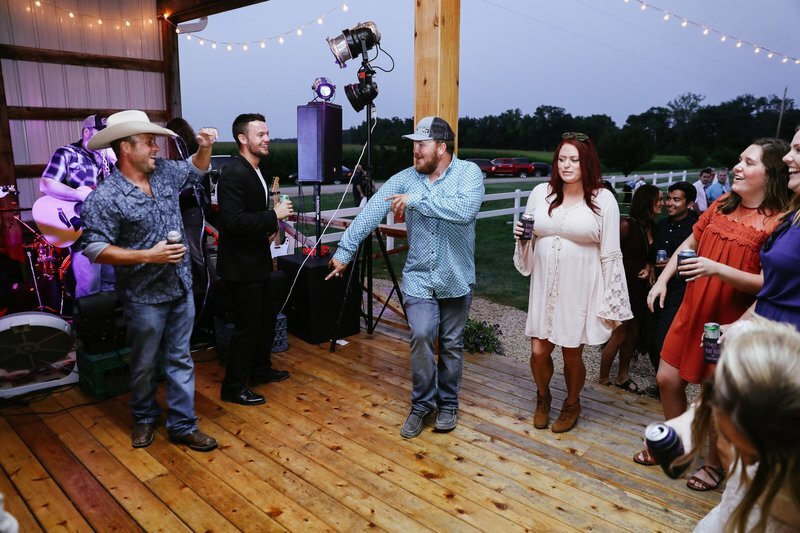 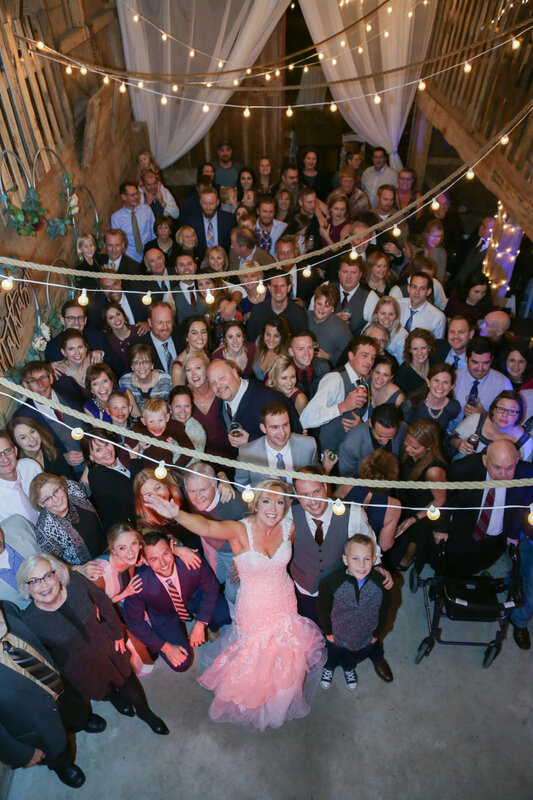 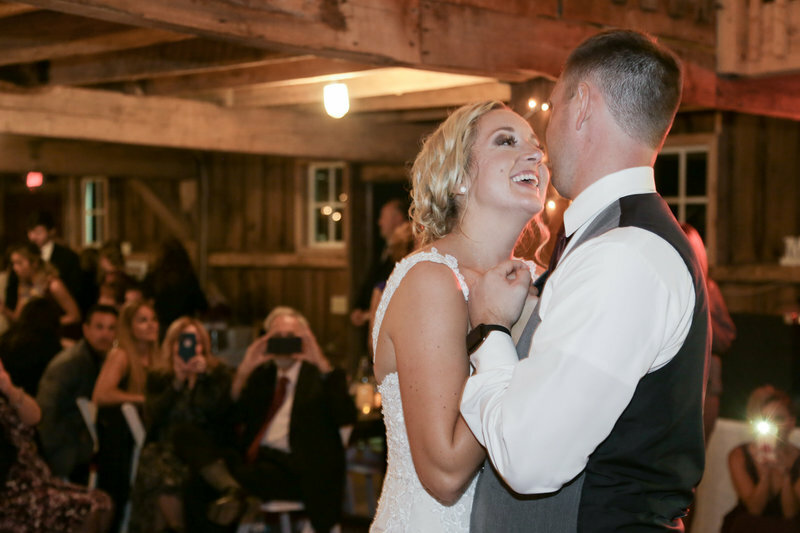 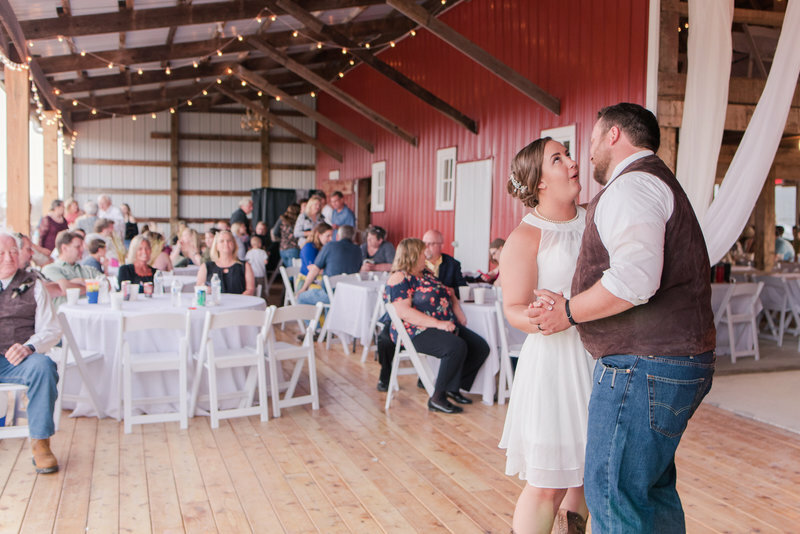 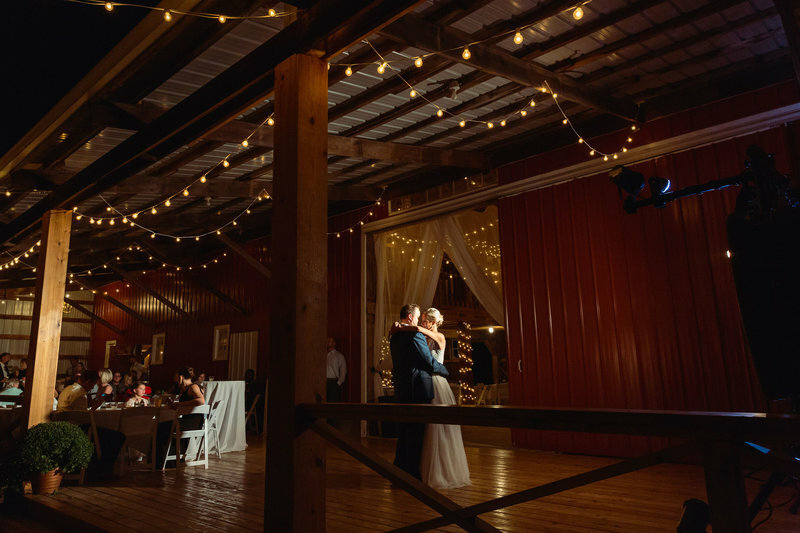 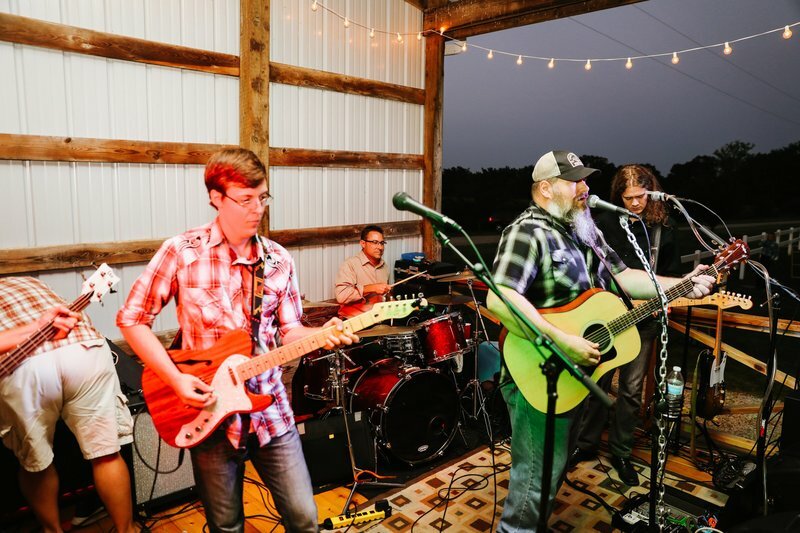 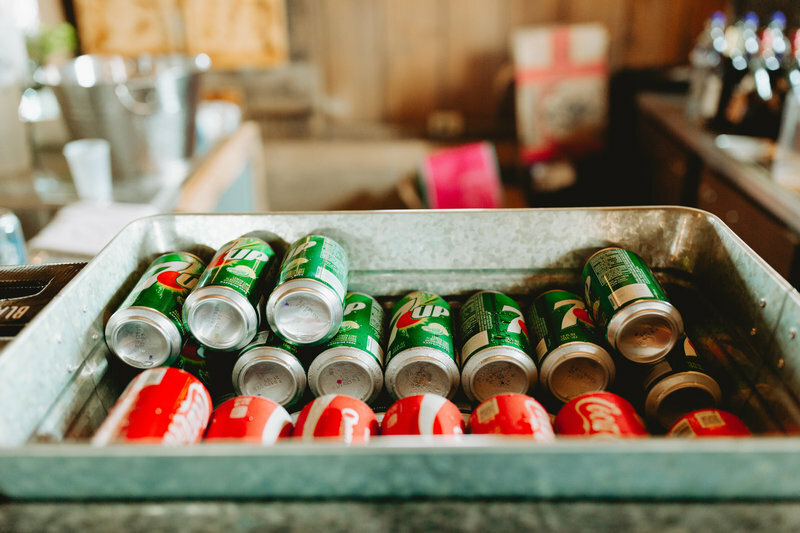 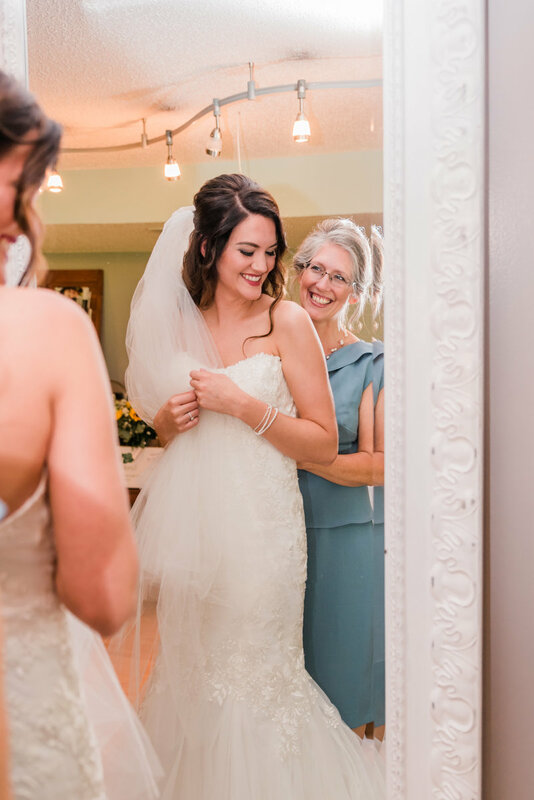 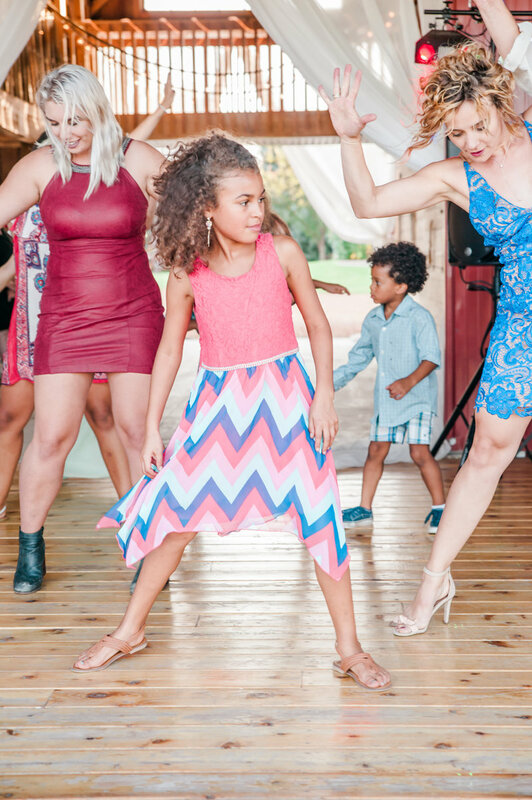 The SECOND LEVEL WALKING BRIDGE crosses OVER THE INDOOR DANCE FLOOR area and PROVIDES ACCESSES to A FUN CAFE AREa with booth seating and a vintage pickup tailgate WET BAR. 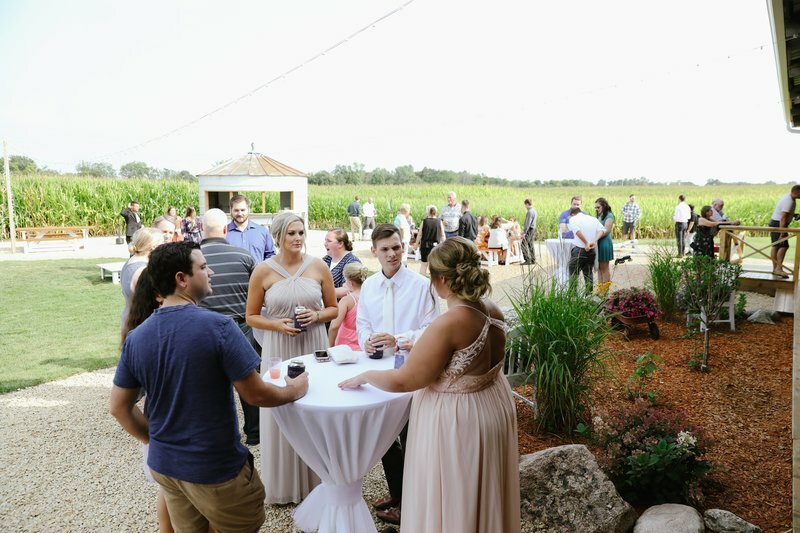 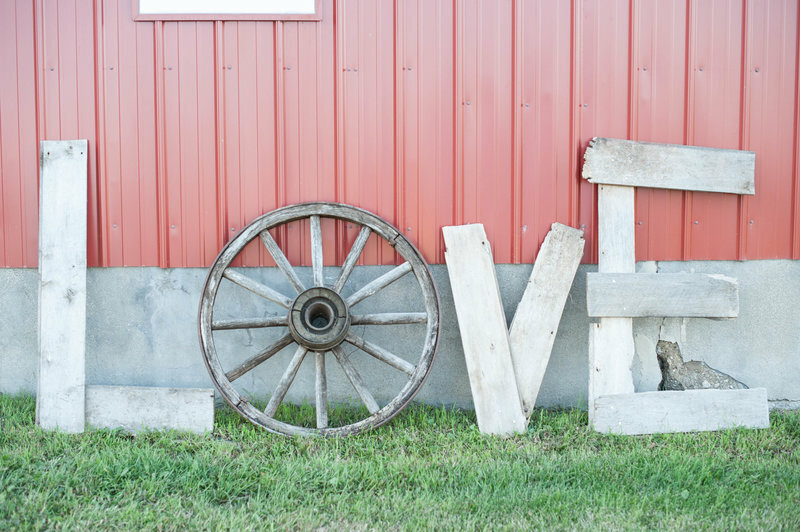 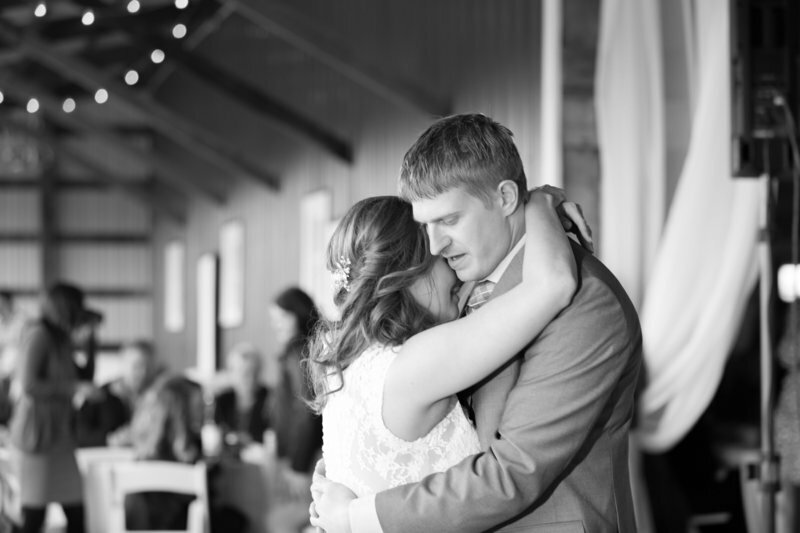 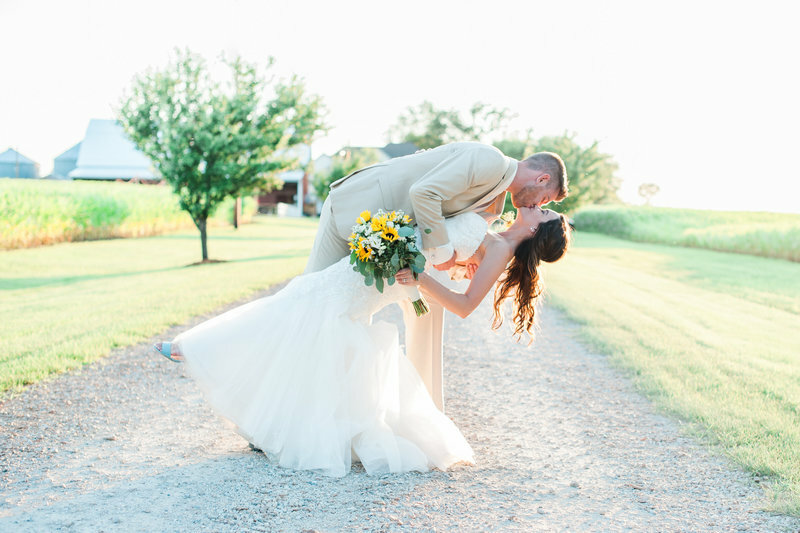 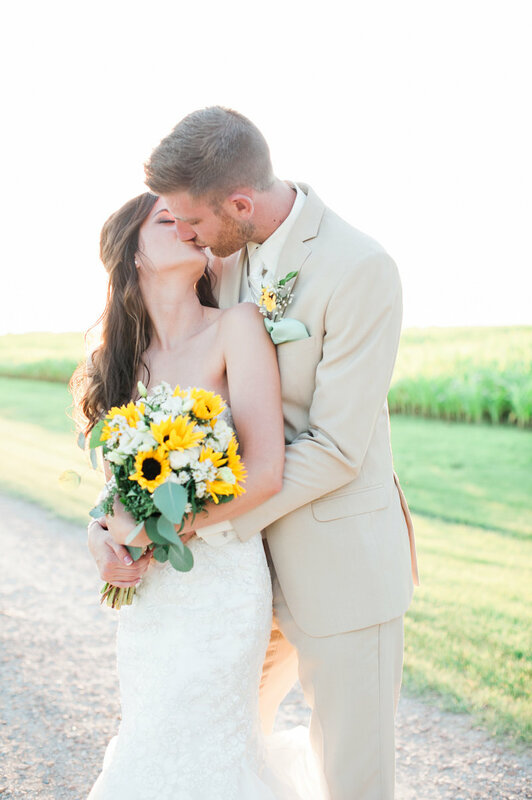 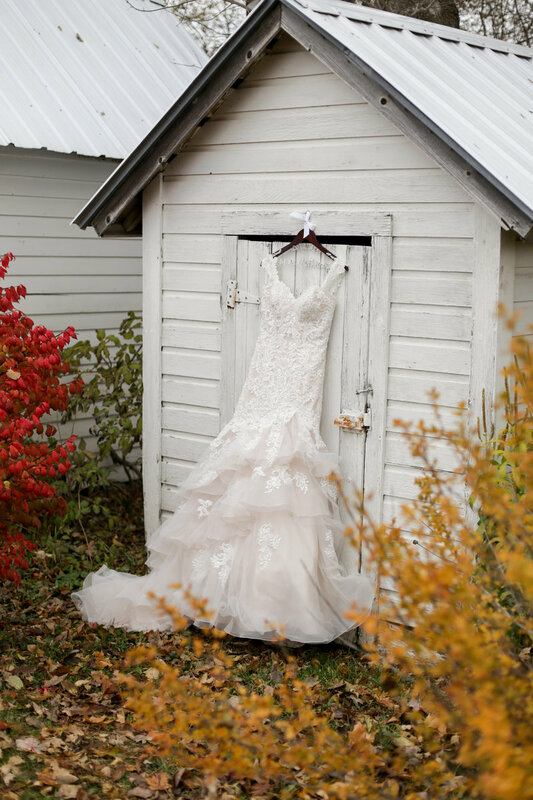 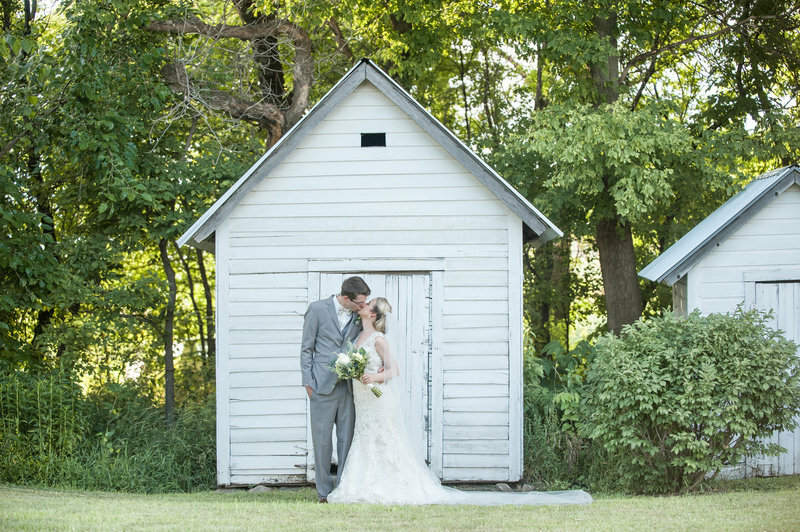 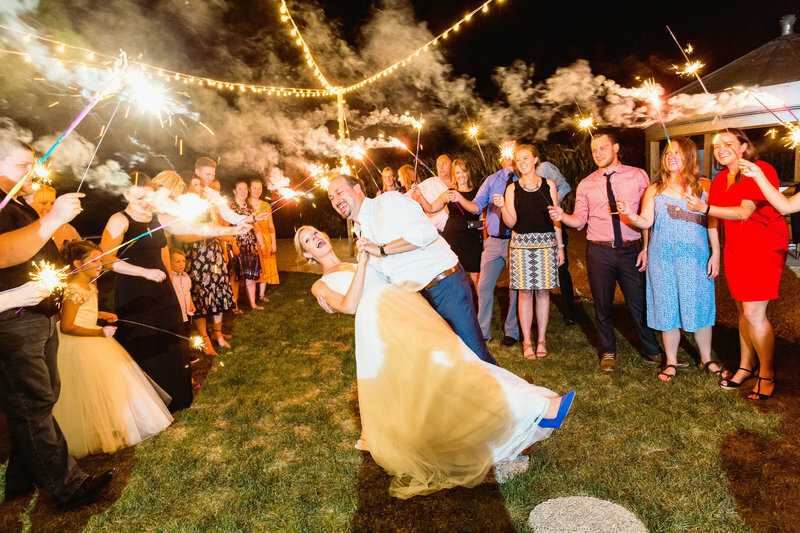 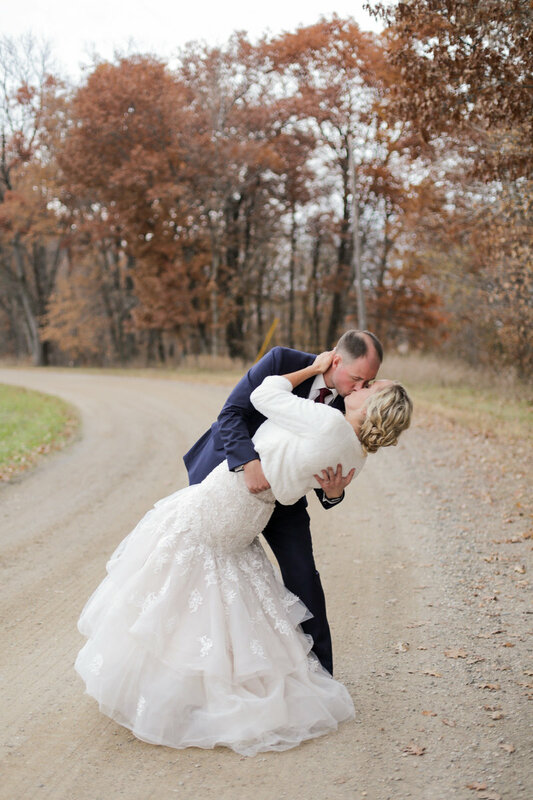 The majority of couples choose to say i do in the side yard adjacent to the barn. 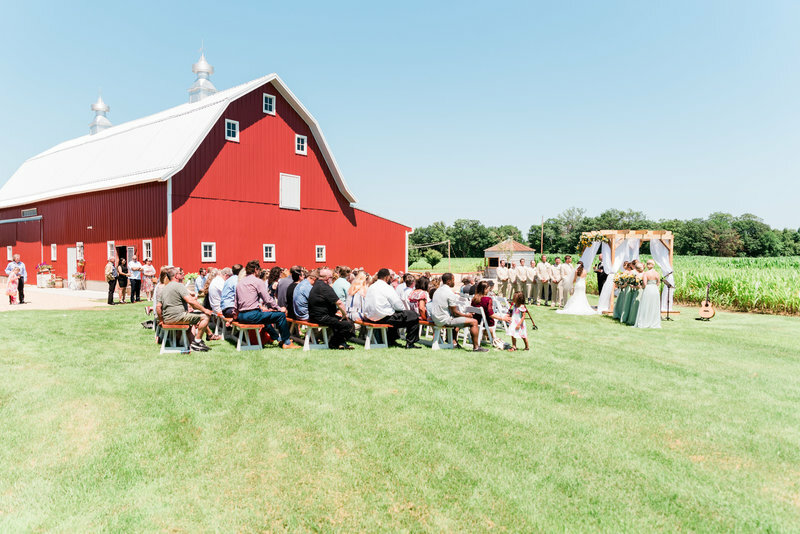 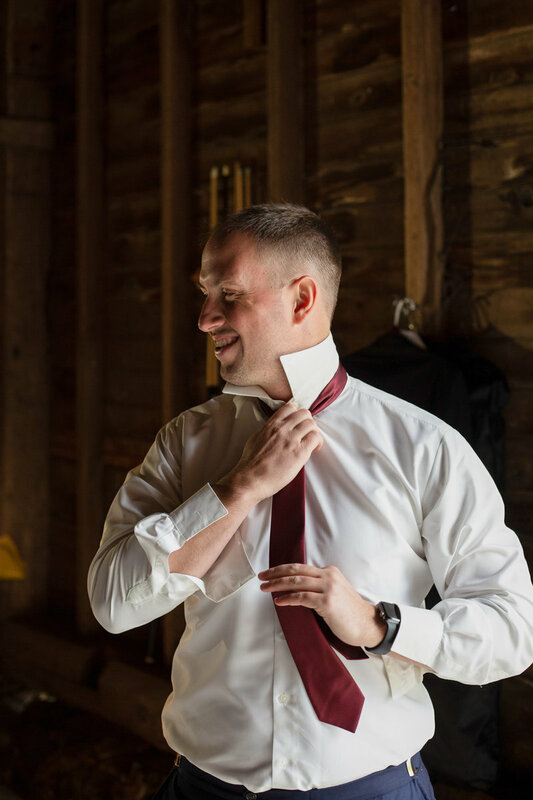 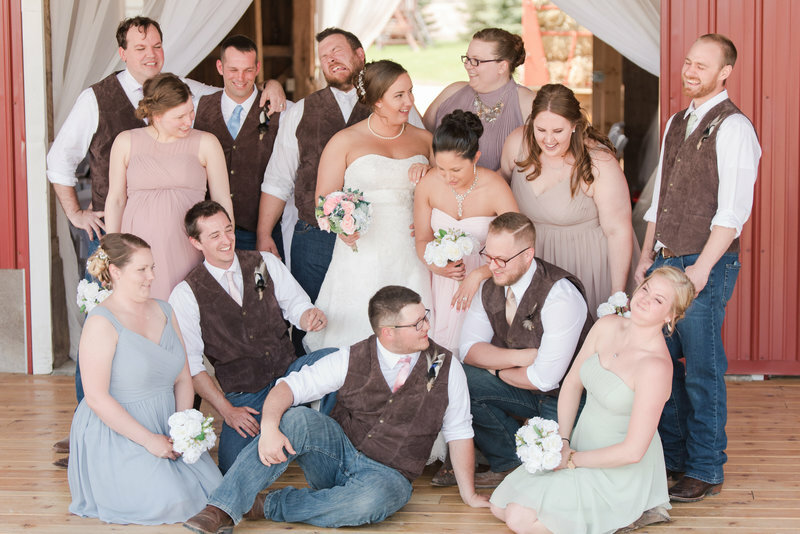 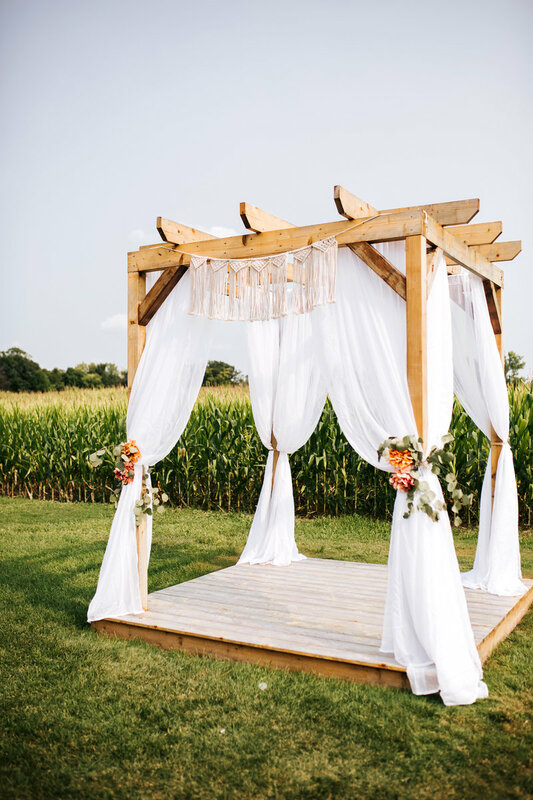 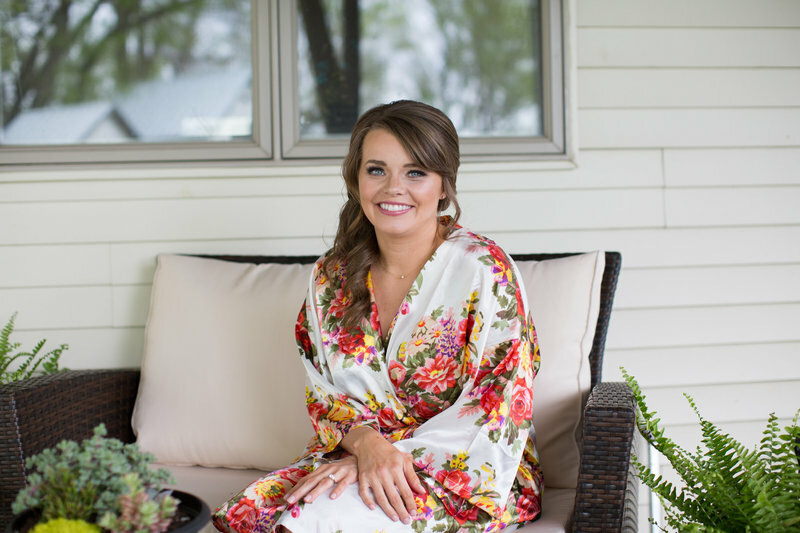 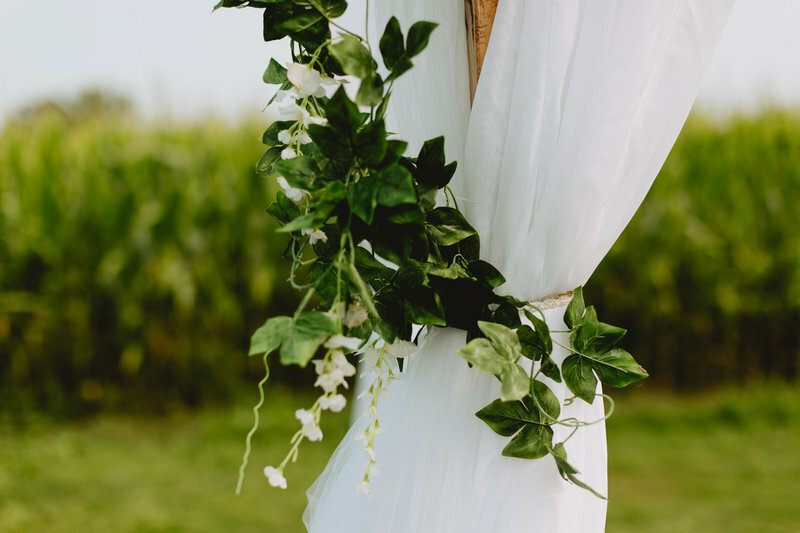 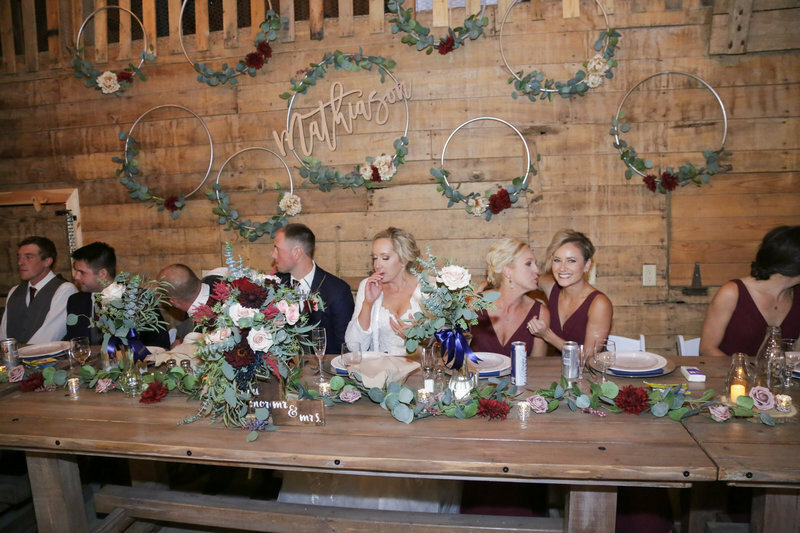 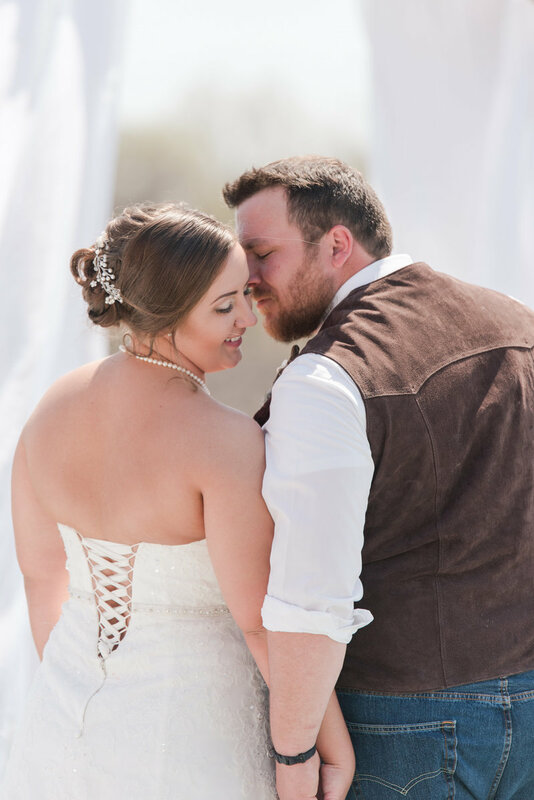 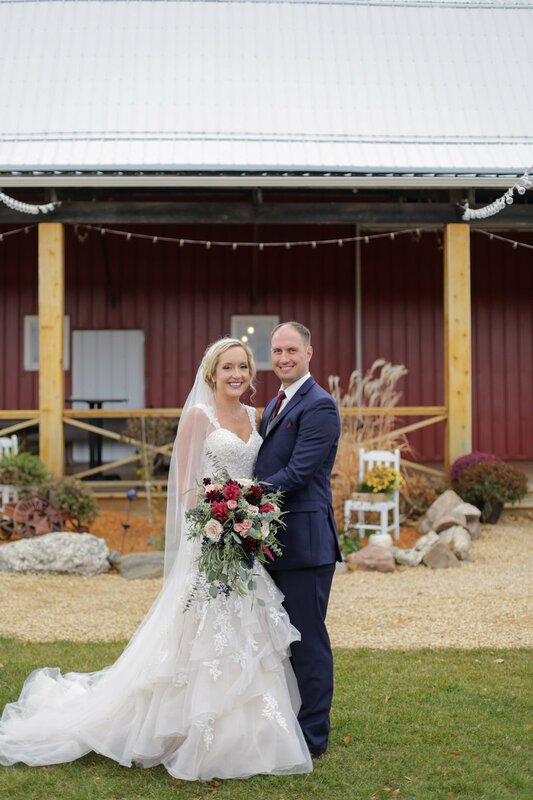 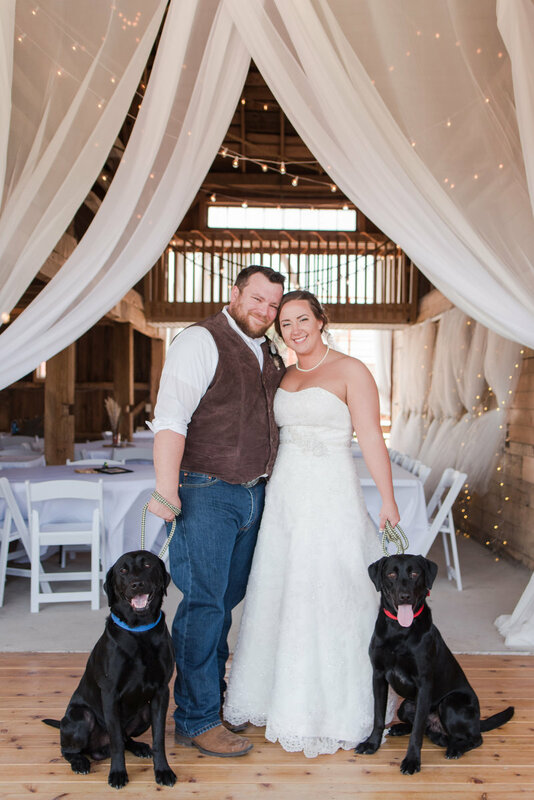 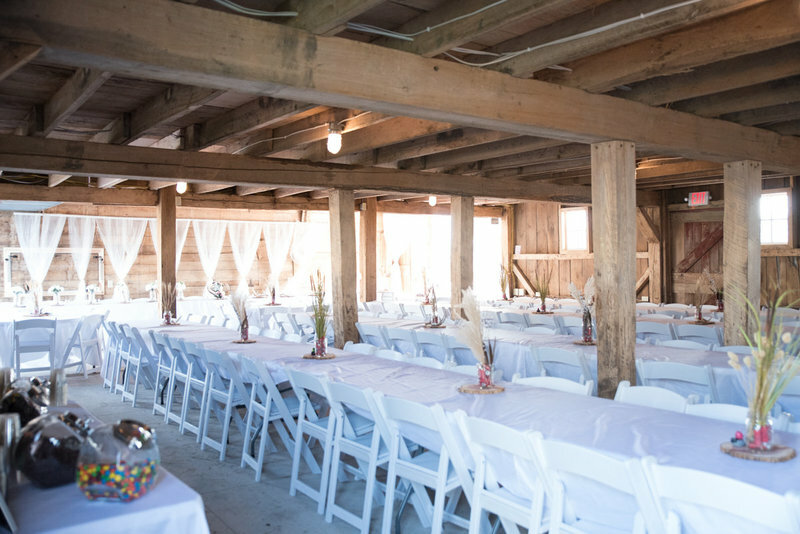 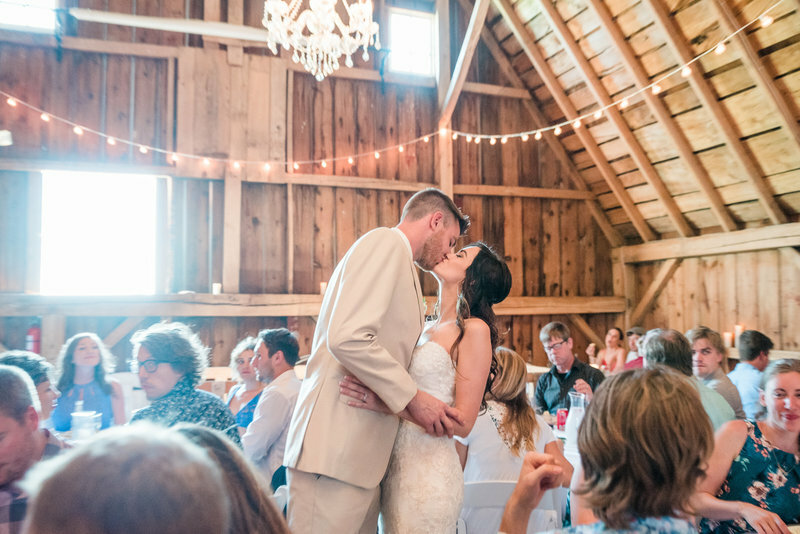 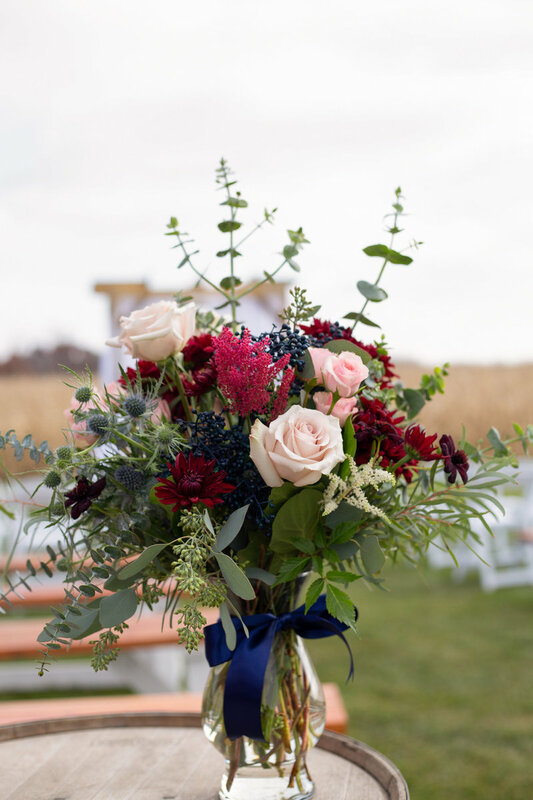 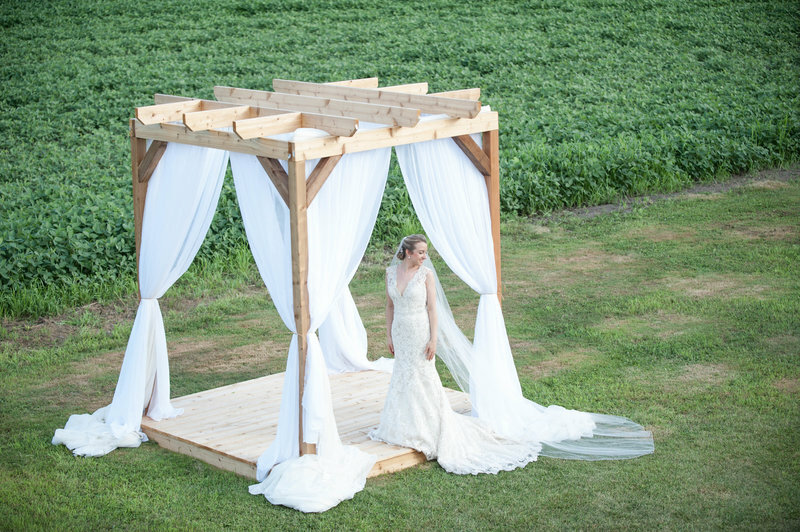 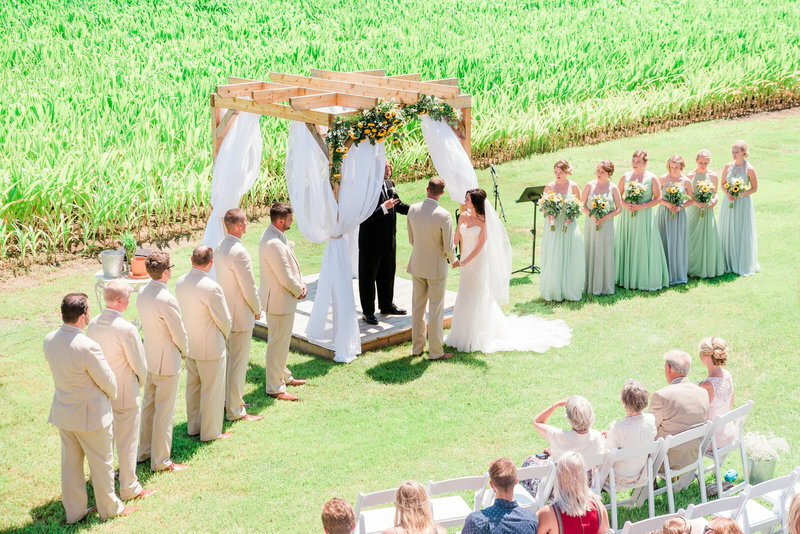 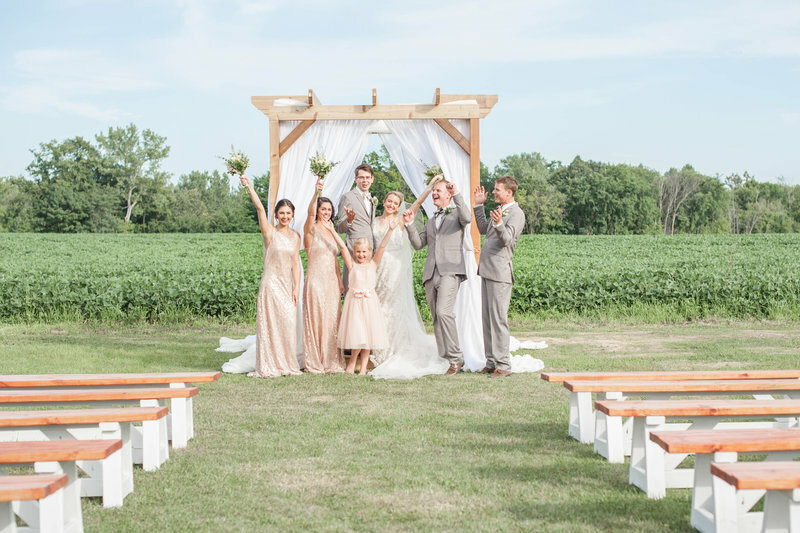 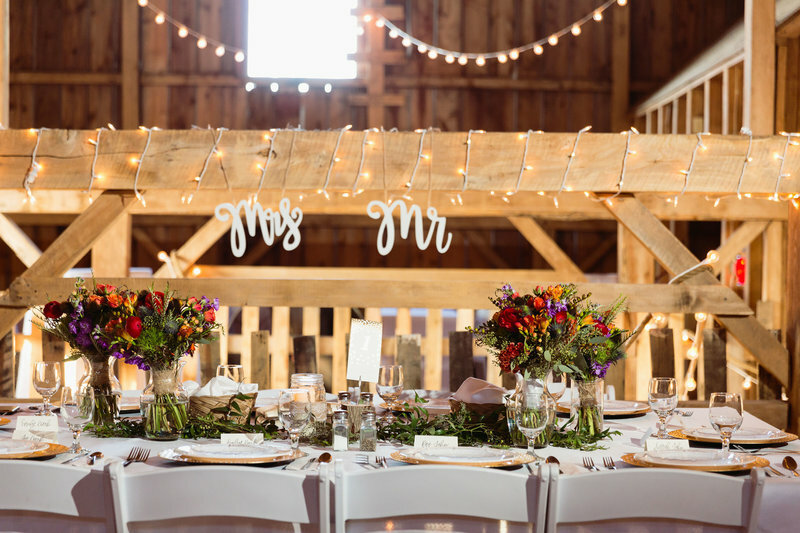 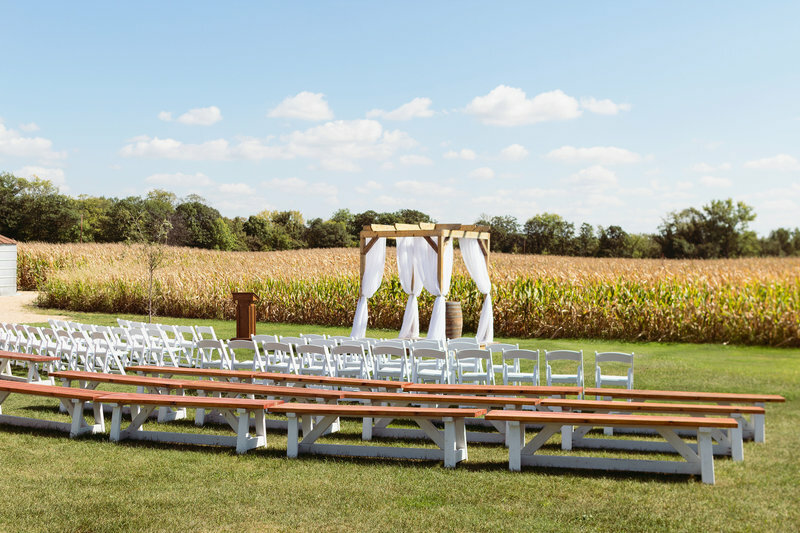 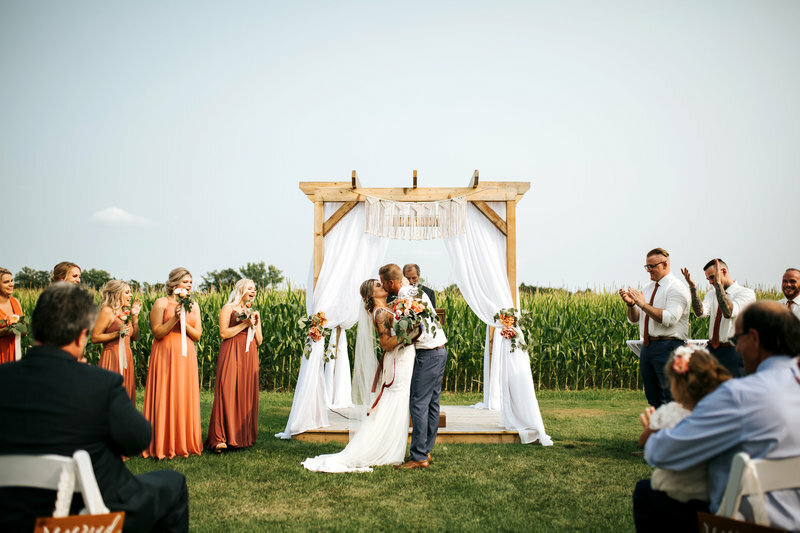 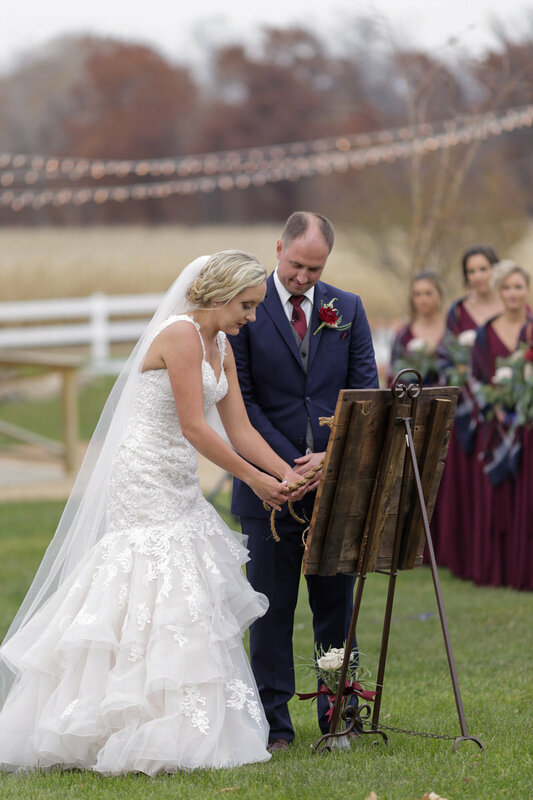 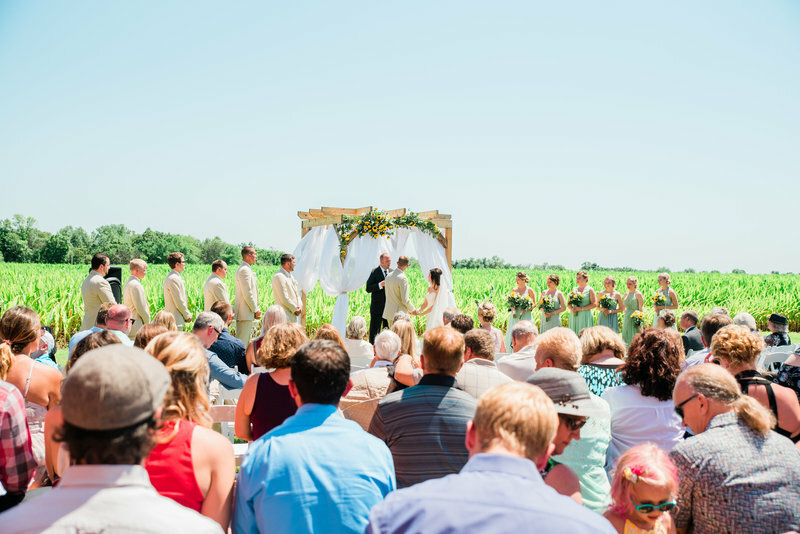 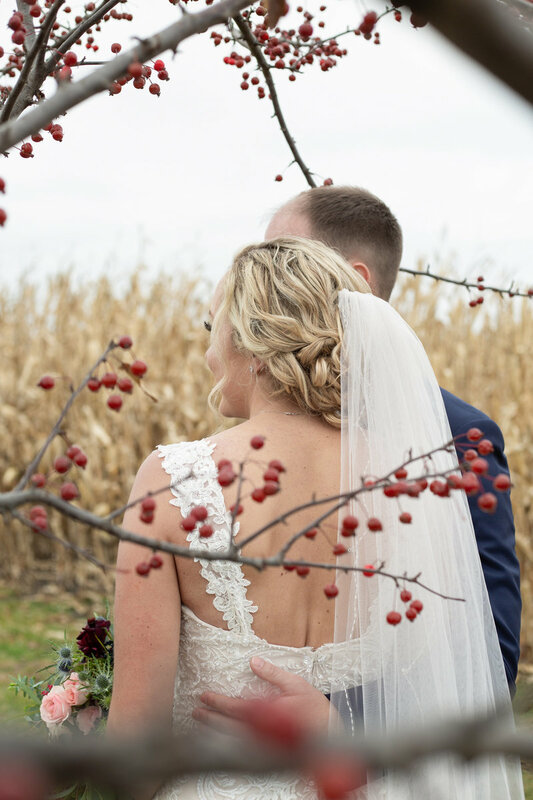 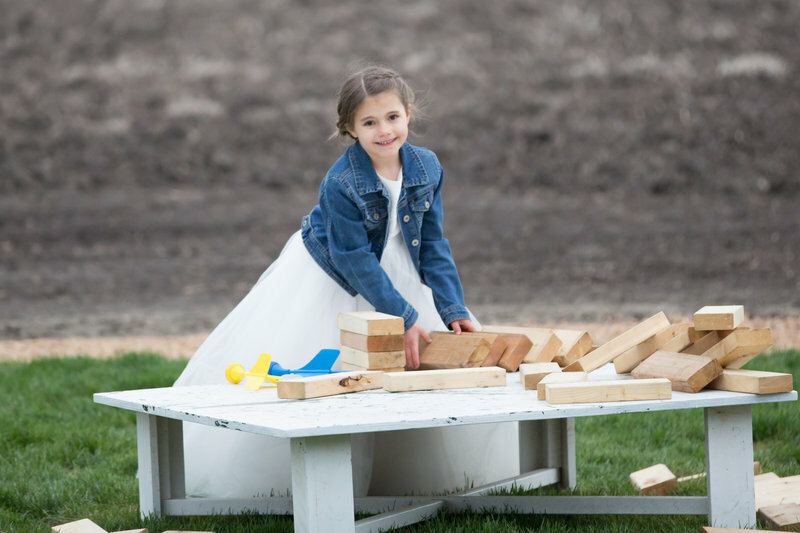 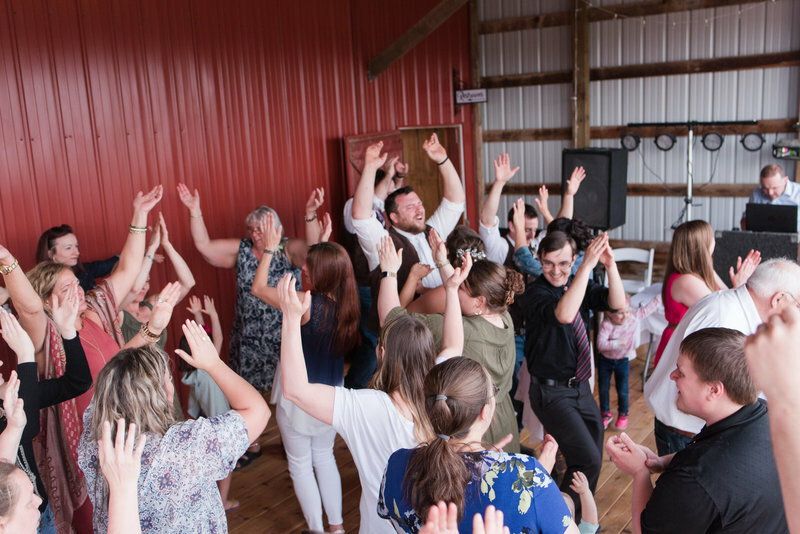 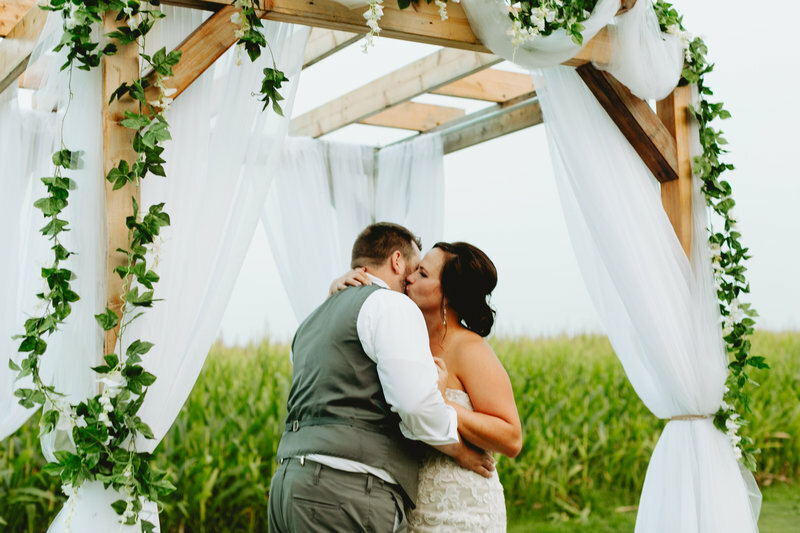 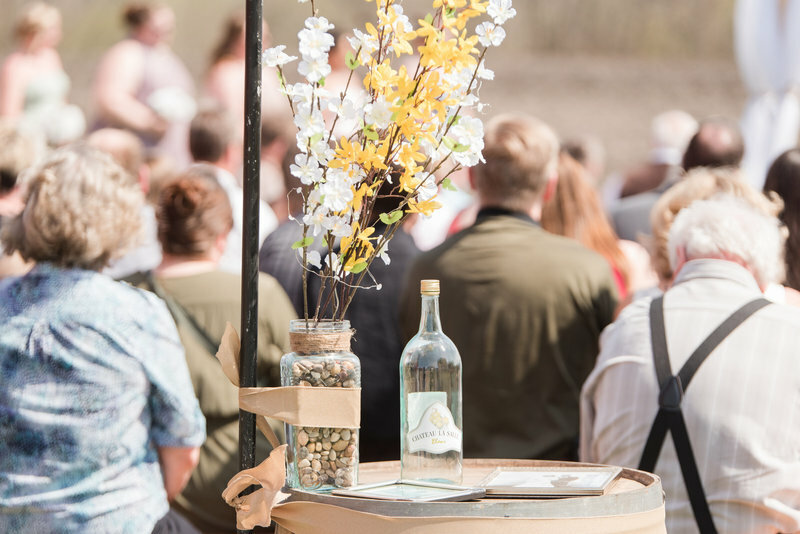 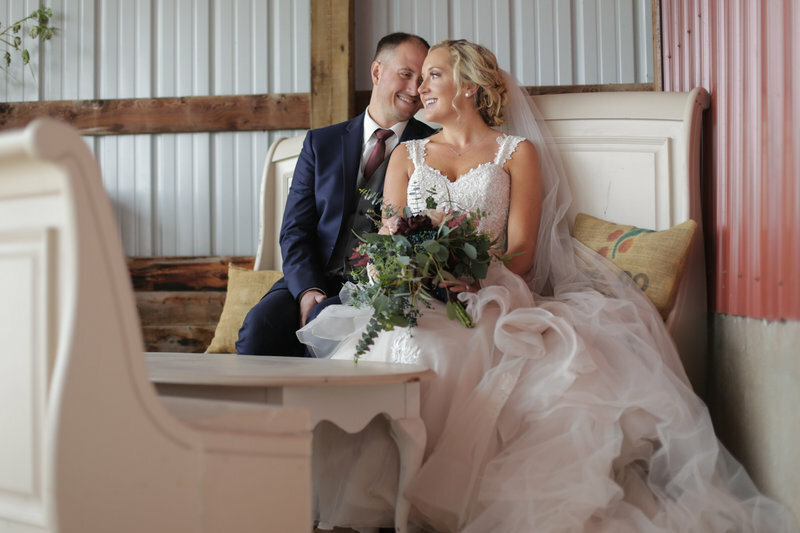 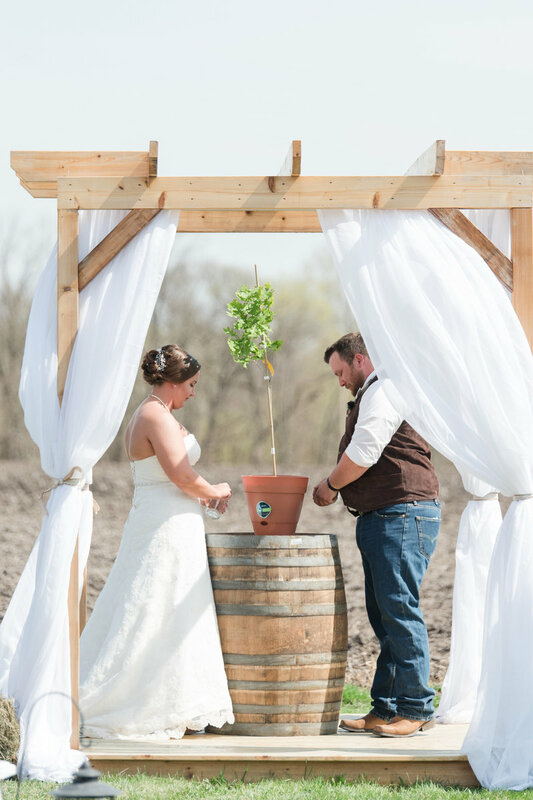 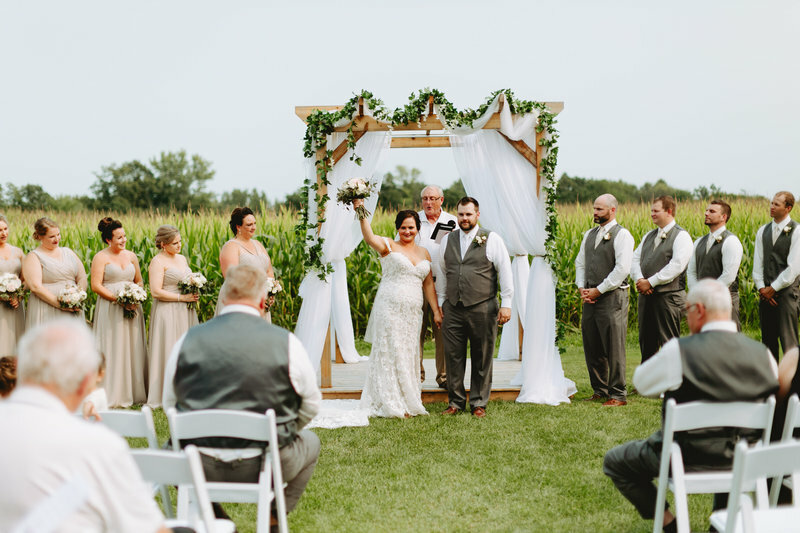 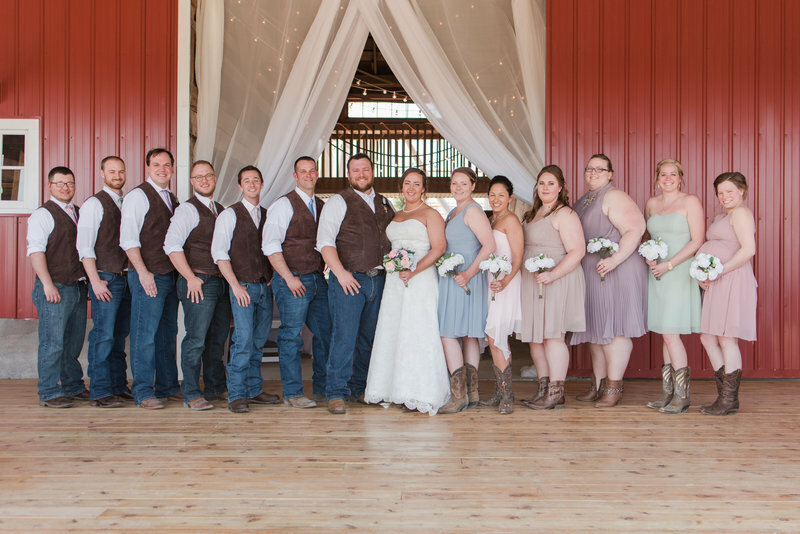 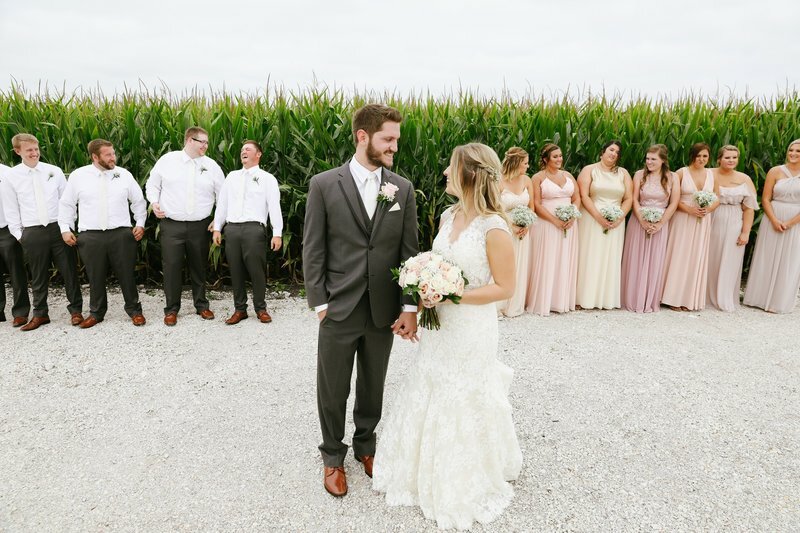 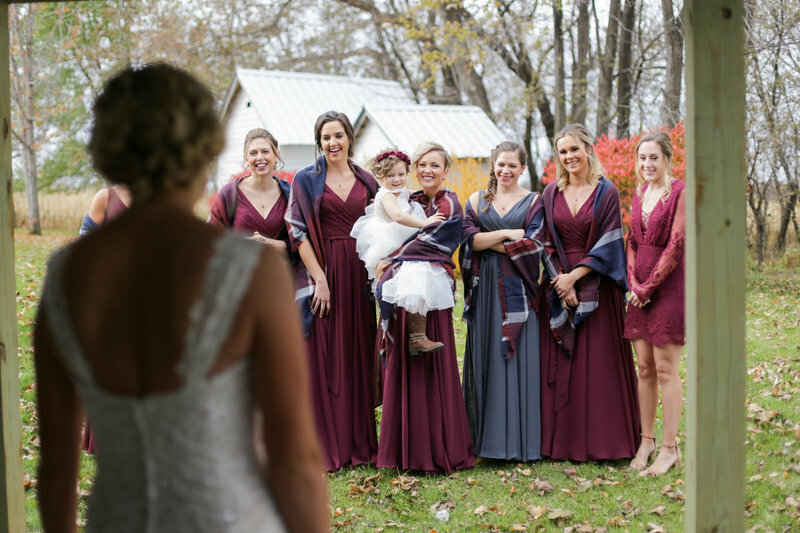 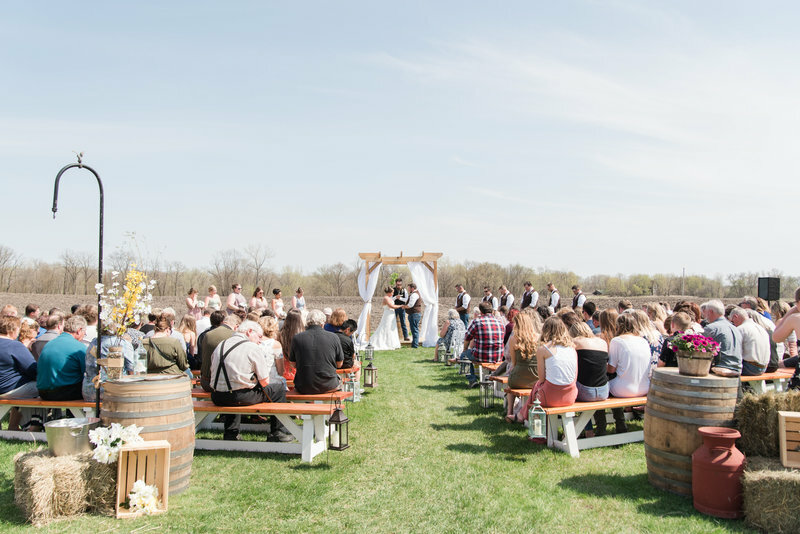 there is a cedar arbor draped with white chiffon, our farmhouse benches, and a few rows of white deluxe chairs if you'd like to have those available for reserved seating. 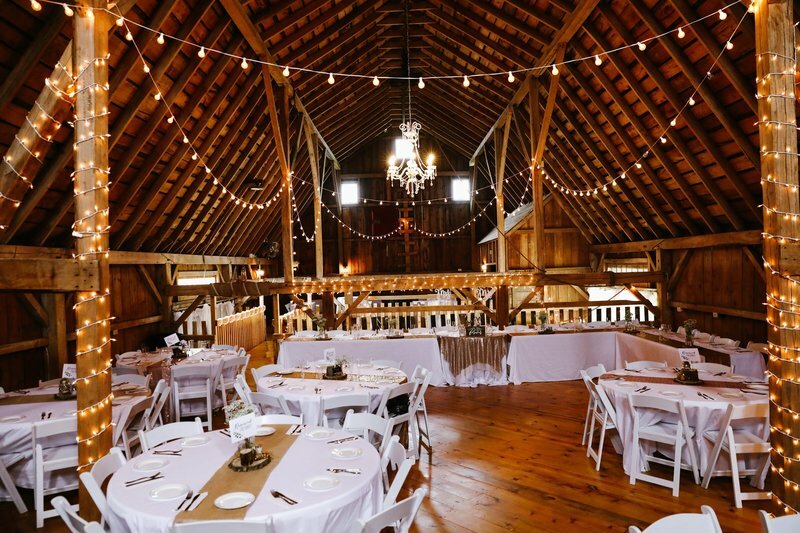 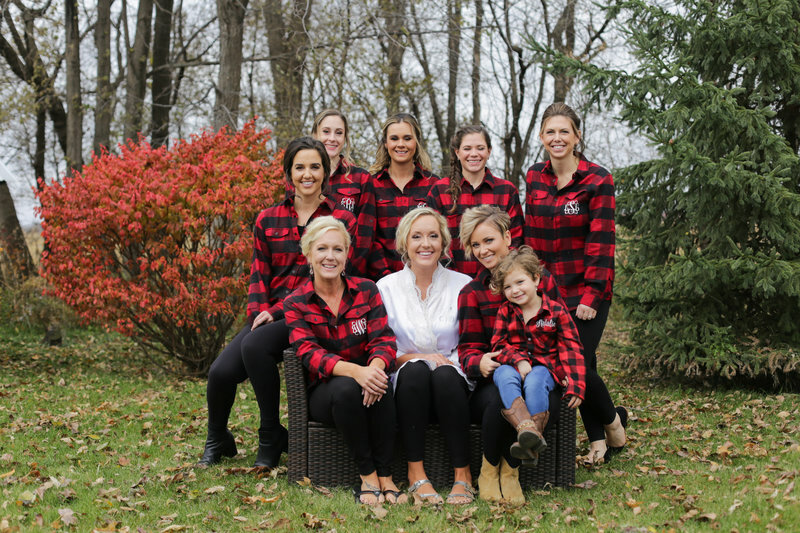 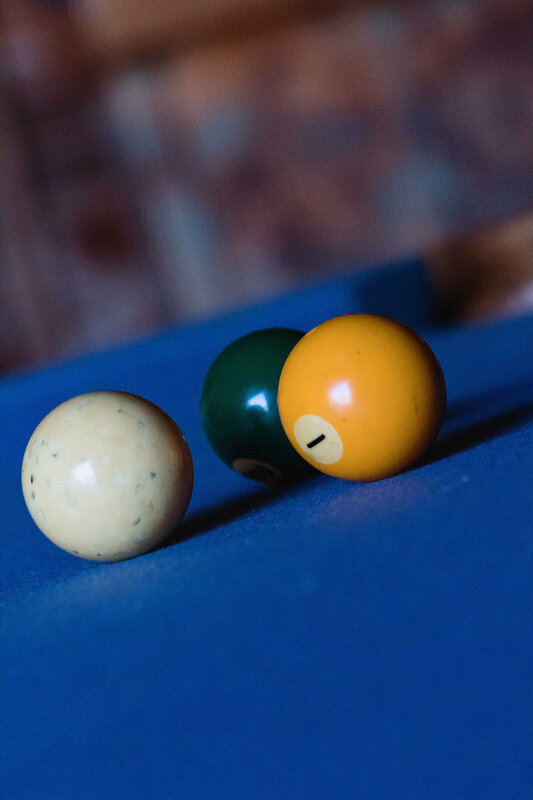 for rainy weather you are welcome to choose from both levels within the barn and the covered cedar deck is also a wonderful choice that provides an open air feel that is still protected from the ELEMENTS. 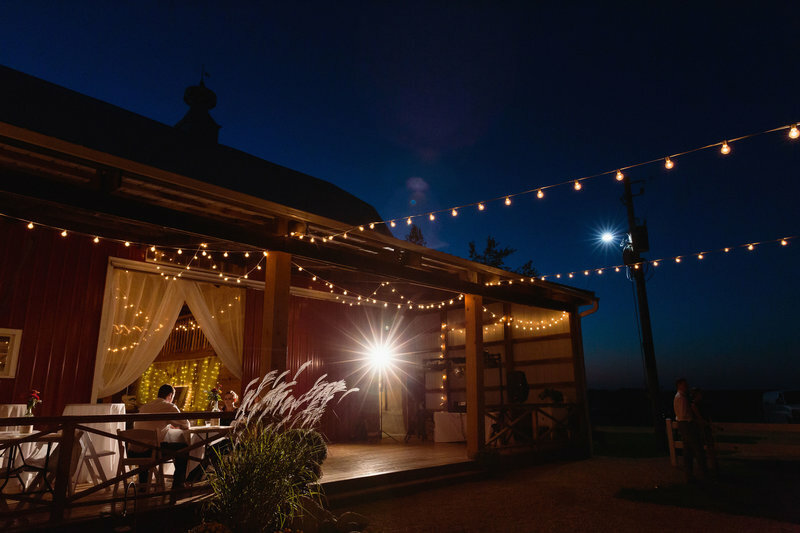 Just steps off the deck is a beautiful landscaped green space with cafe lights strung overhead. 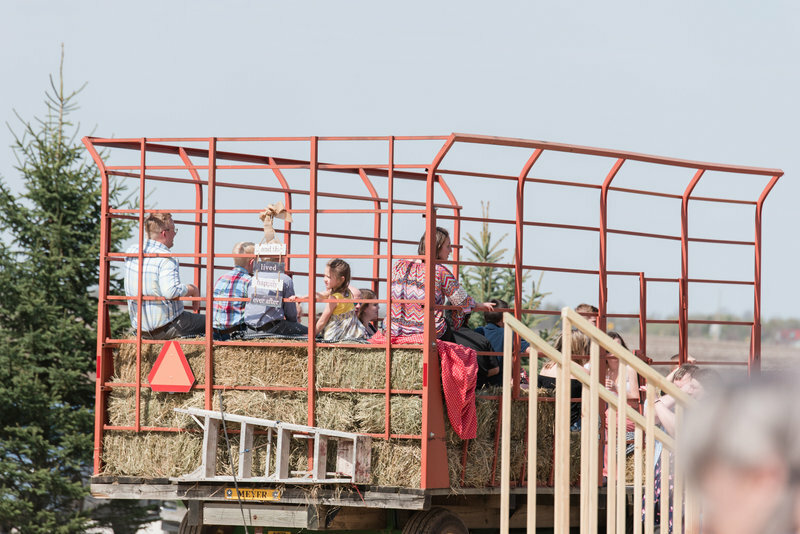 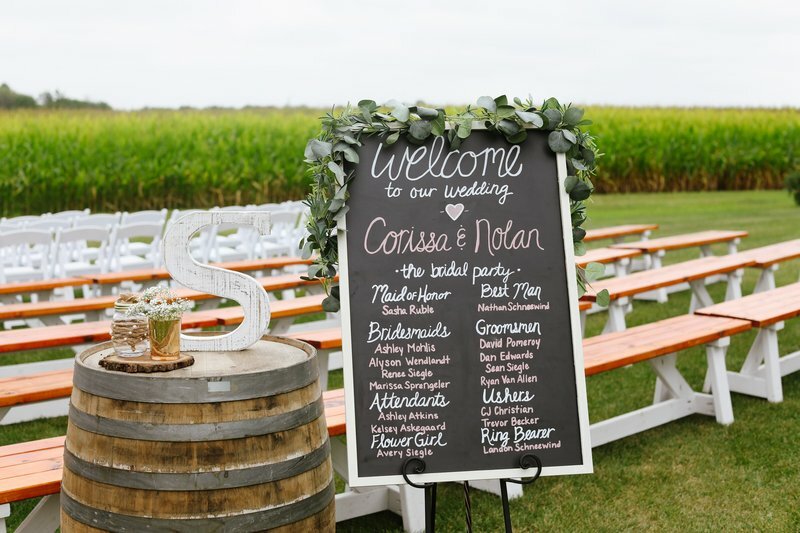 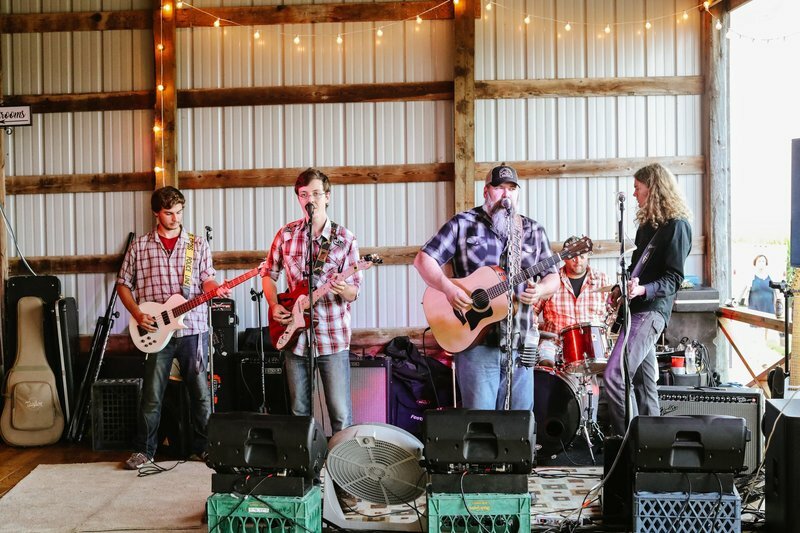 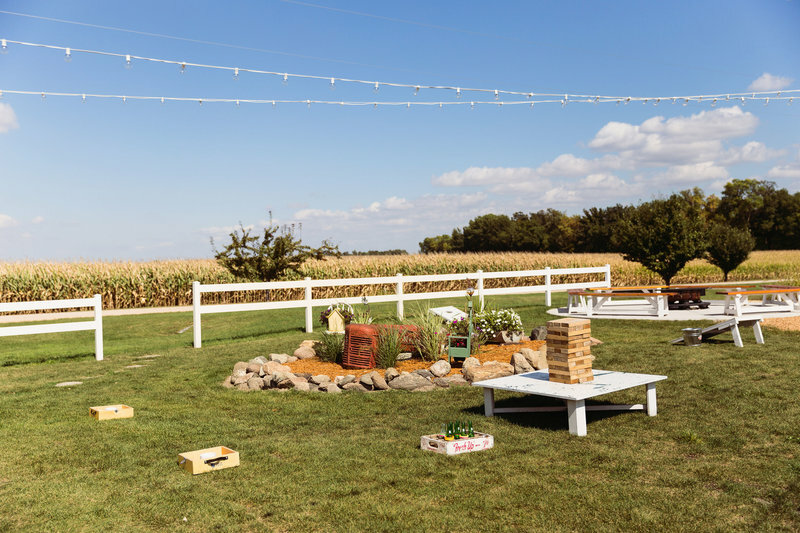 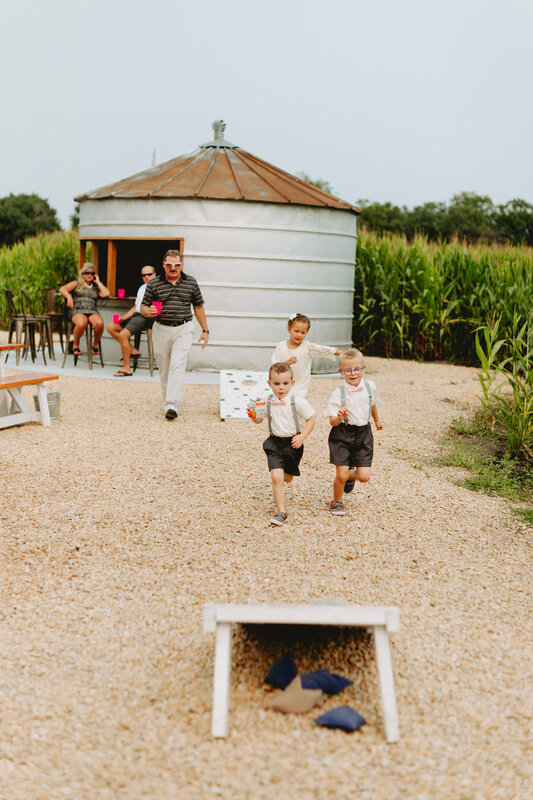 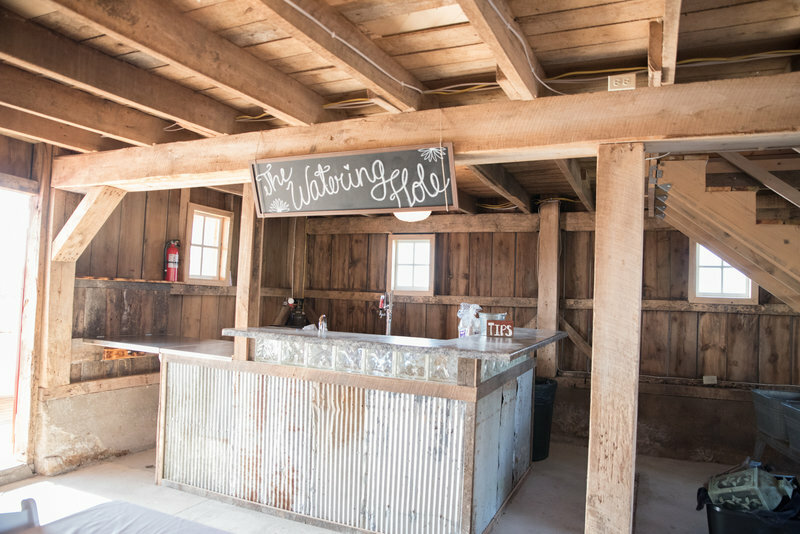 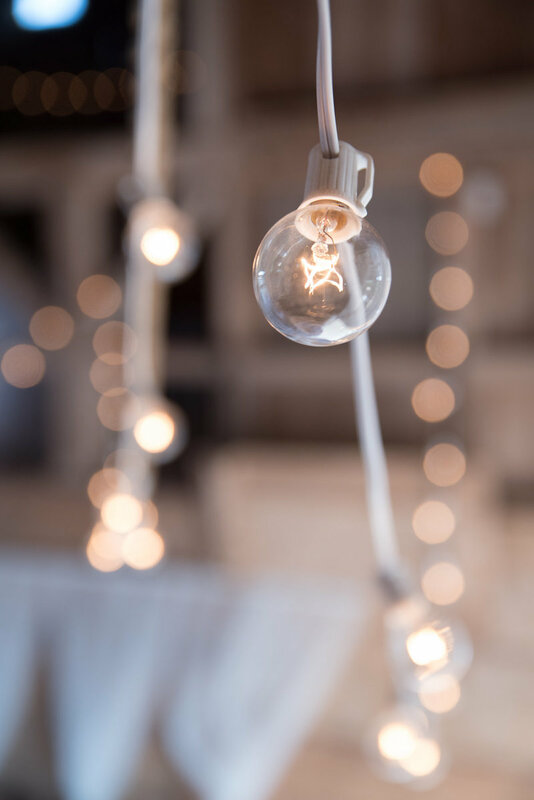 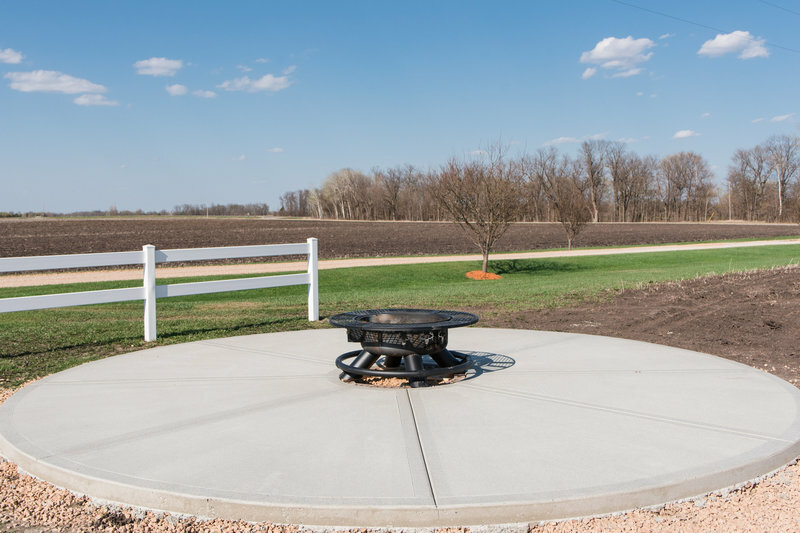 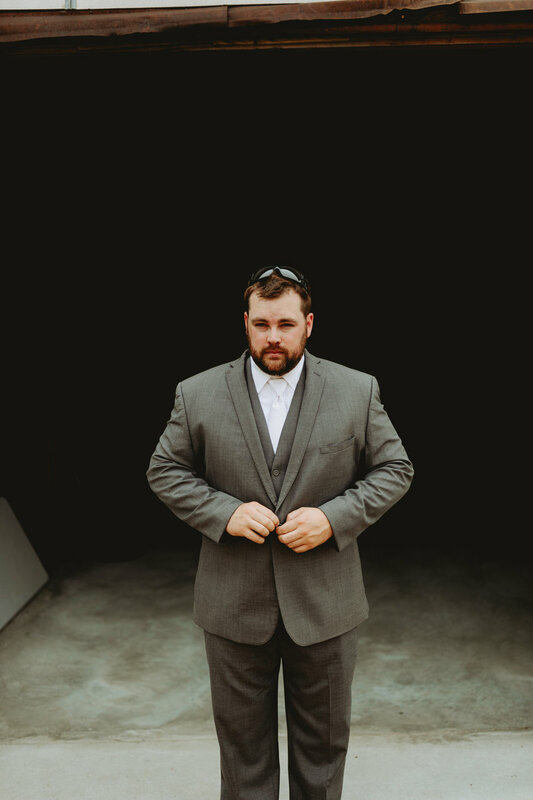 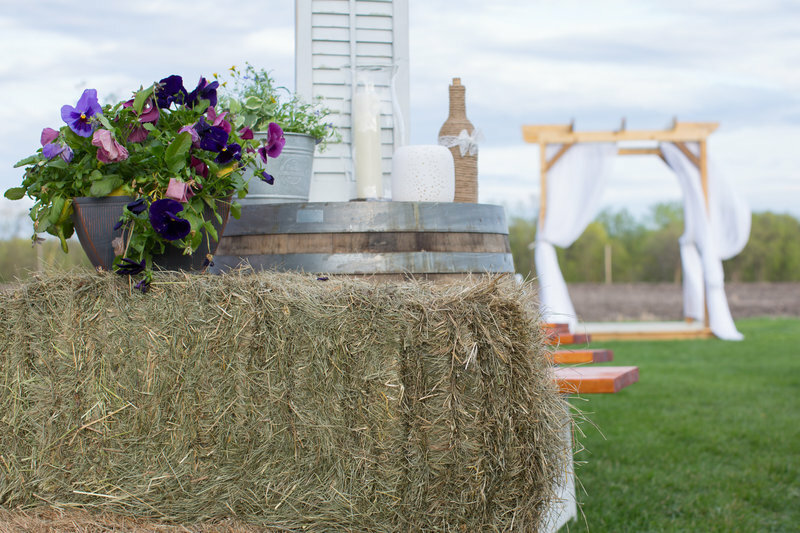 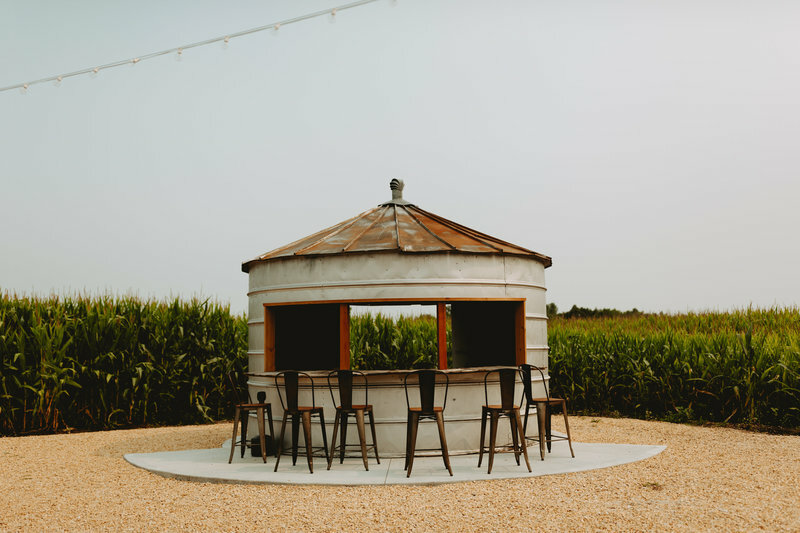 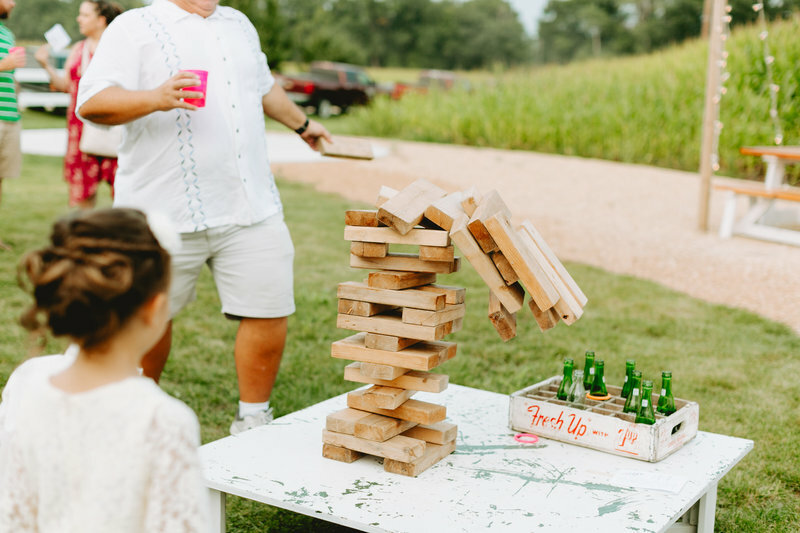 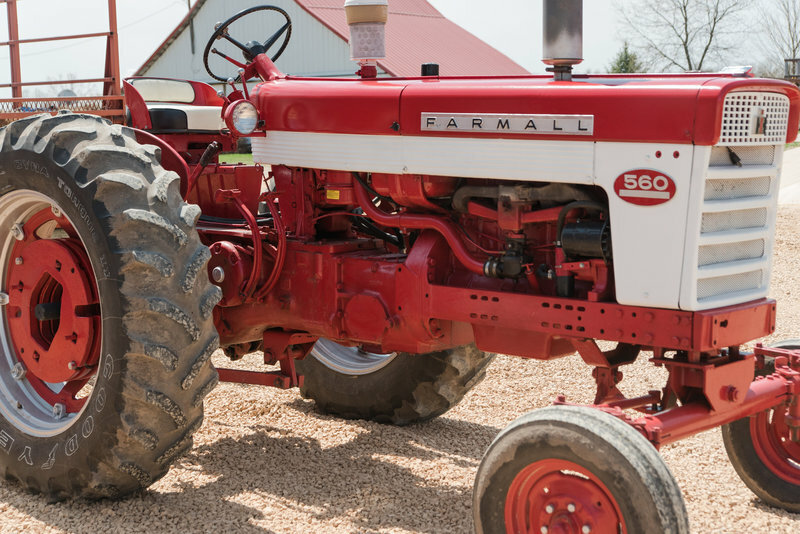 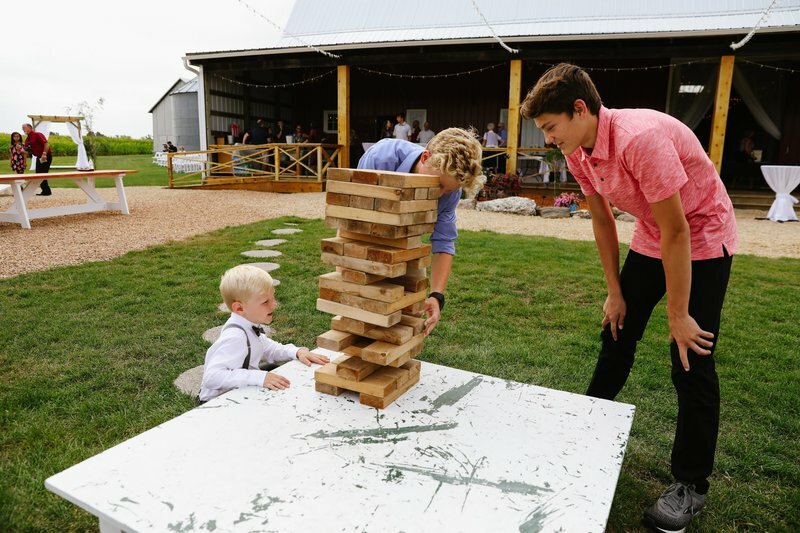 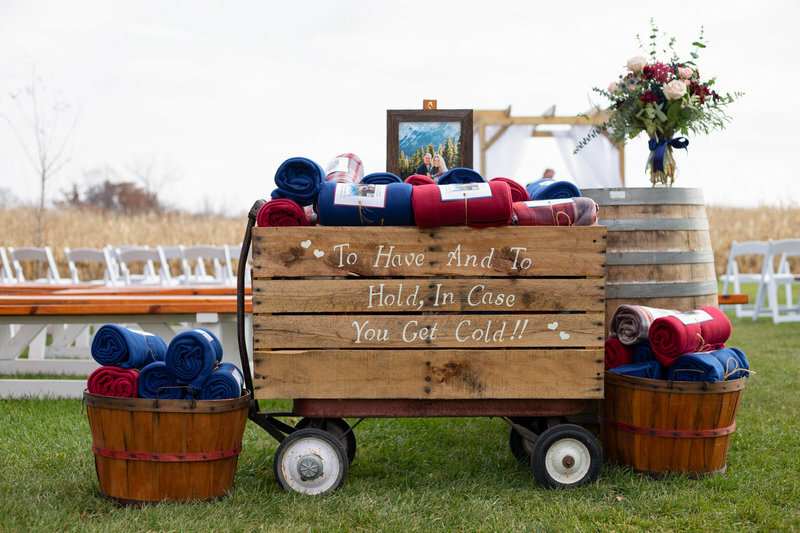 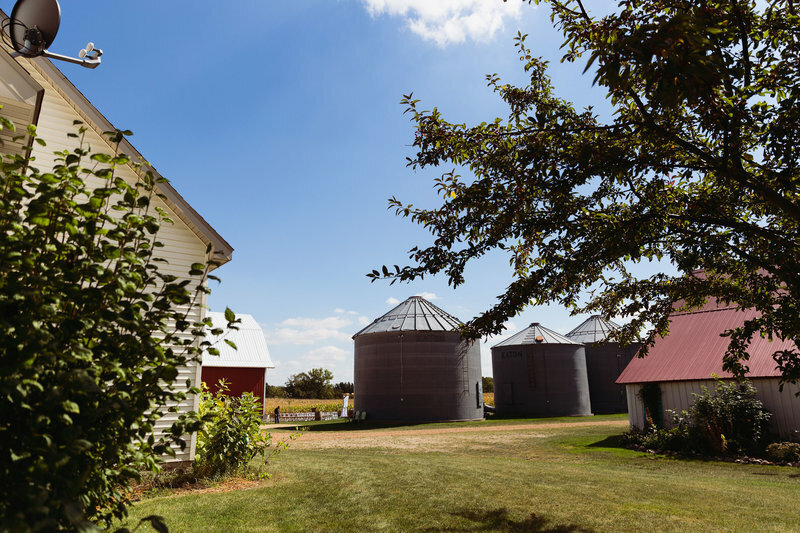 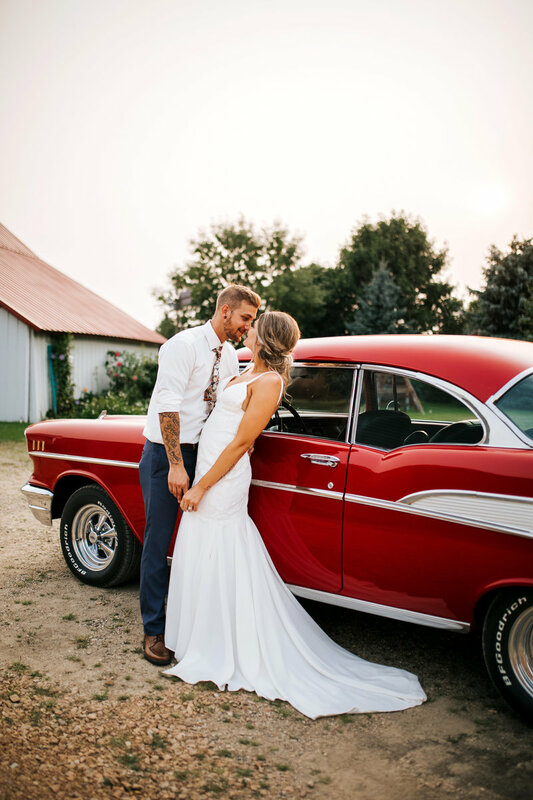 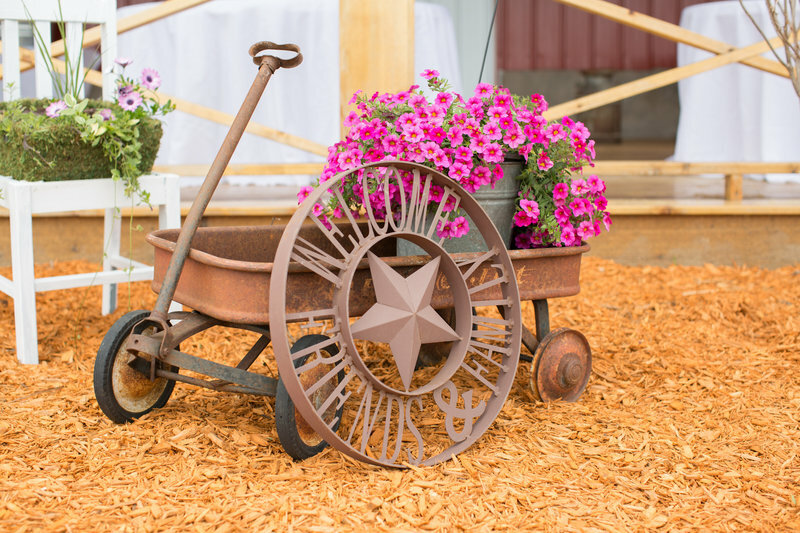 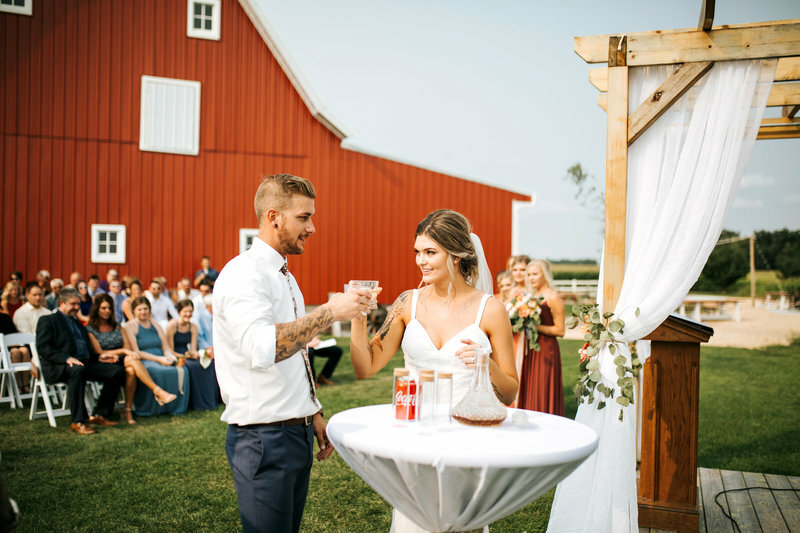 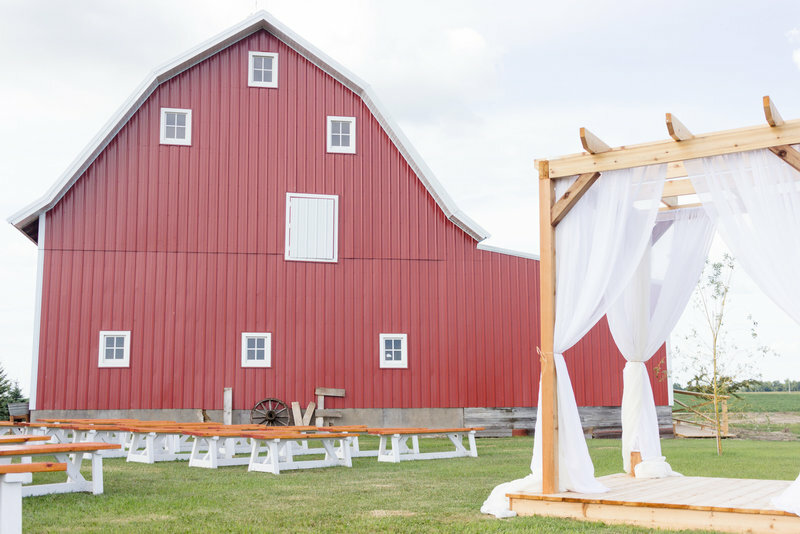 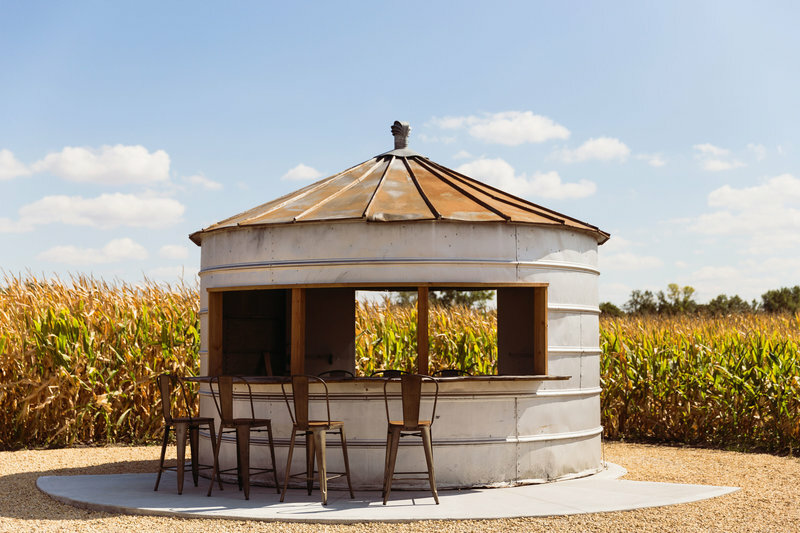 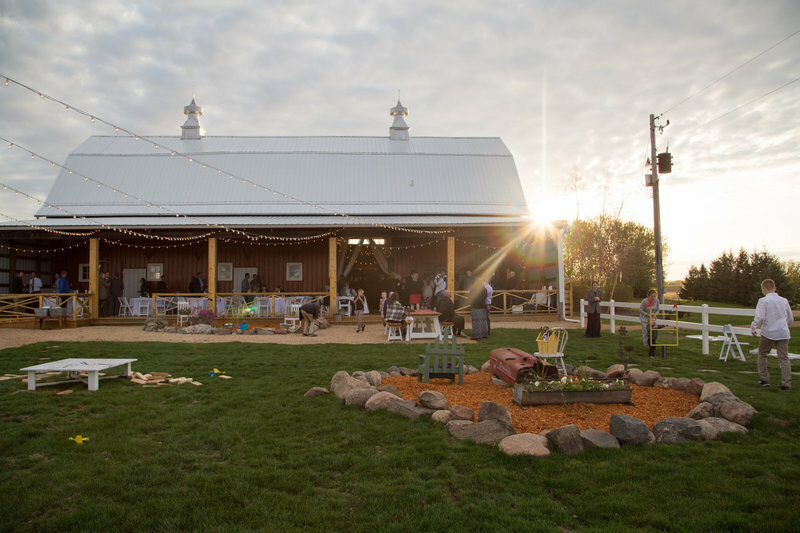 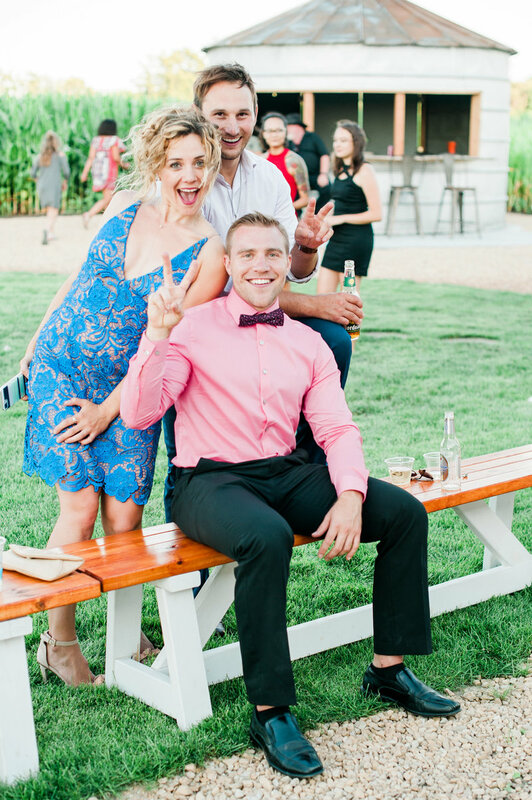 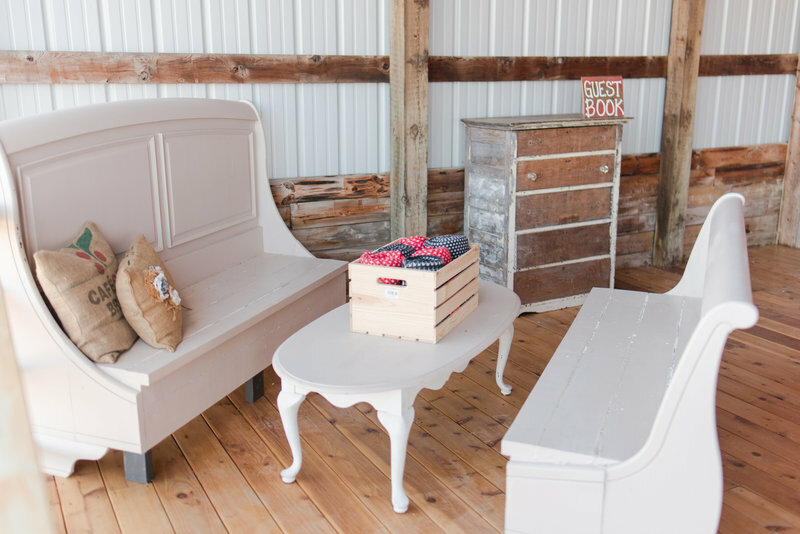 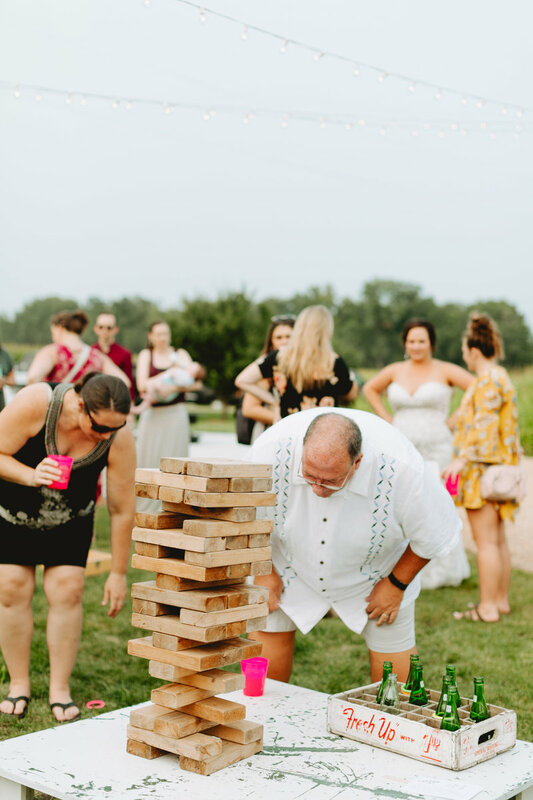 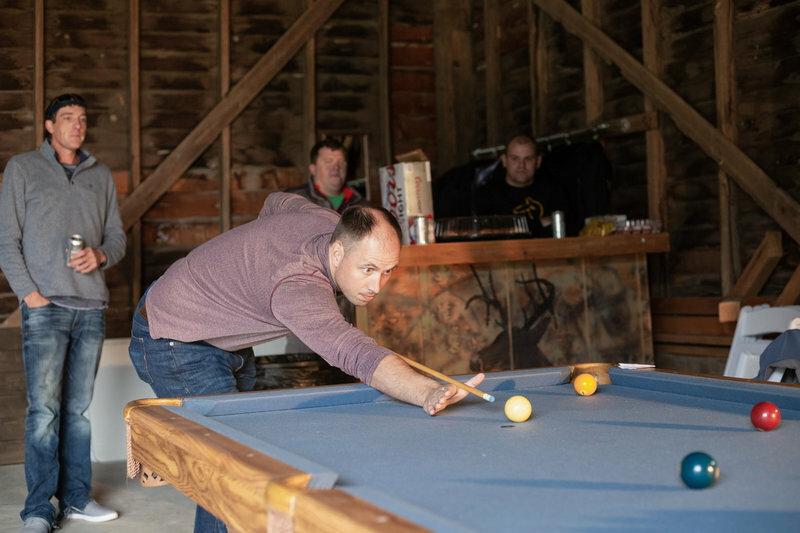 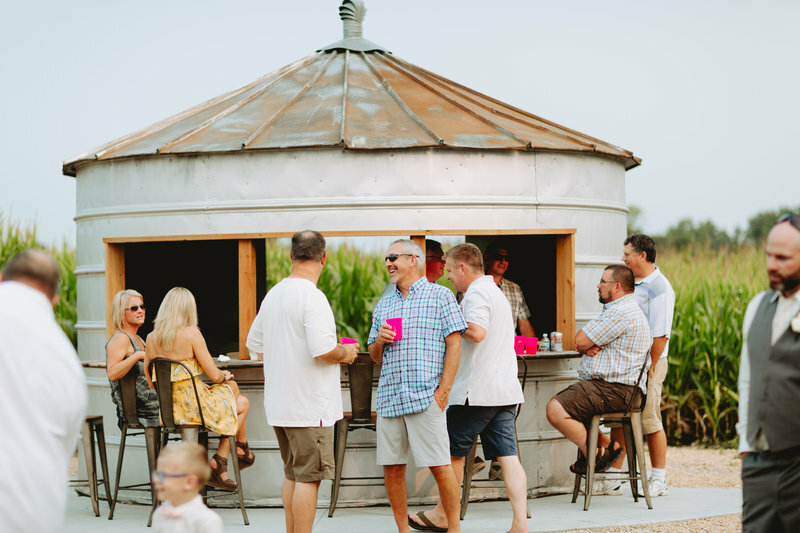 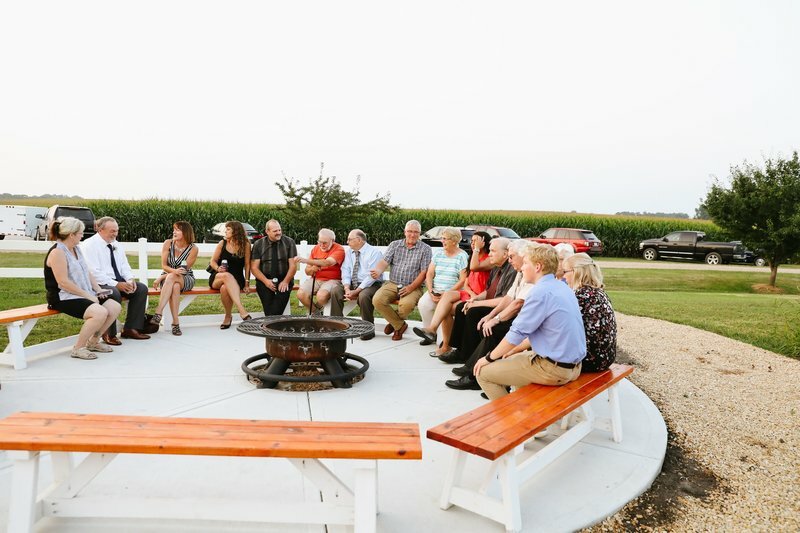 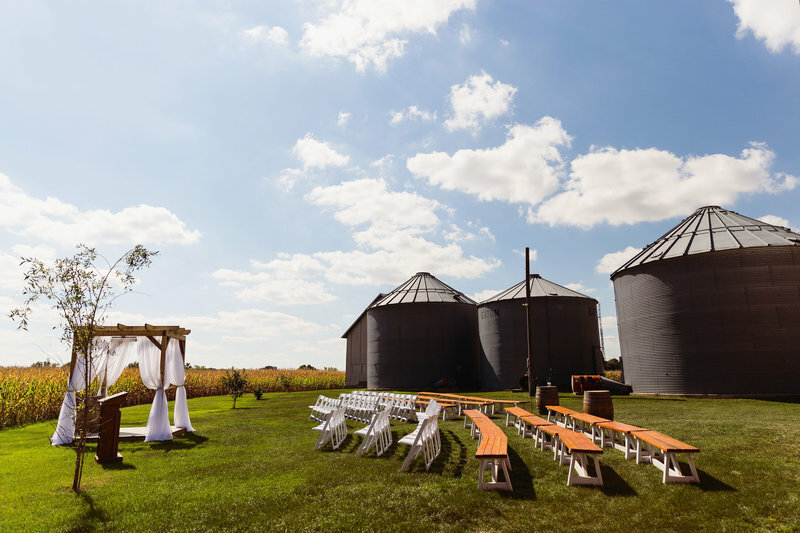 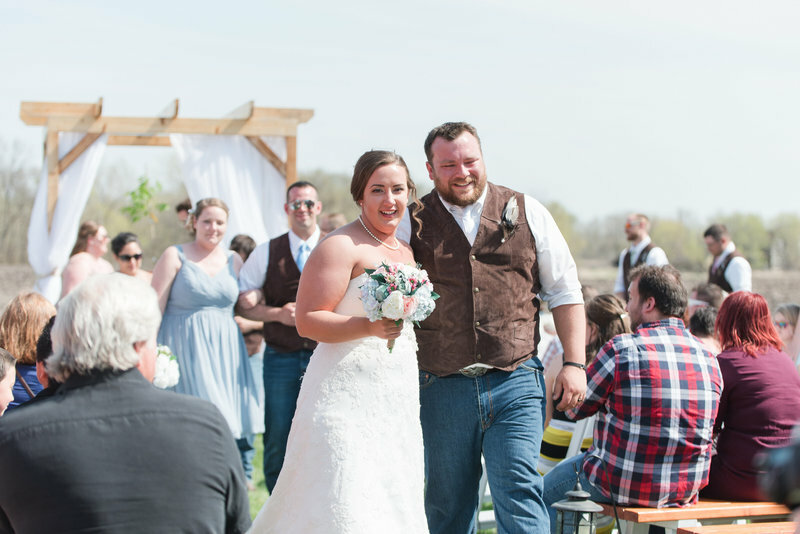 other highlights of the space are the custom sleigh bed bench set, a fun GRAIN BIN BAR, fire pit area with seating, and lots of lawn games for your guests to enjoy. 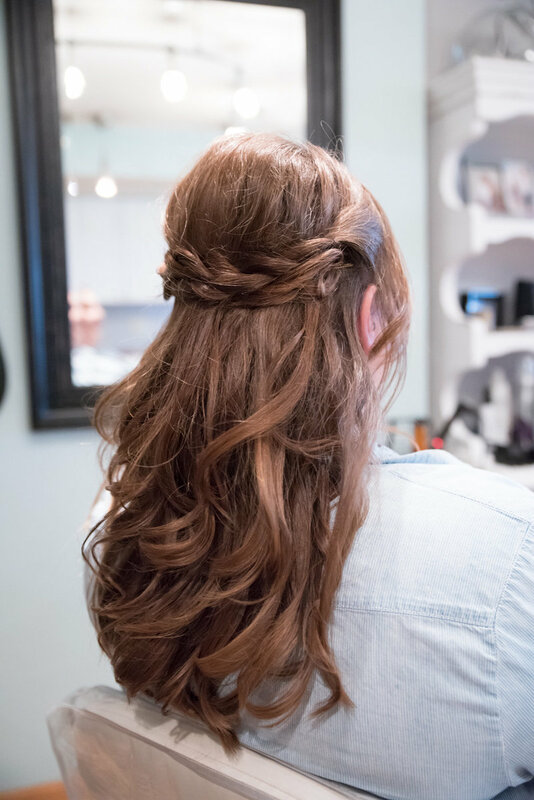 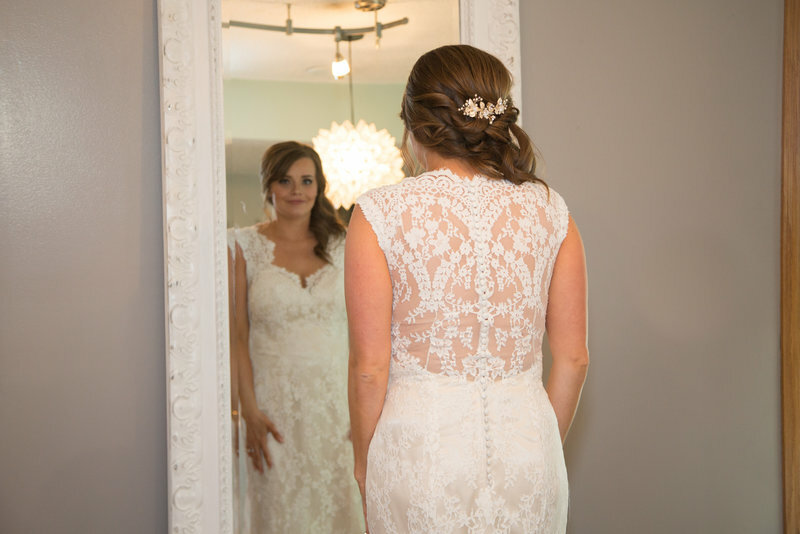 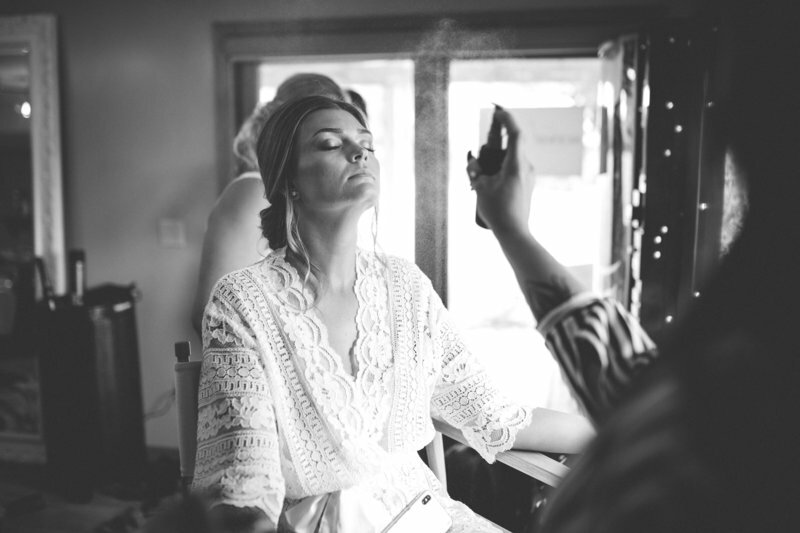 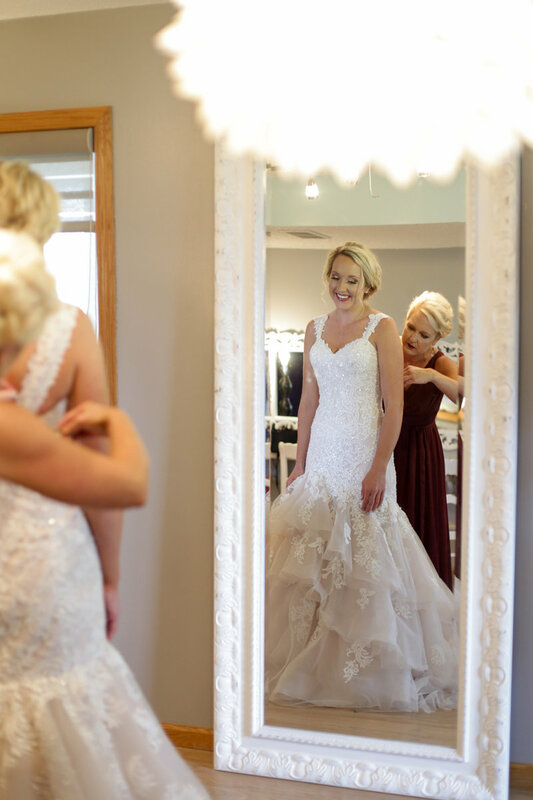 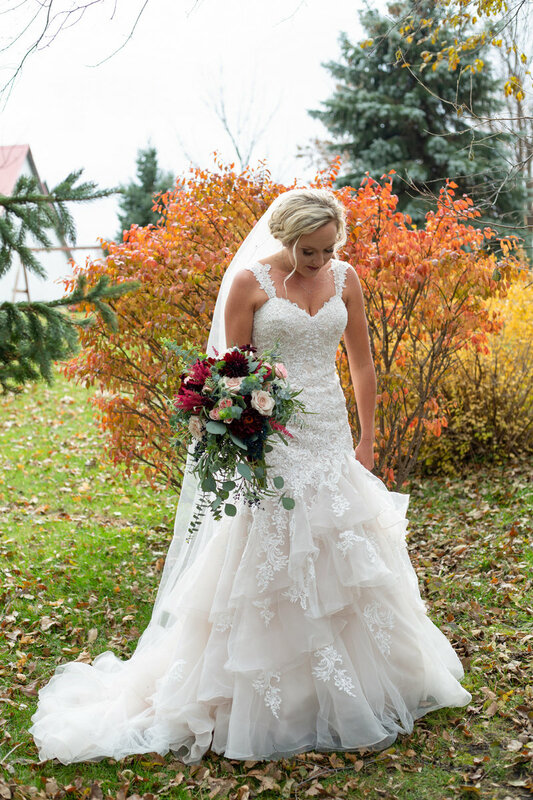 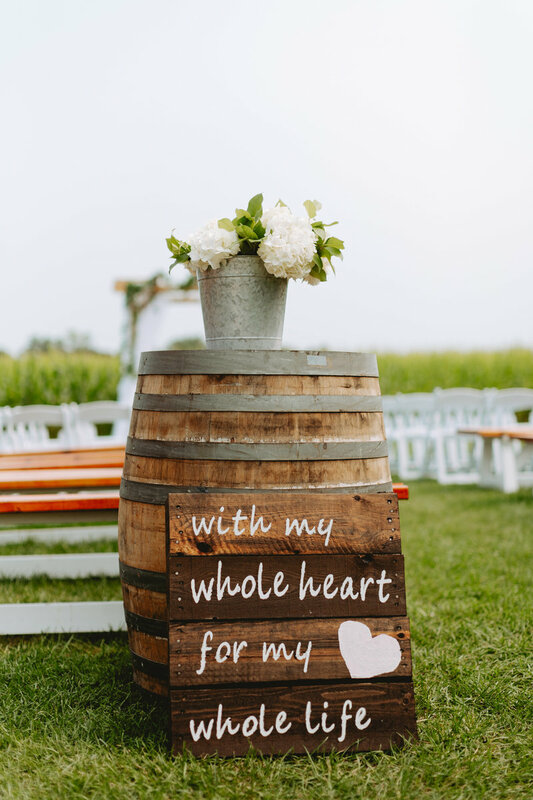 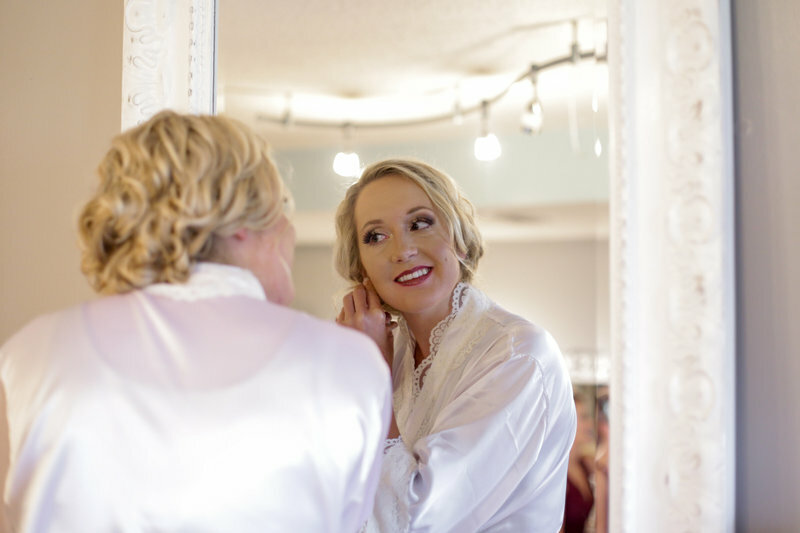 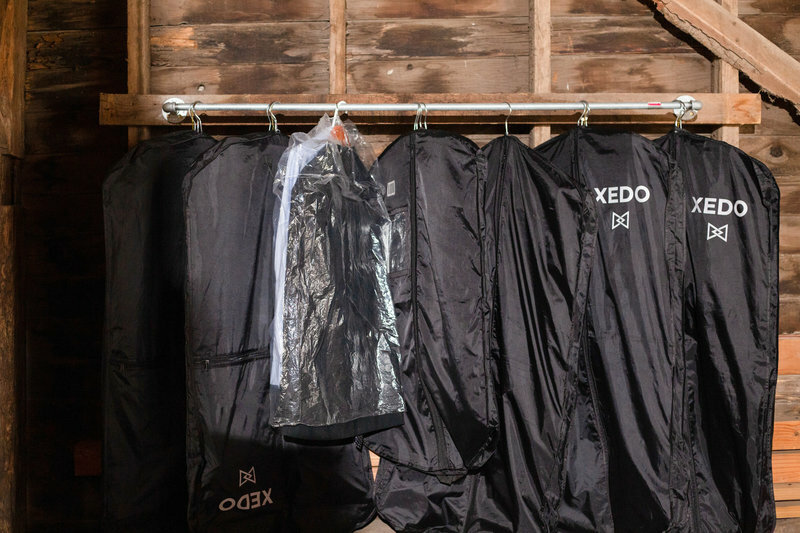 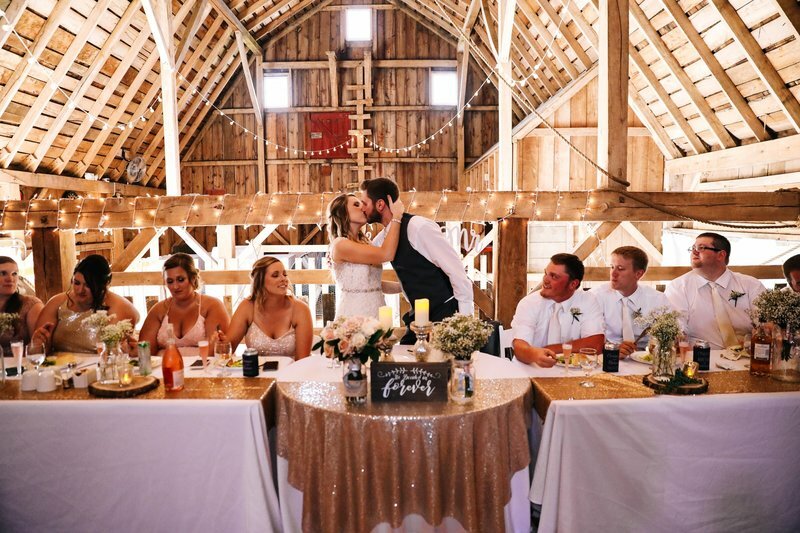 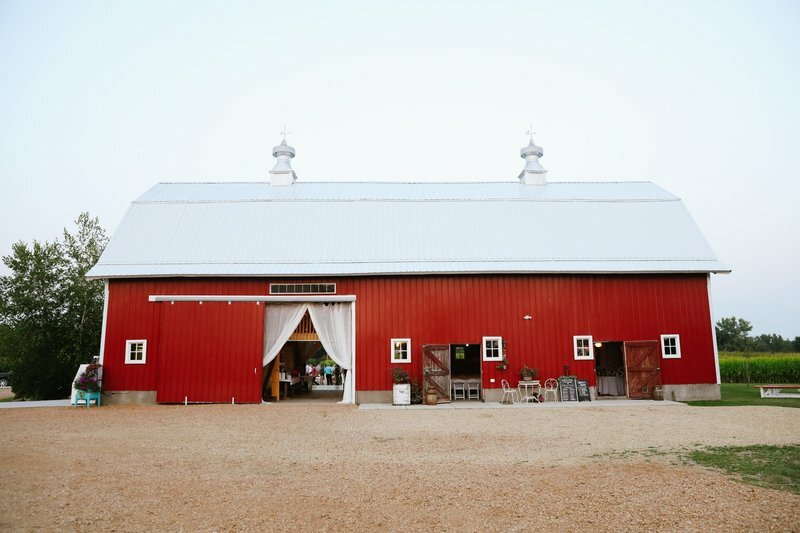 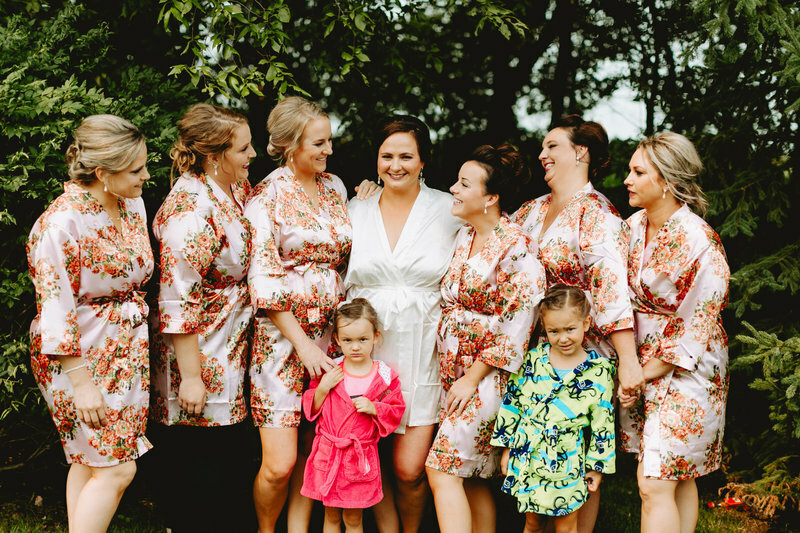 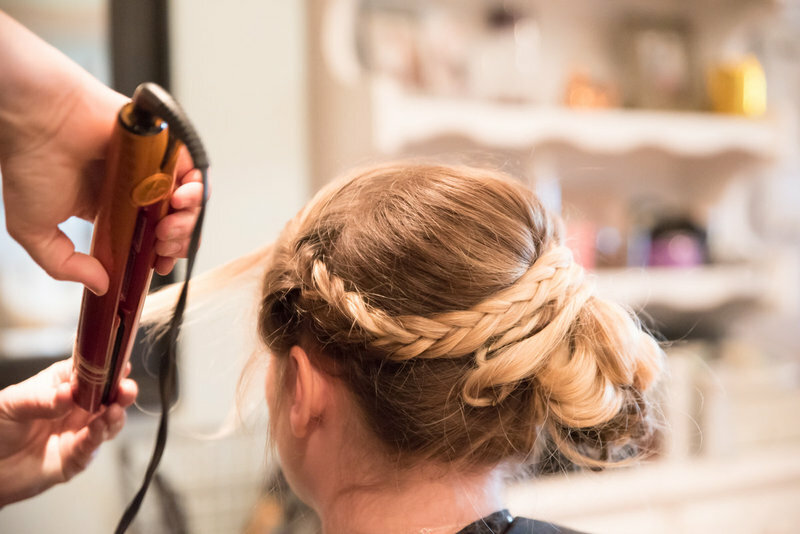 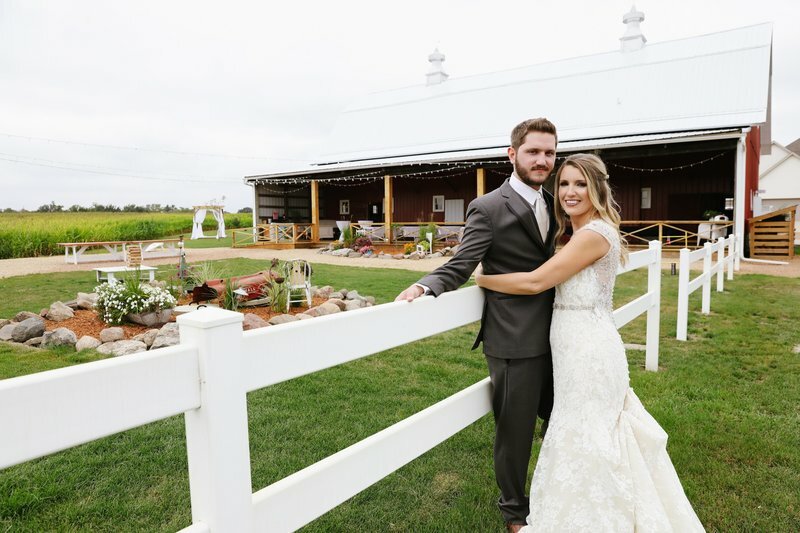 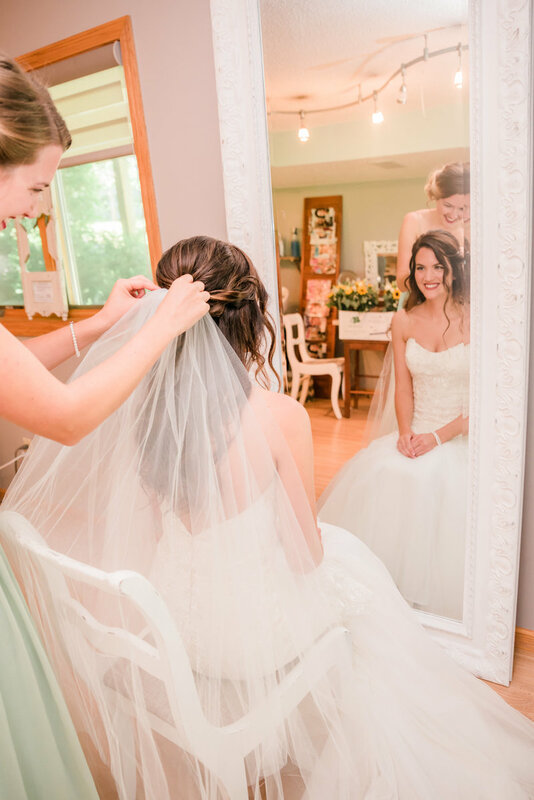 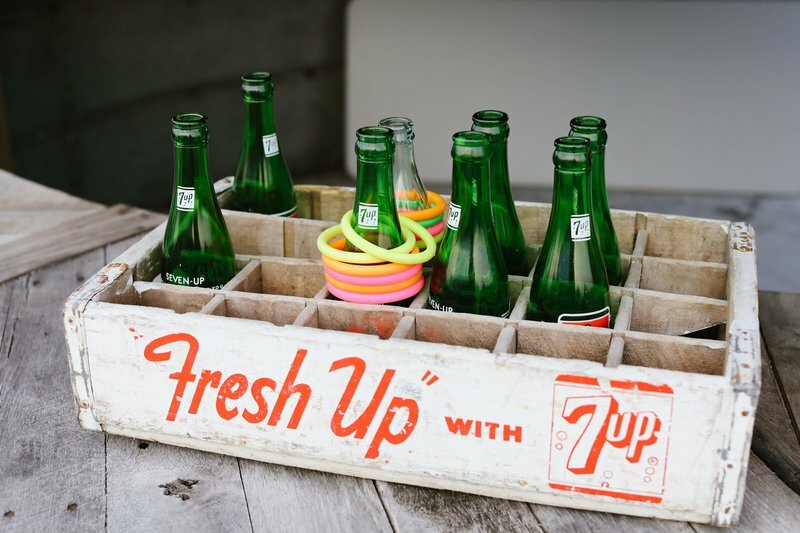 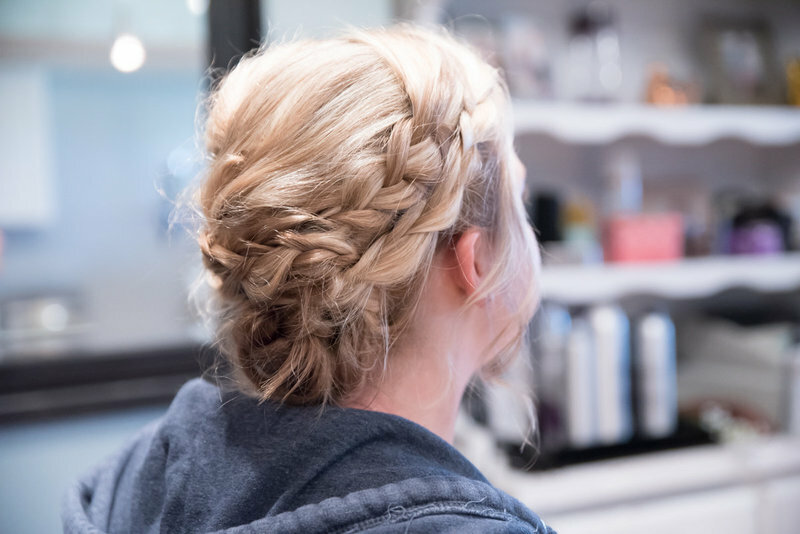 Another very unique feature our brides love is our fully licensed salon right on site, just steps away from the barn! 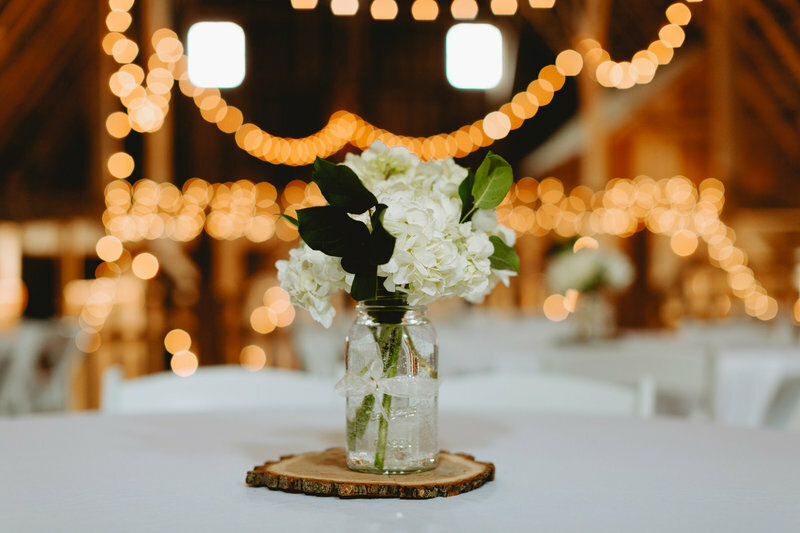 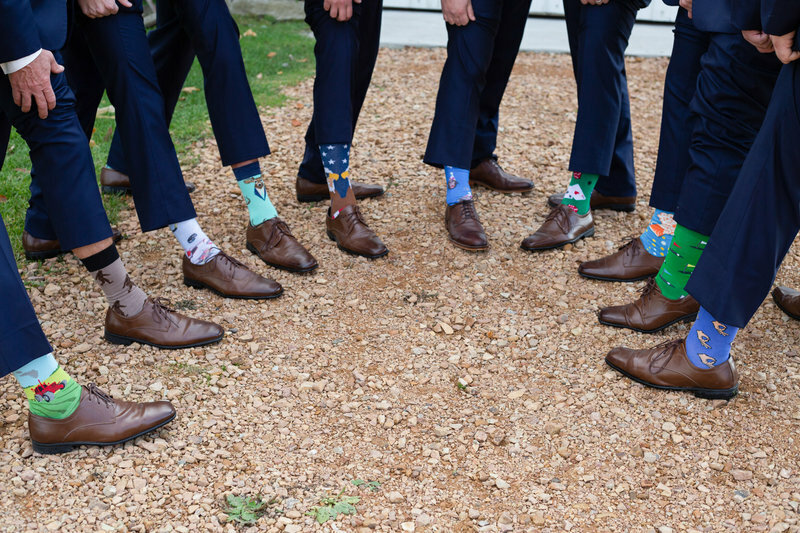 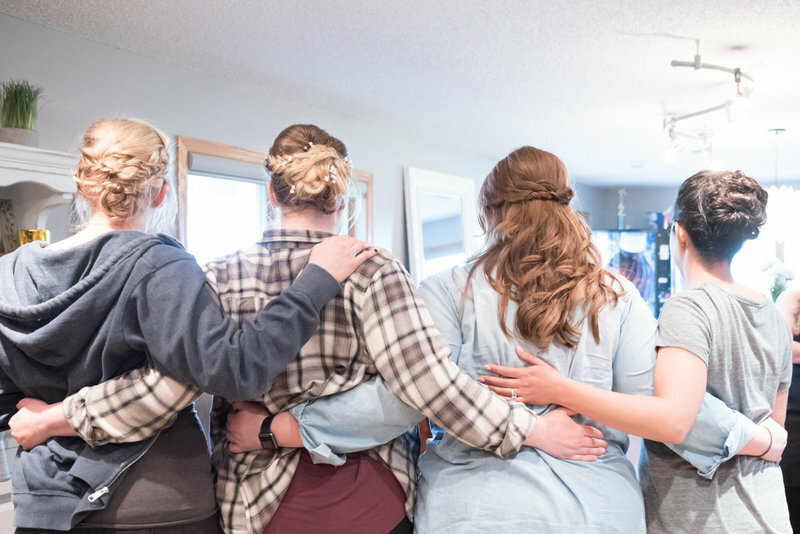 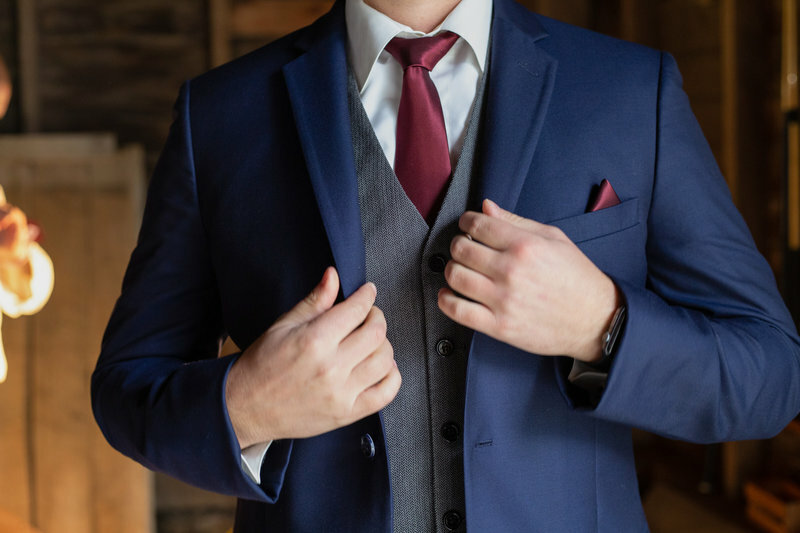 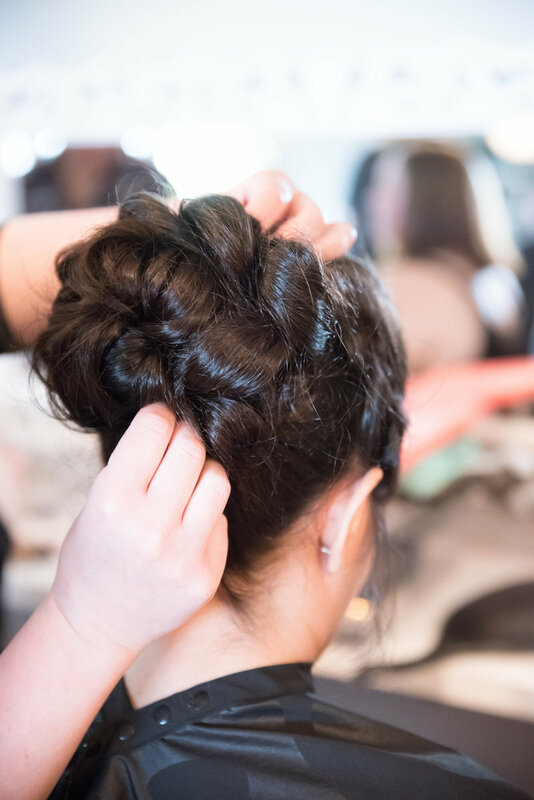 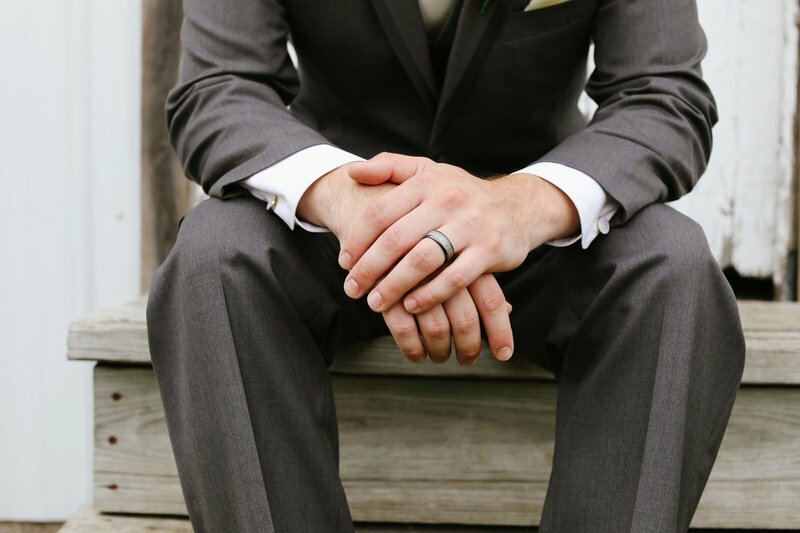 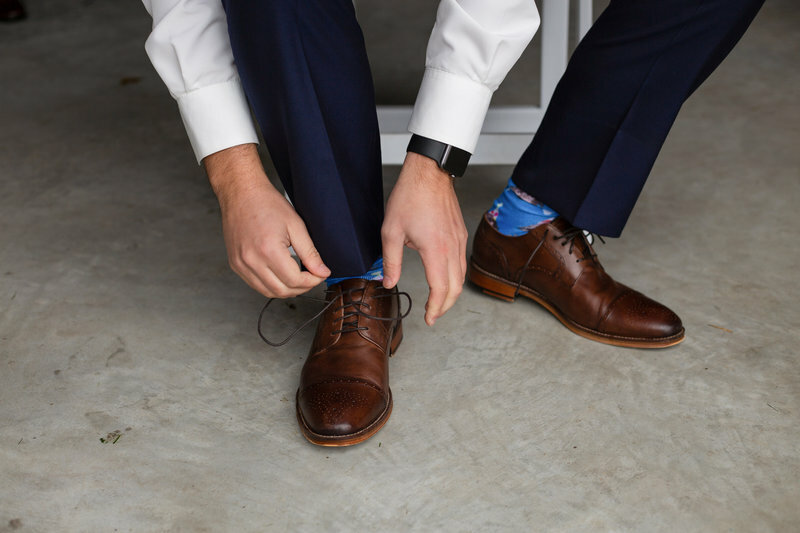 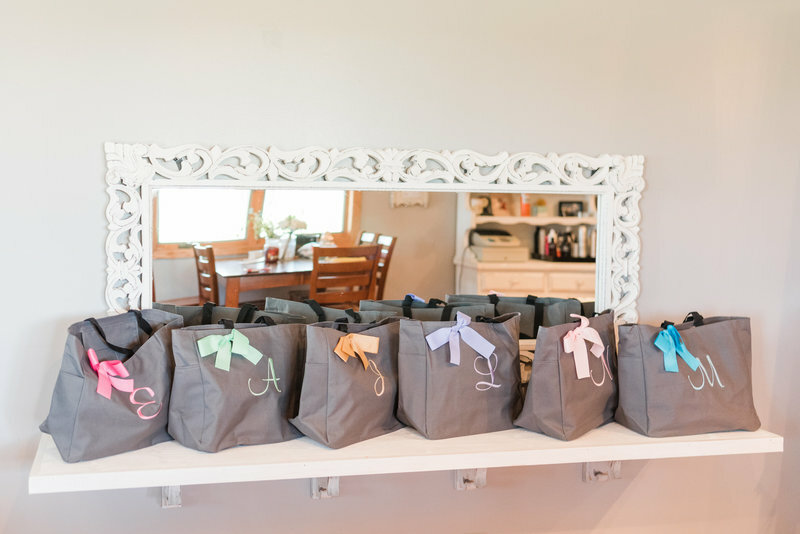 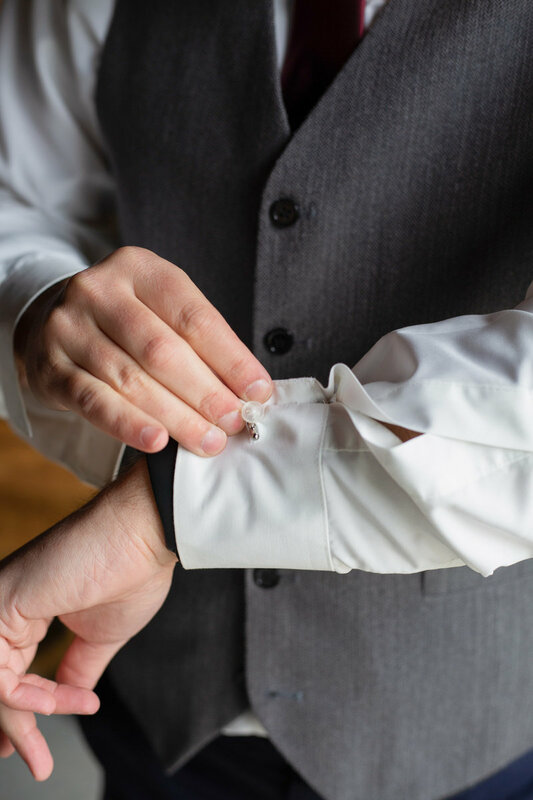 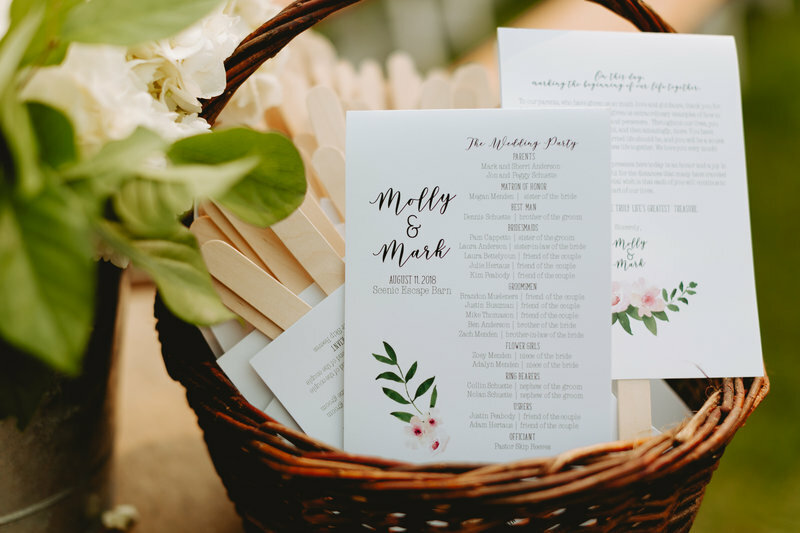 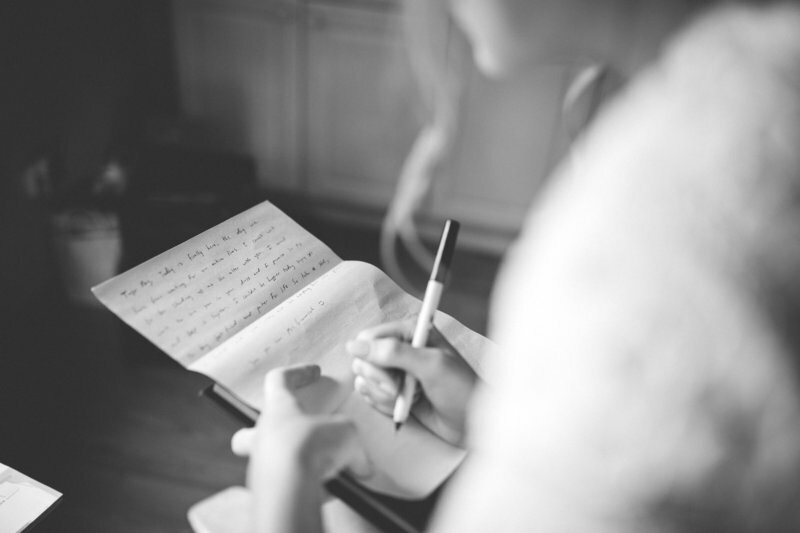 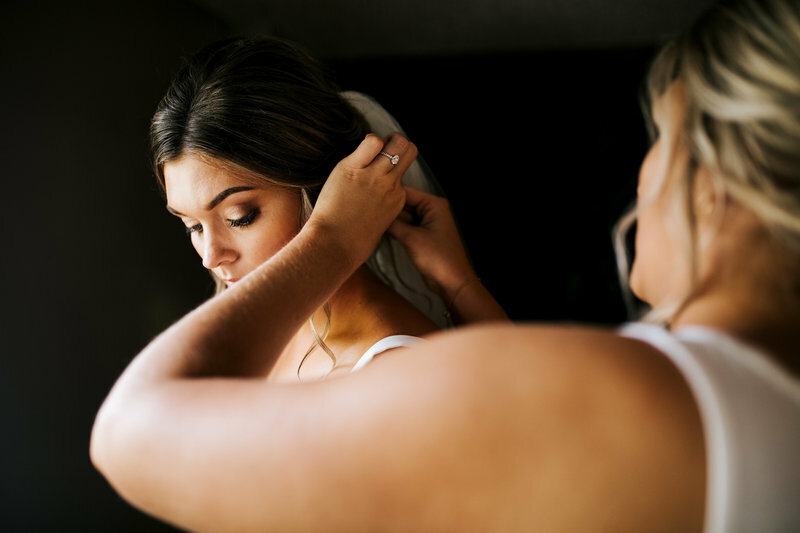 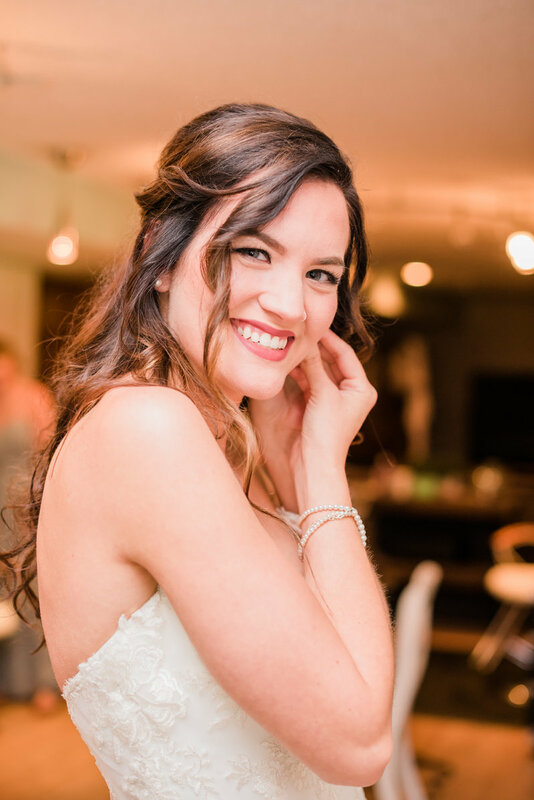 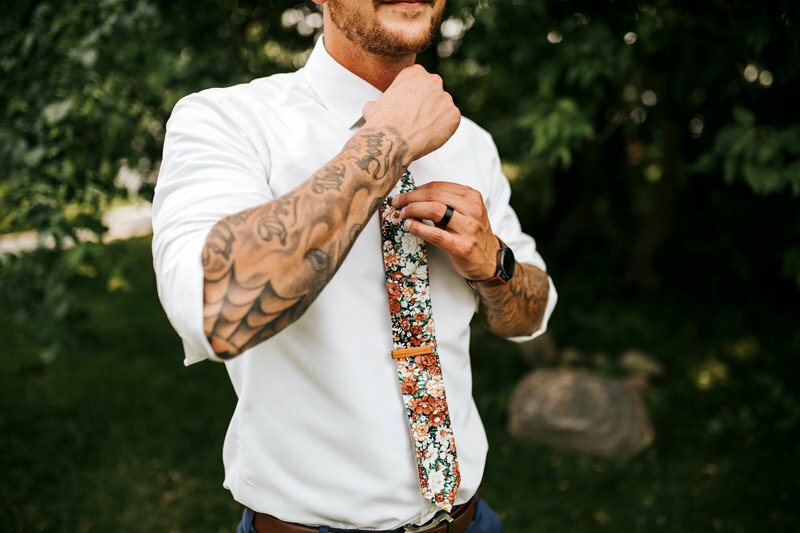 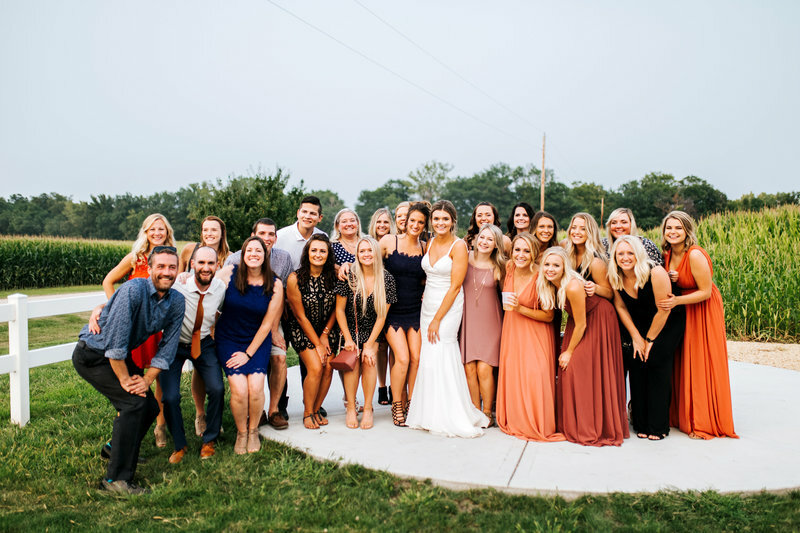 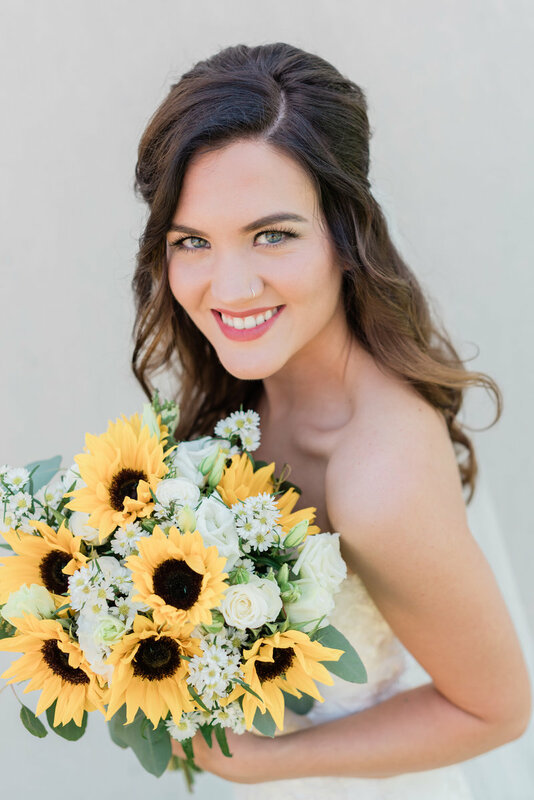 aside from being pampered the morning of your big day when you book appointments for your entire wedding party we provide a COMPLIMENTARY breakfast! 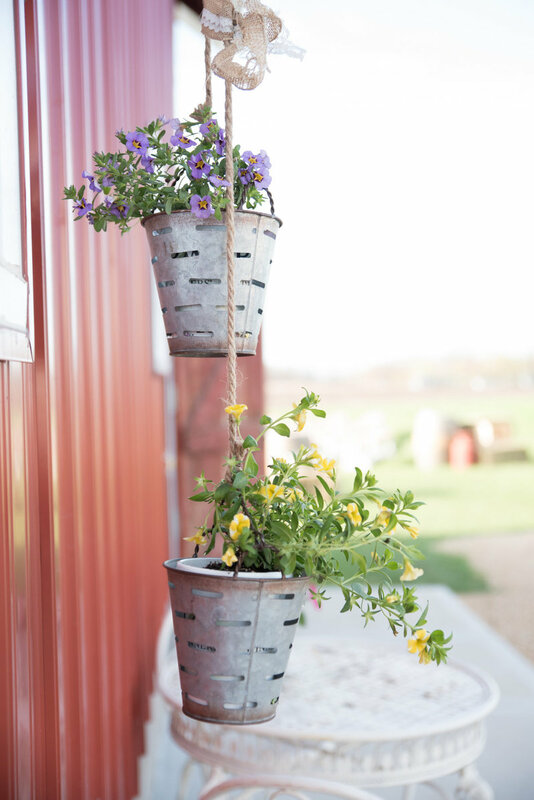 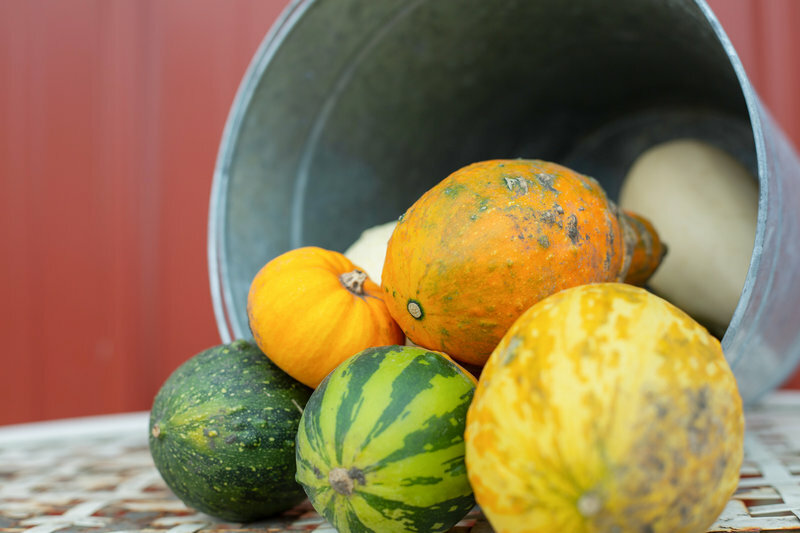 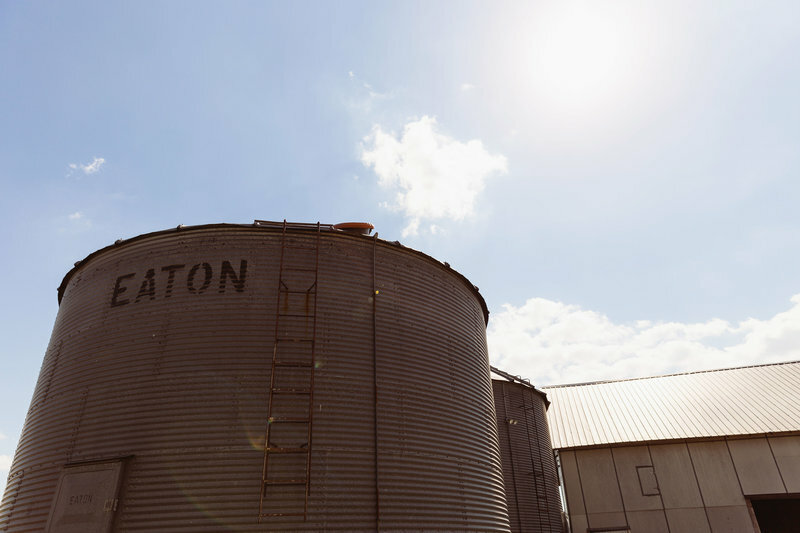 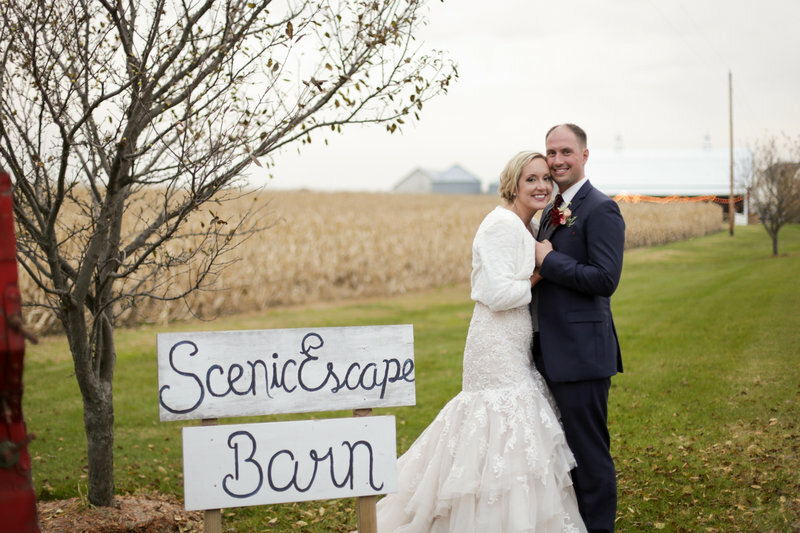 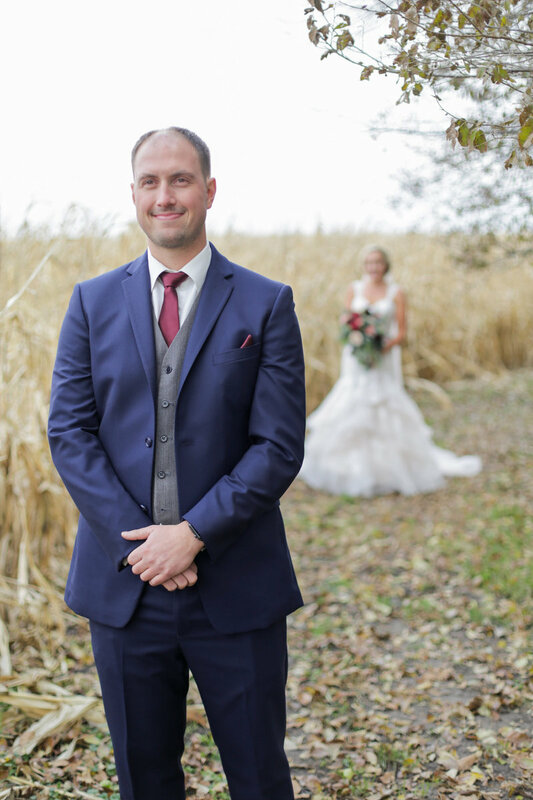 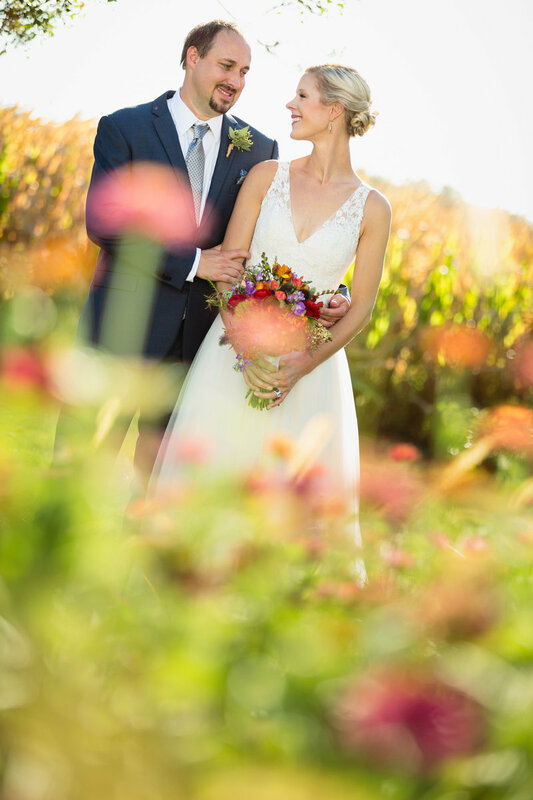 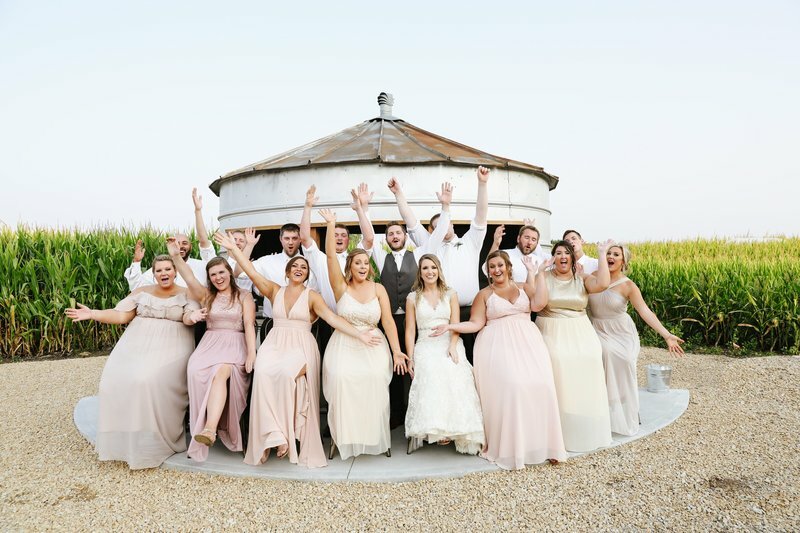 We've got various grain bins/sheds and buildings that provide great photo backgrounds! 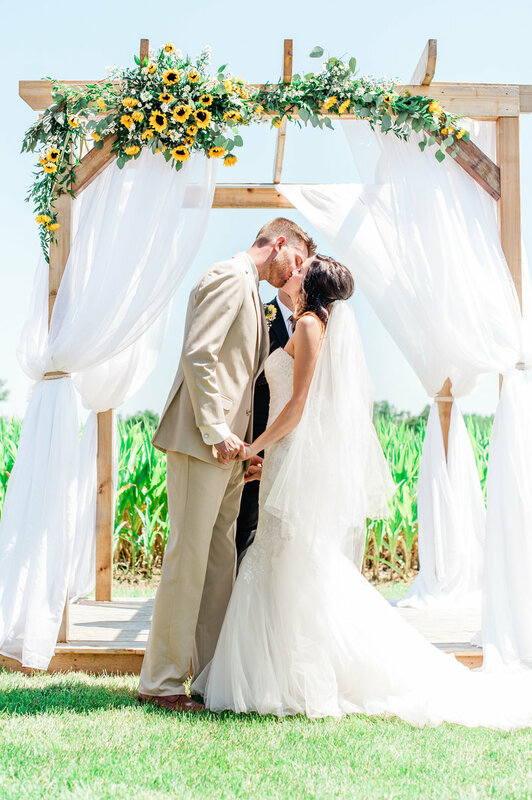 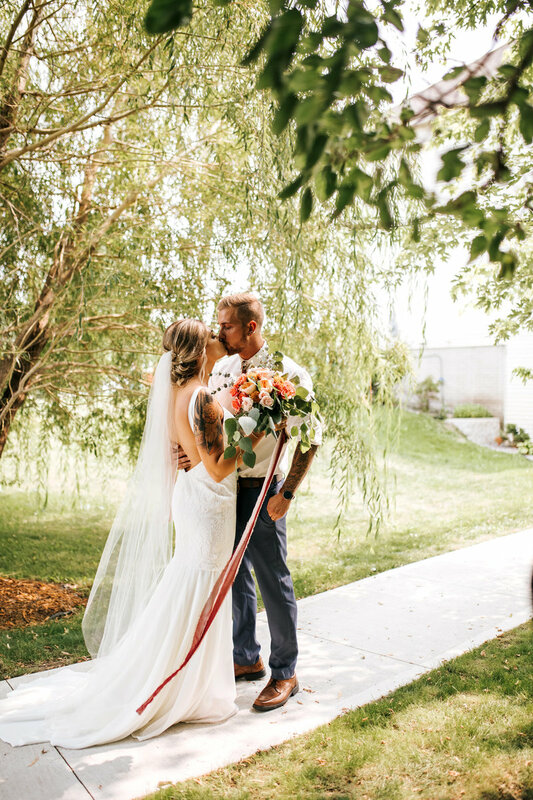 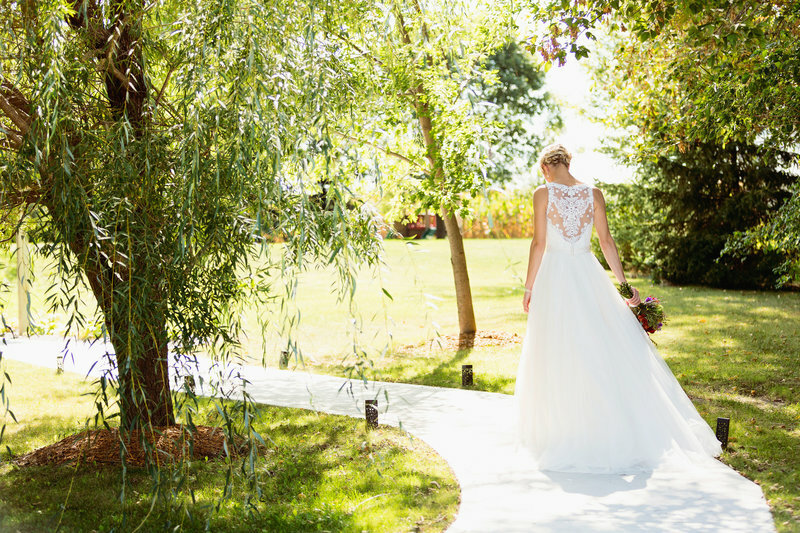 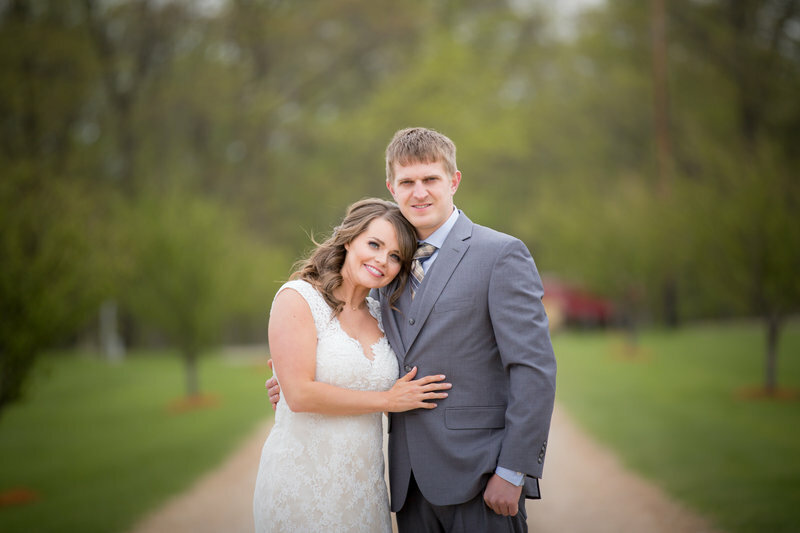 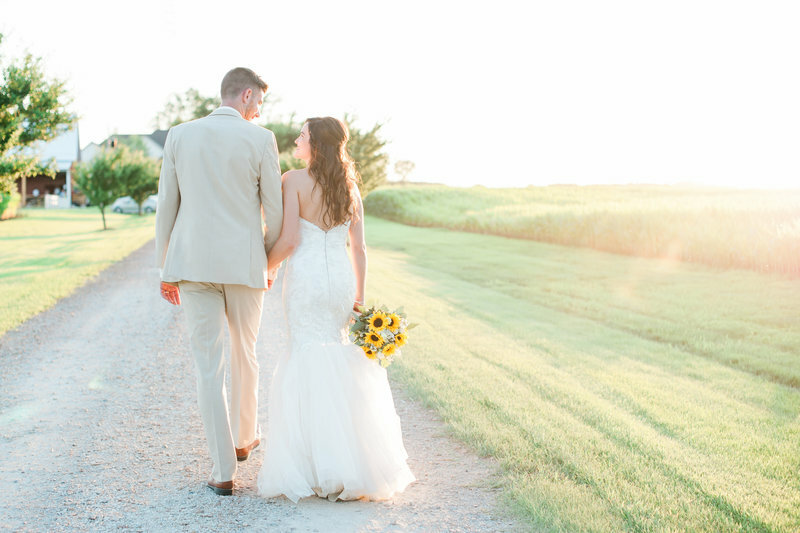 The willow tree lined pathway into the salon is another favorite for photos! 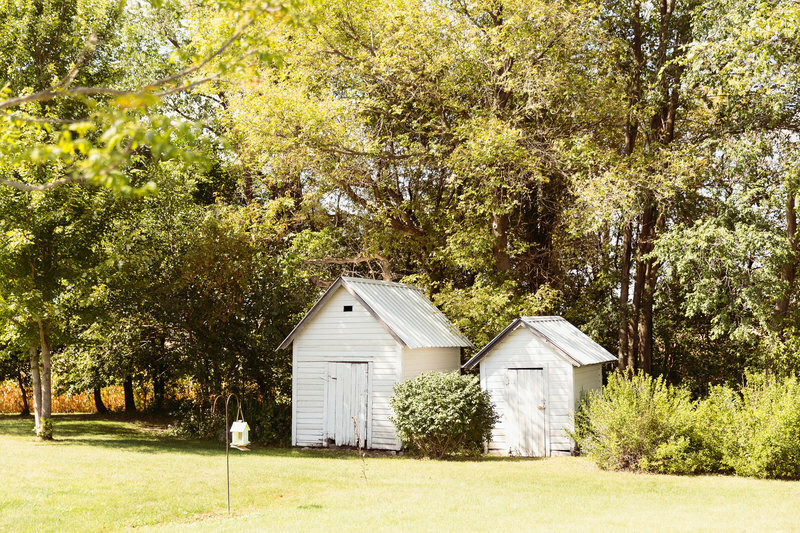 the entrance to our property is a long tree lined driveway that looks lovely in the evening light! 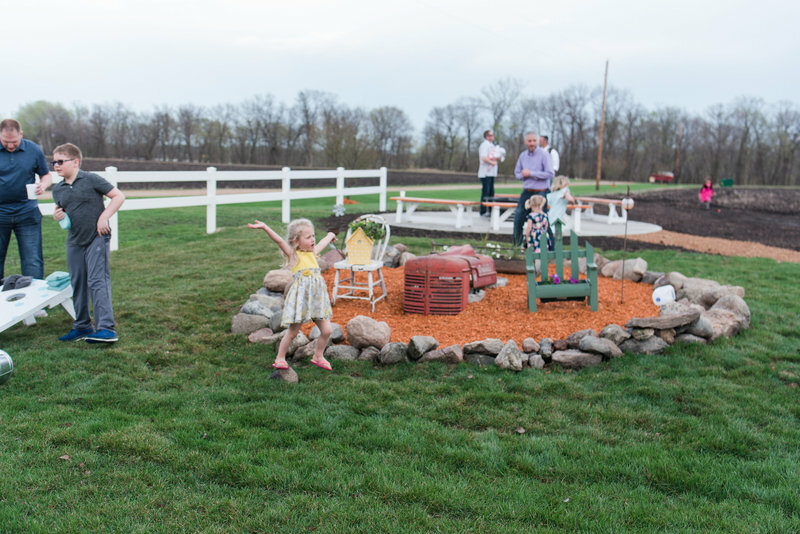 There are many other landscaped spaces and gardens around the property for you and your guests to enjoy!